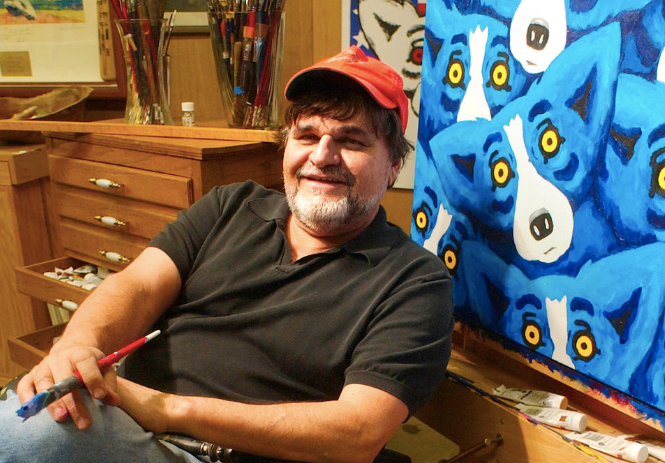 Artist George Rodrigue, photographed by Ellis Lucia for NOLA.com | The Times-Picayune. 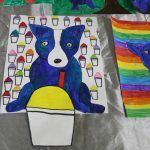 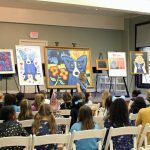 The George Rodrigue Life & Legacy Foundation inspires all ages with the life and art of George Rodrigue (1944-2013), expanding his vision by showing how one person can overcome obstacles to achieve their dreams, while also making a positive difference in the world —in this case, through the transformative potential of art. 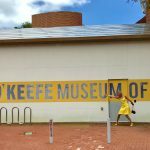 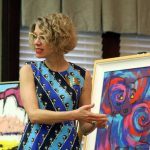 Projects include museum exhibitions, education initiatives, an ongoing public lecture series, and written and online publications. 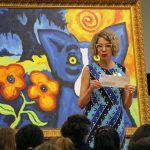 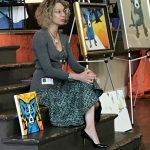 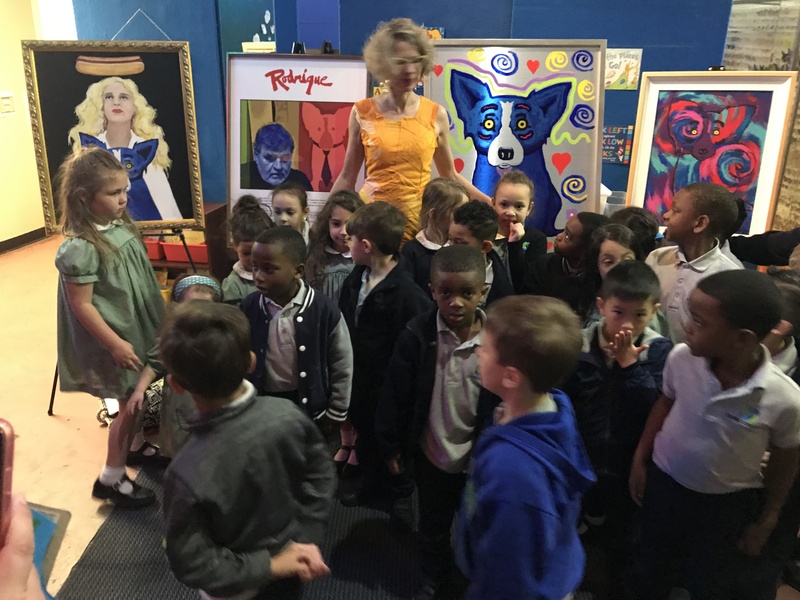 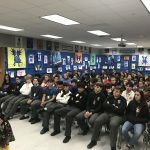 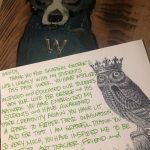 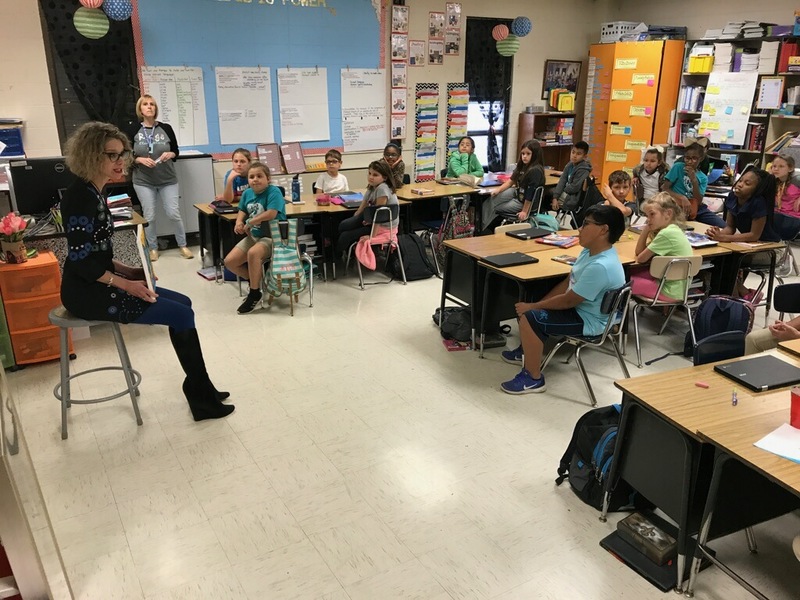 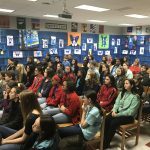 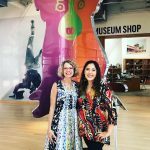 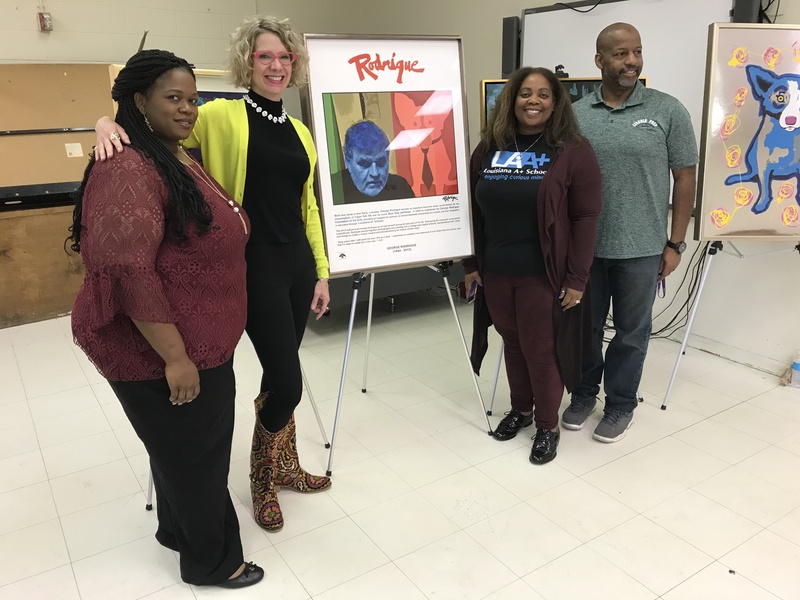 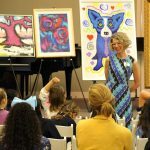 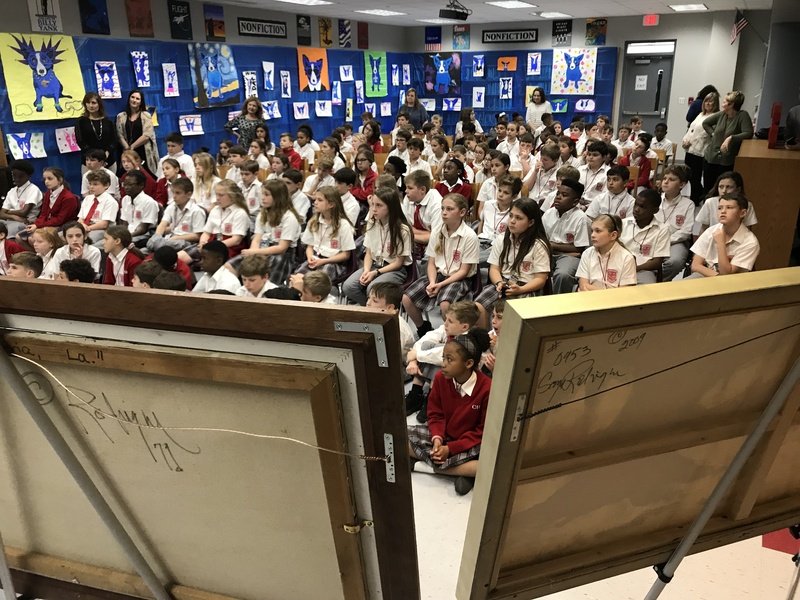 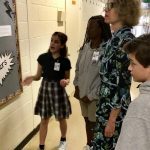 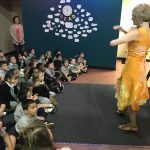 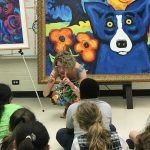 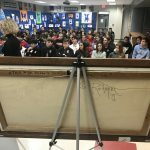 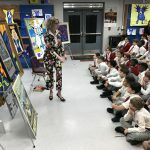 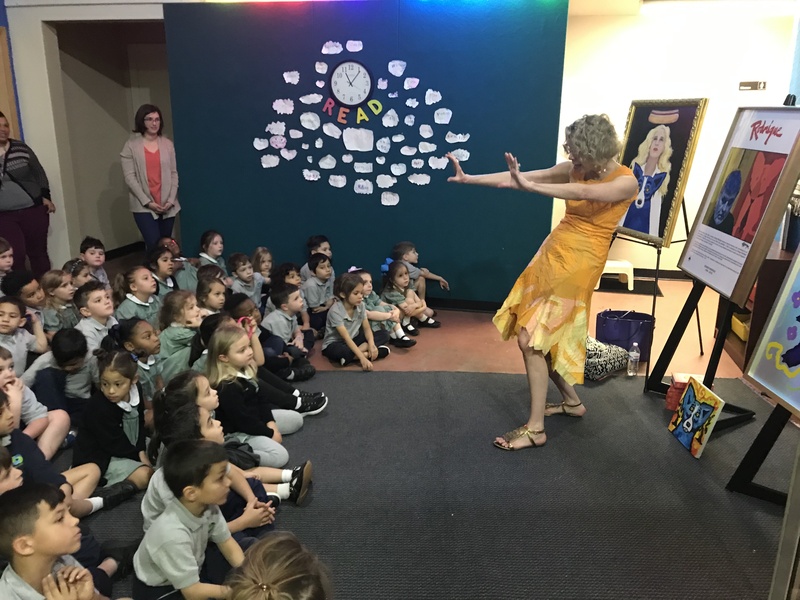 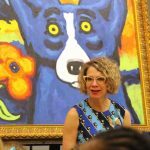 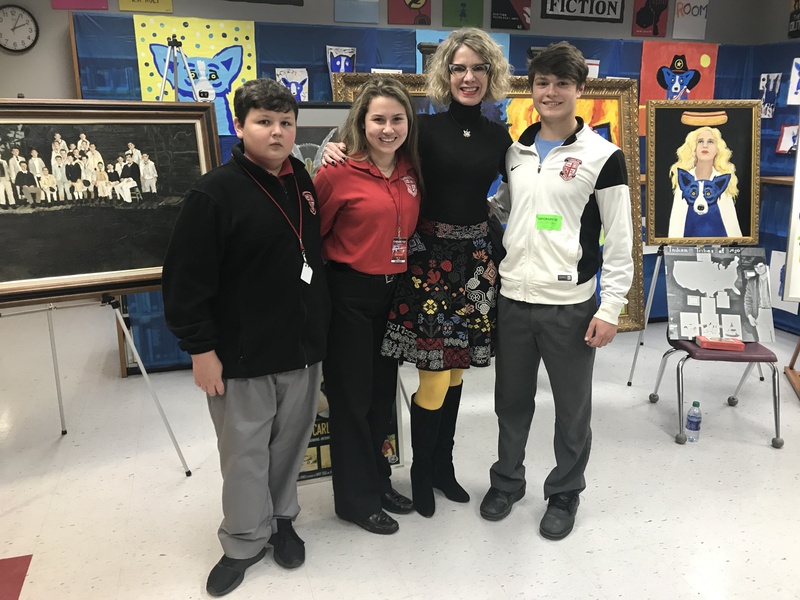 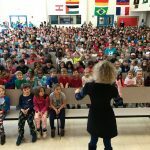 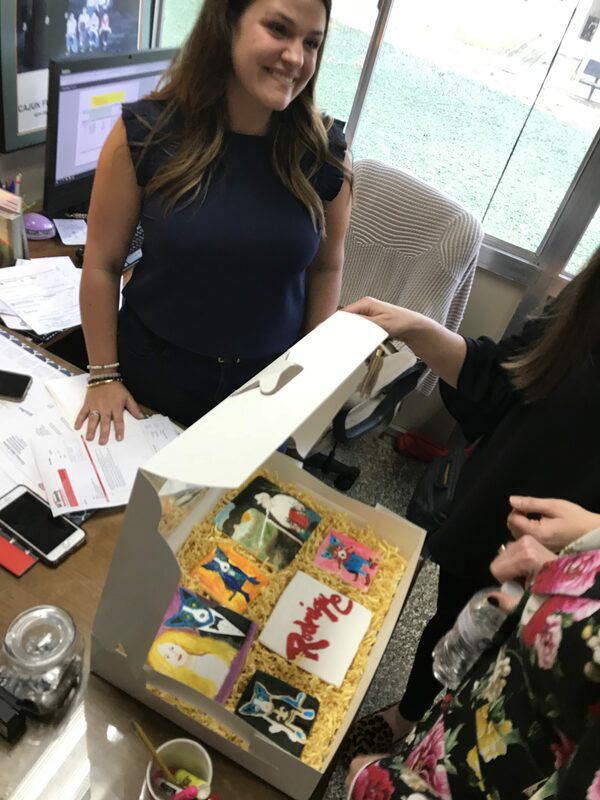 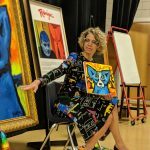 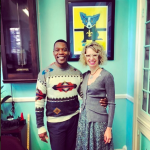 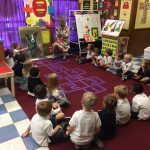 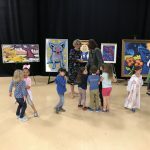 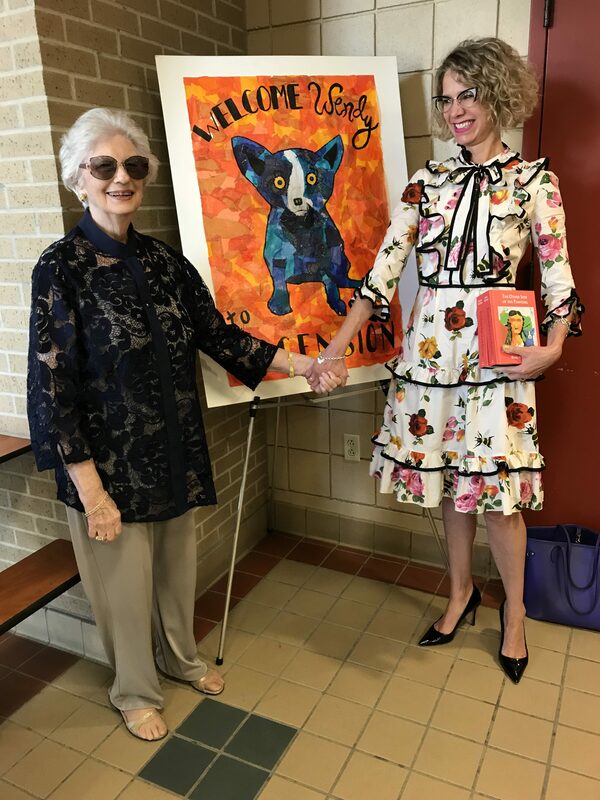 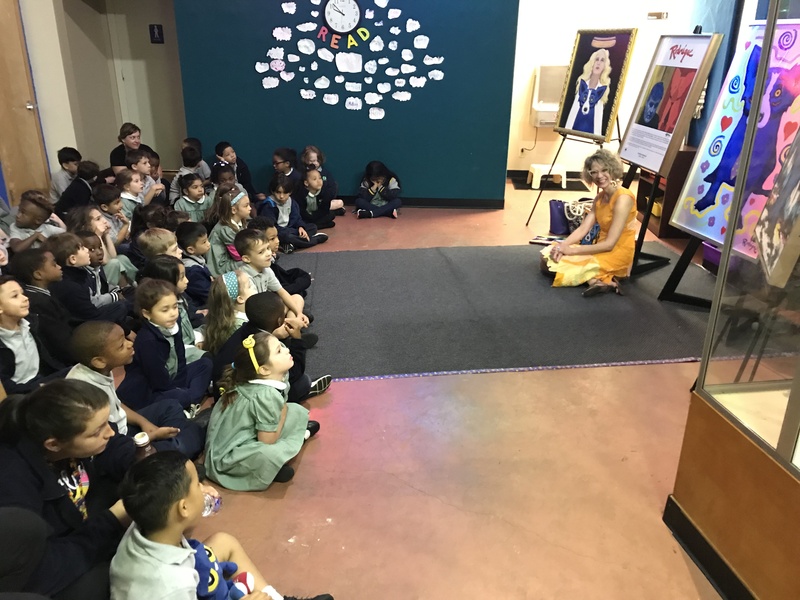 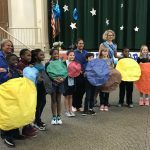 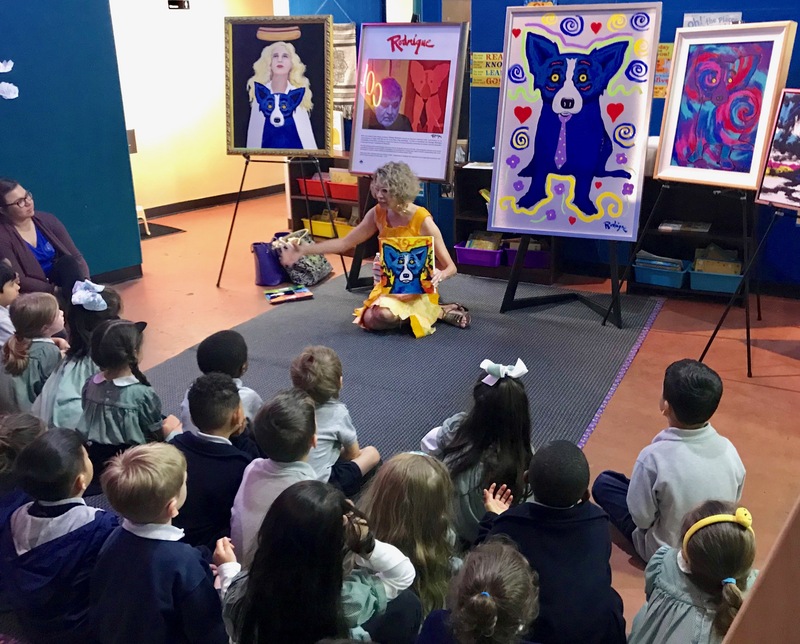 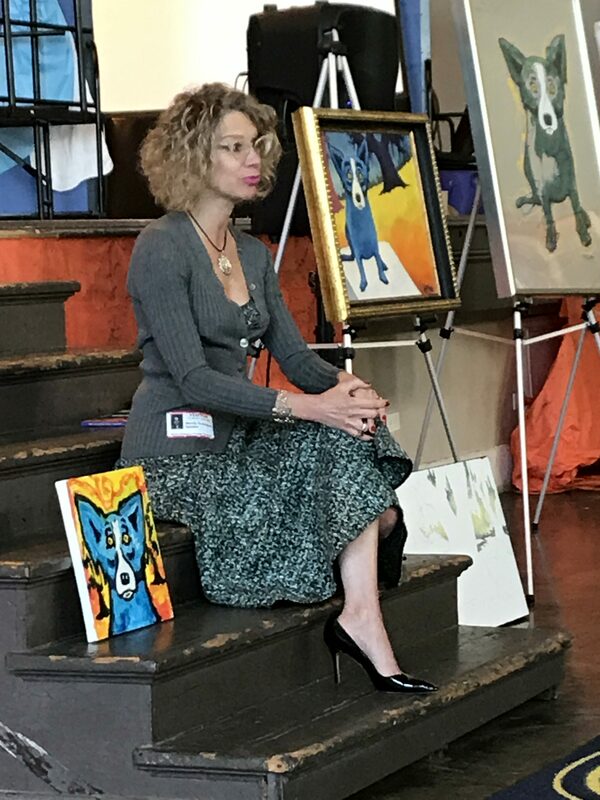 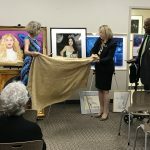 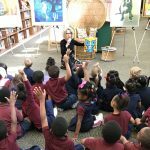 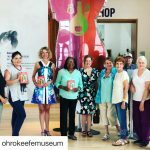 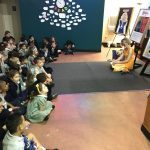 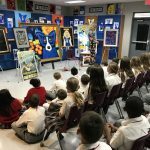 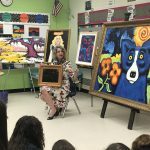 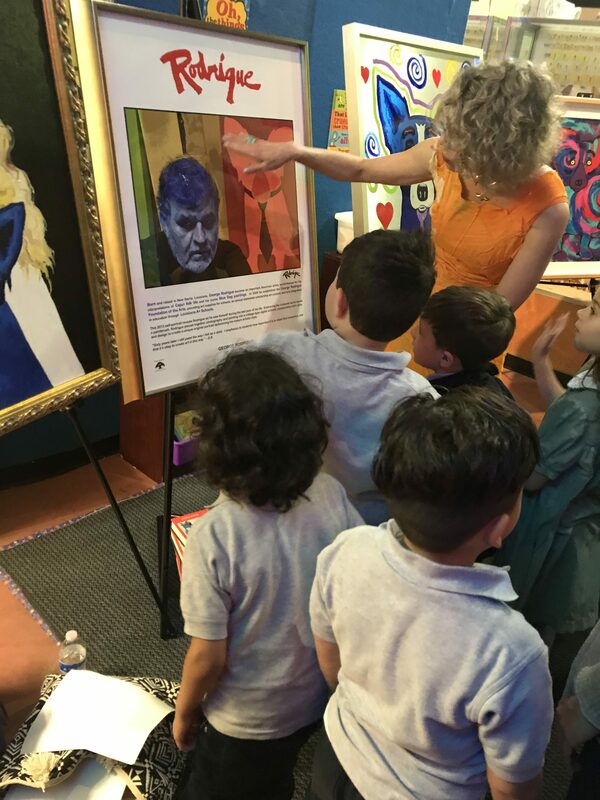 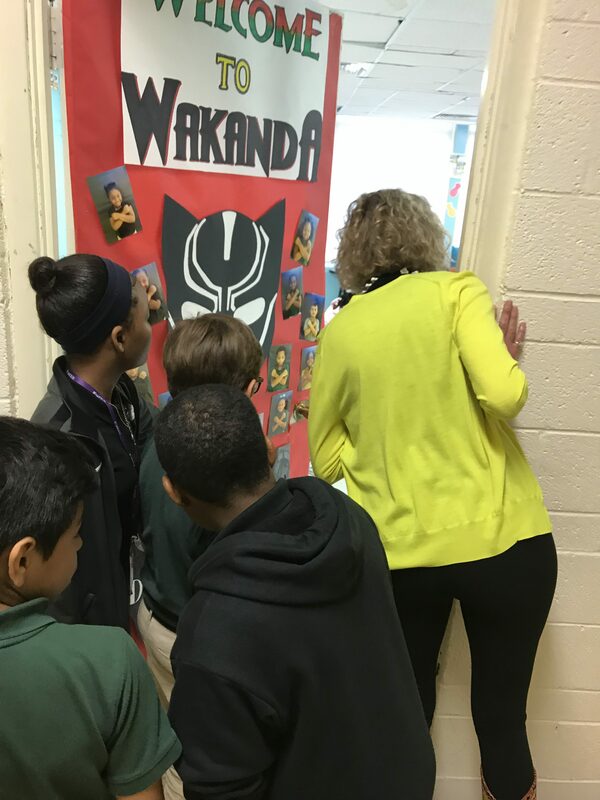 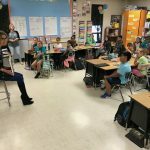 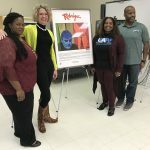 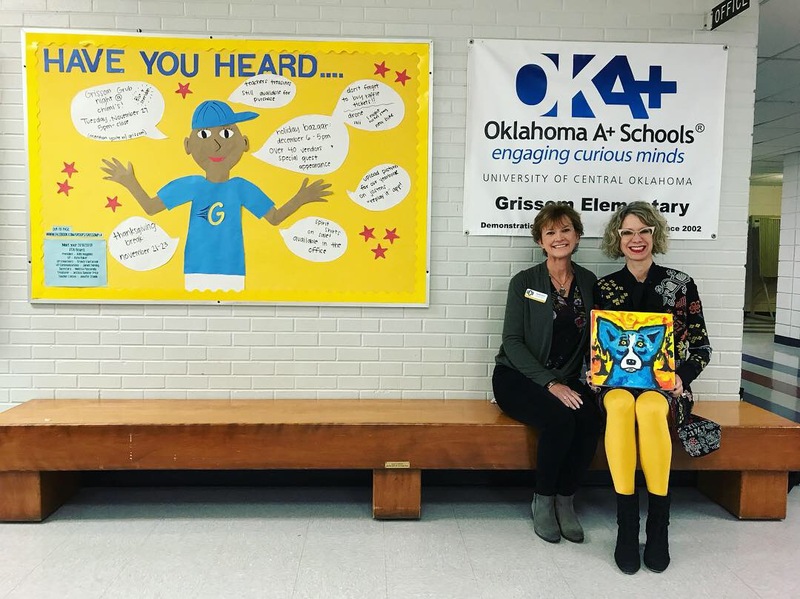 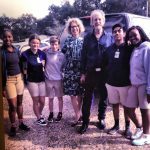 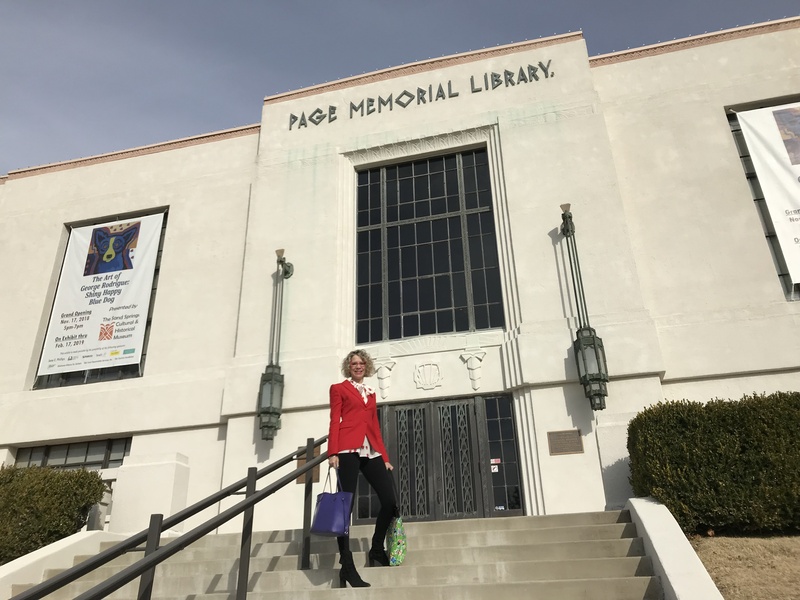 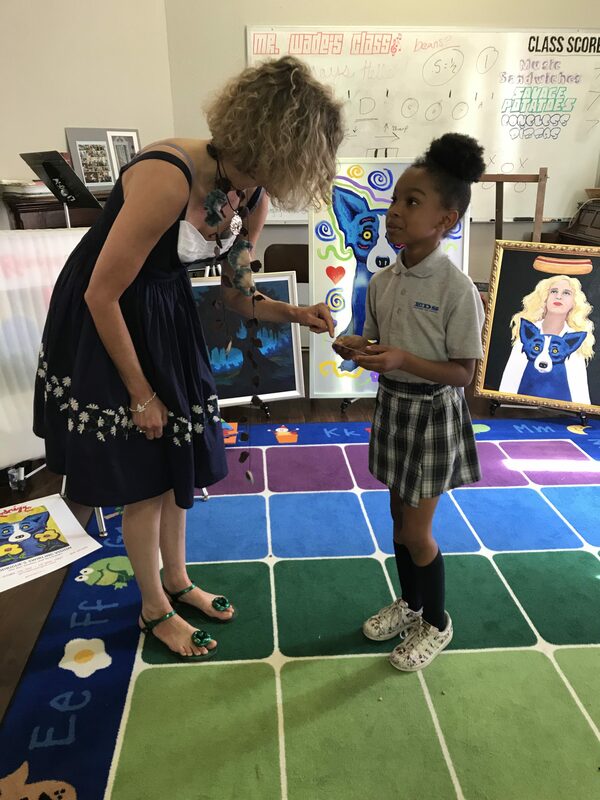 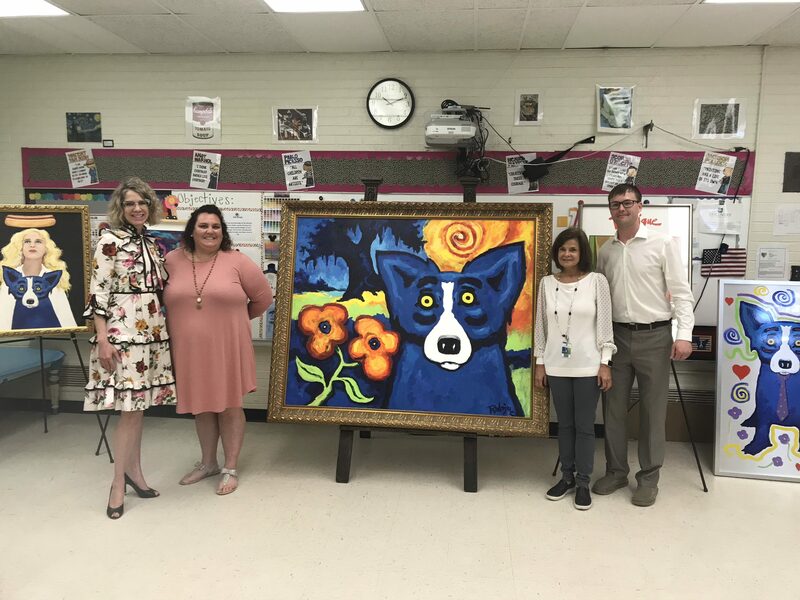 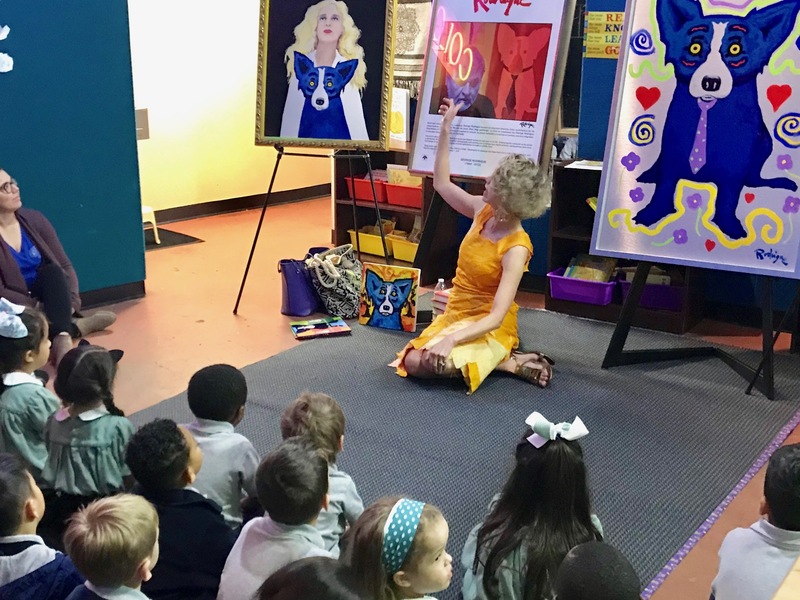 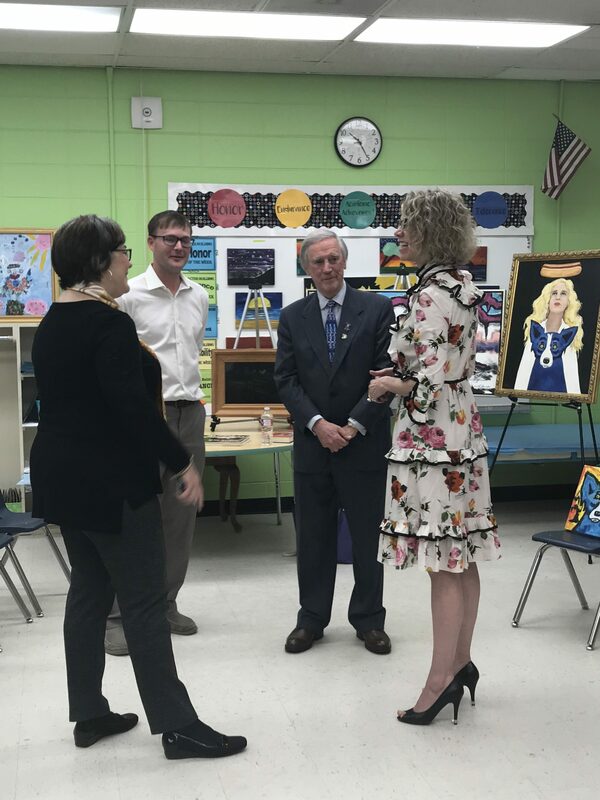 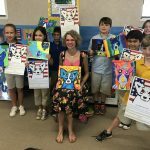 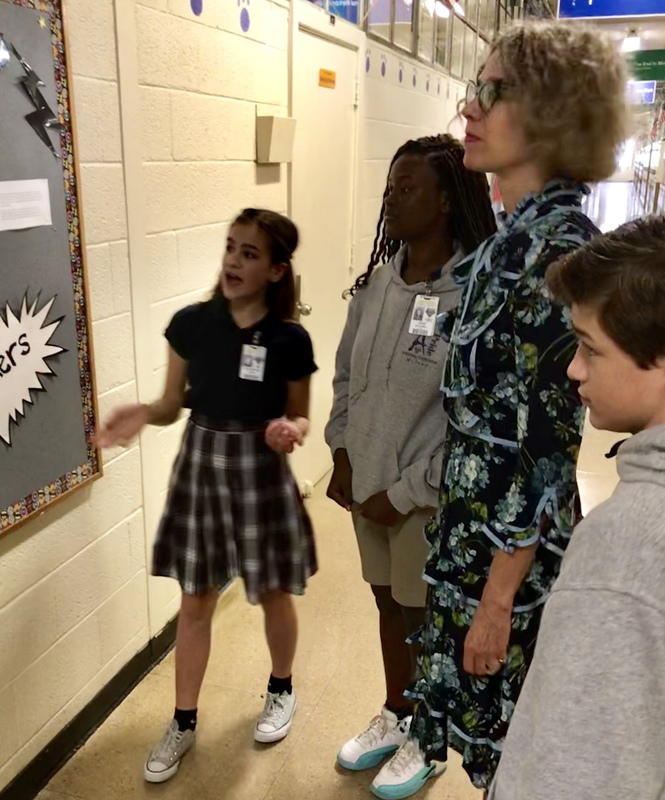 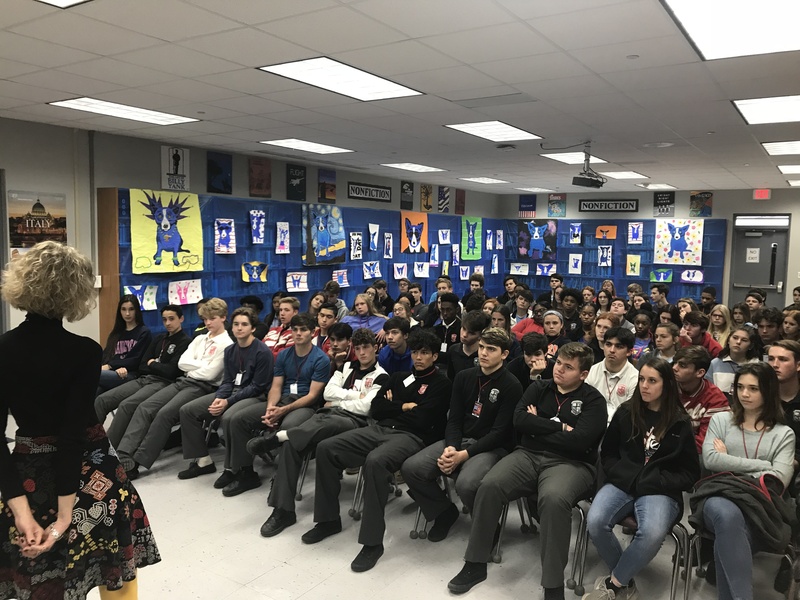 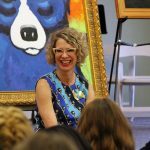 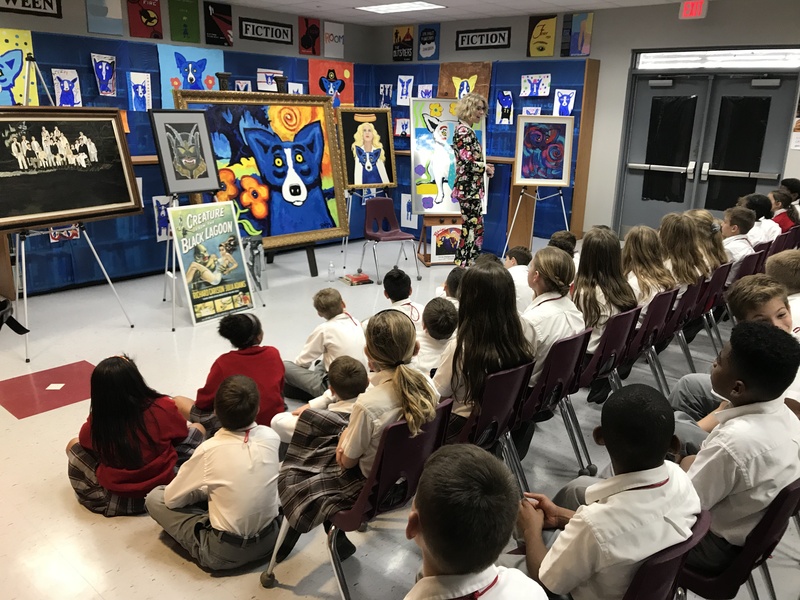 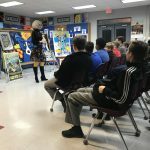 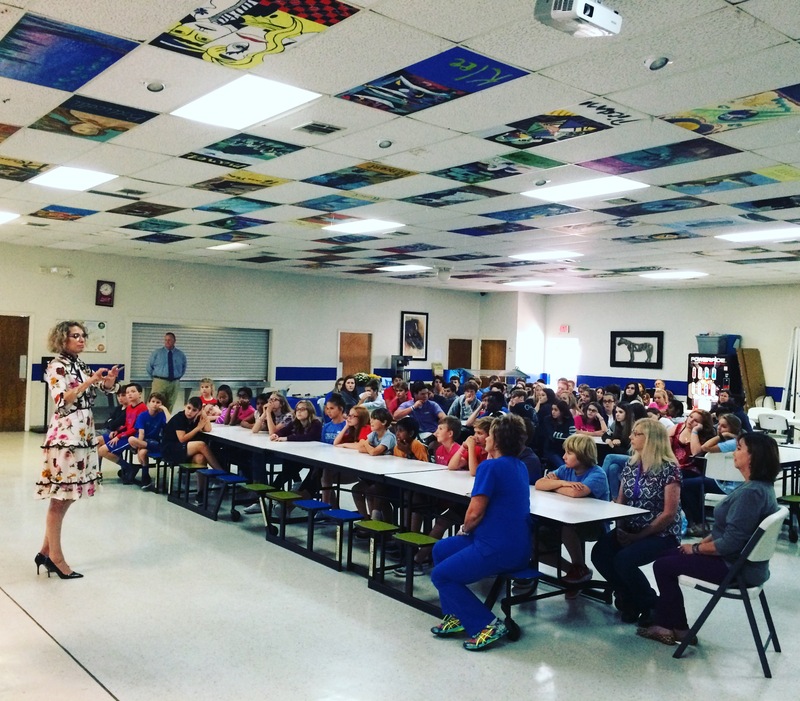 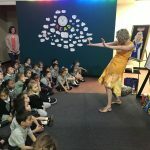 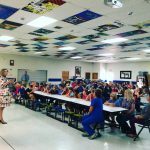 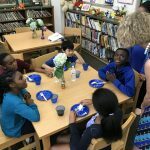 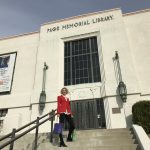 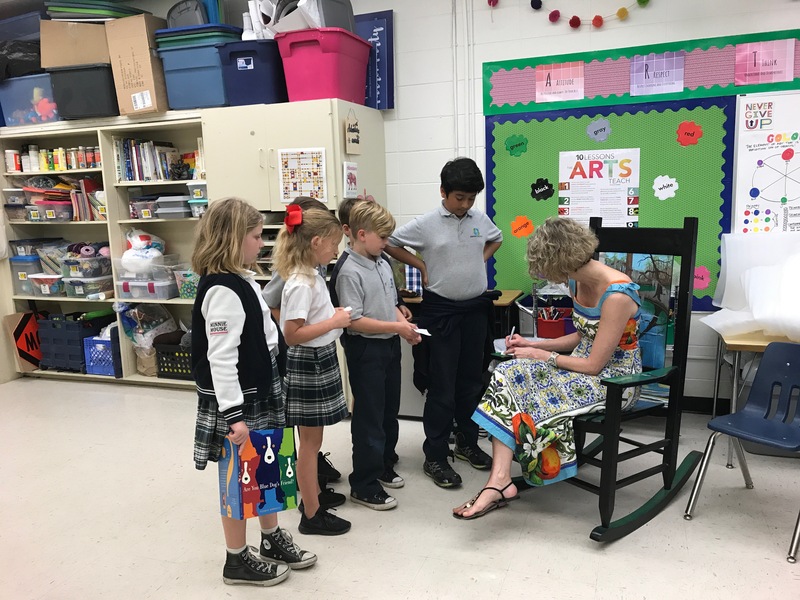 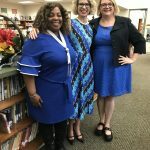 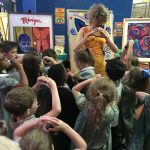 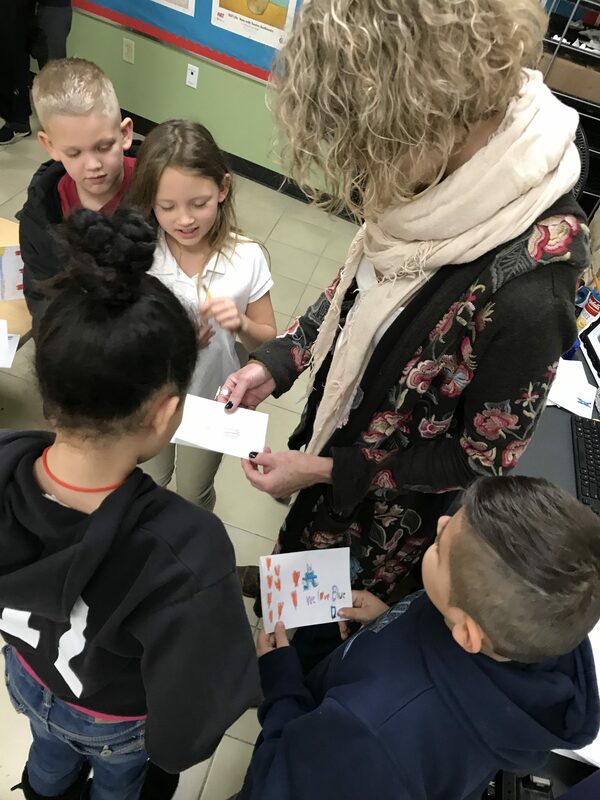 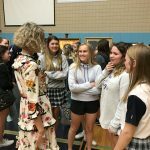 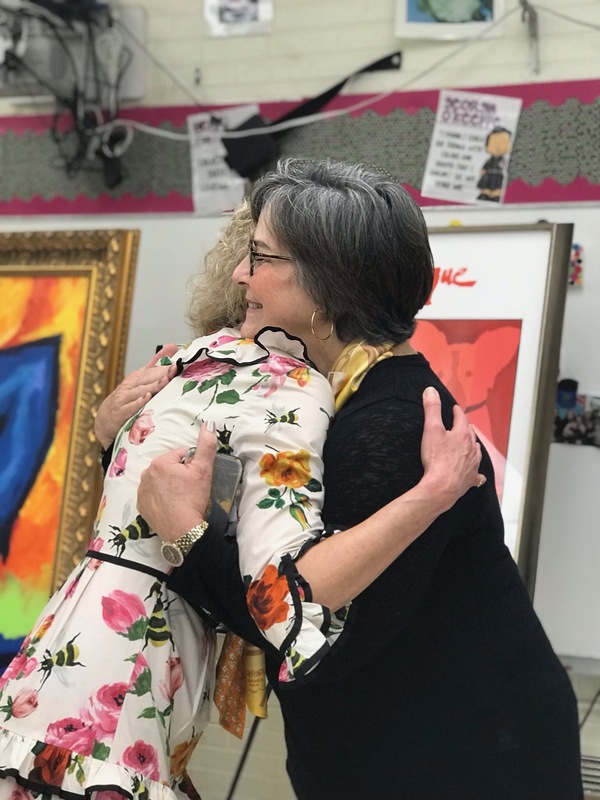 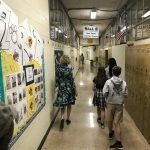 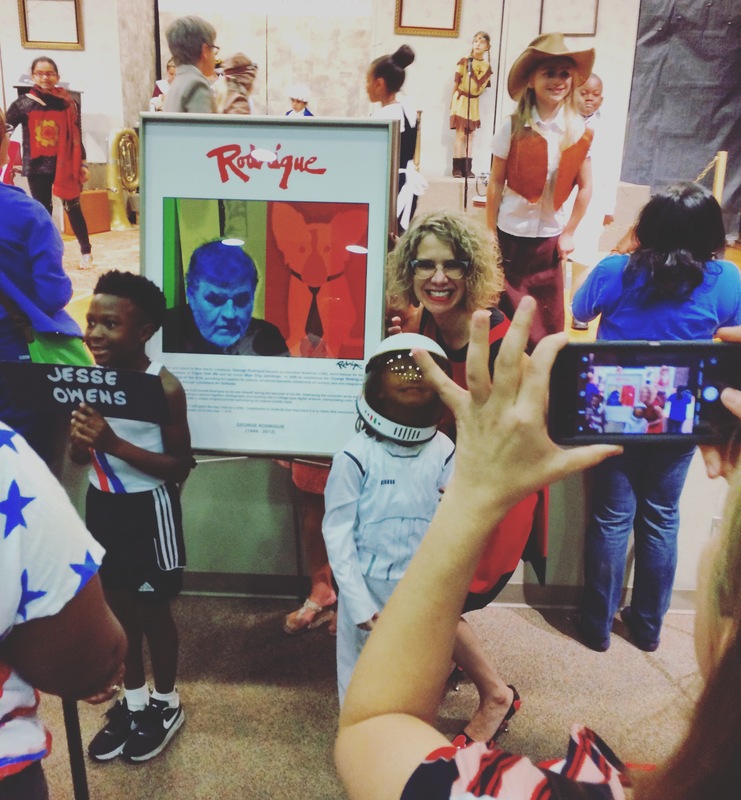 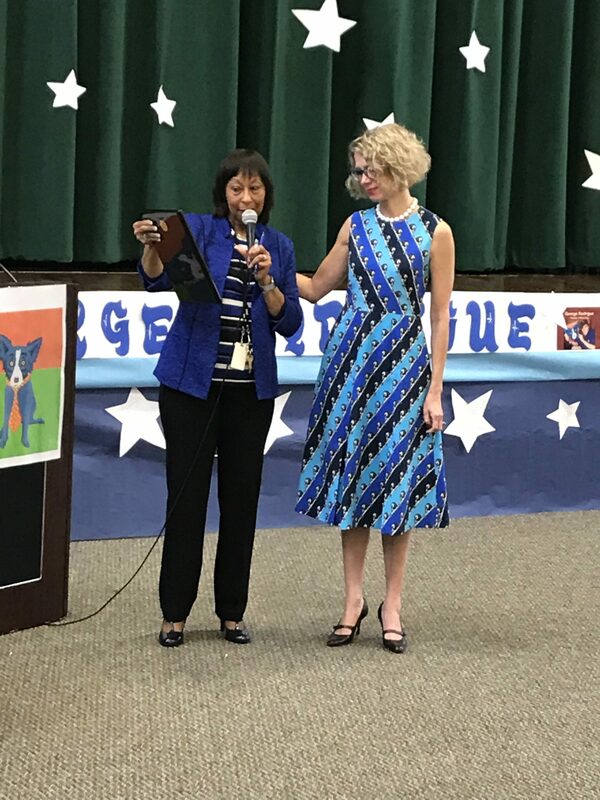 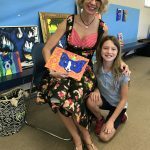 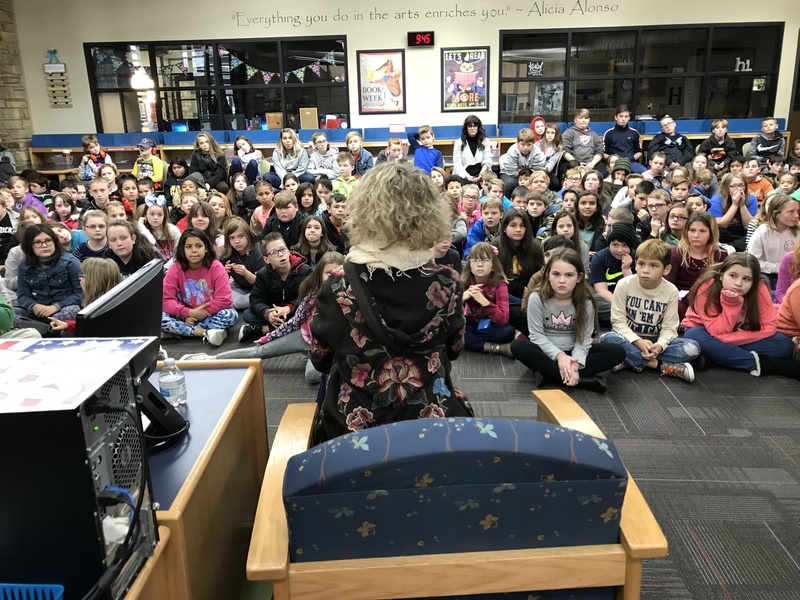 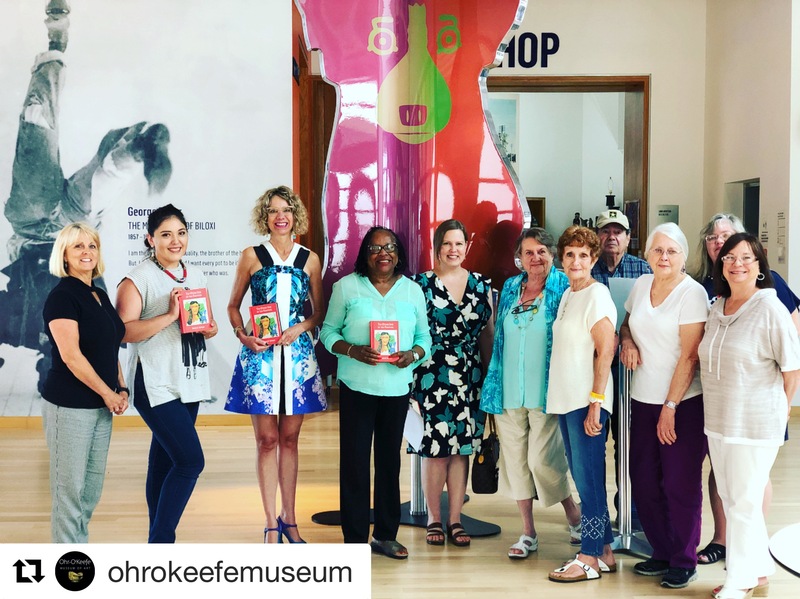 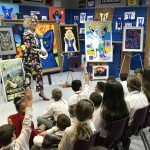 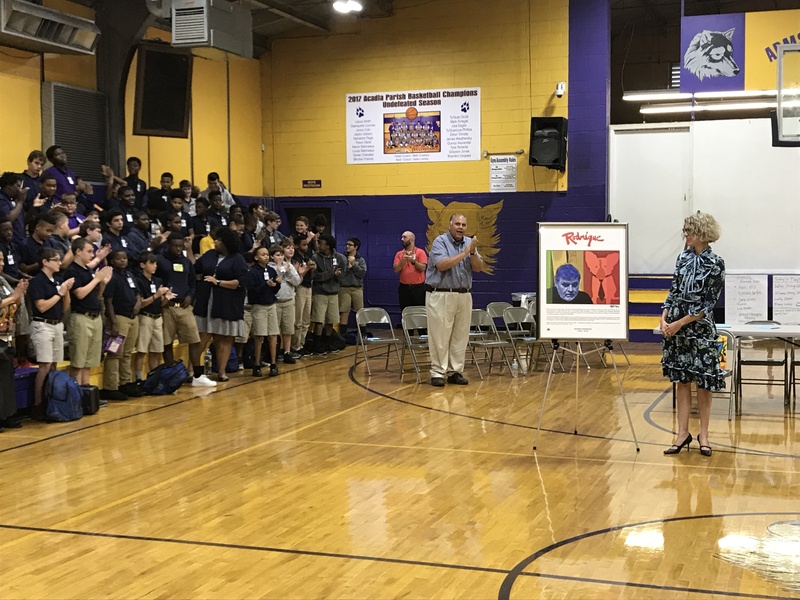 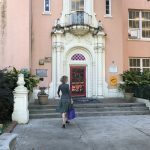 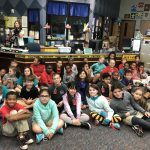 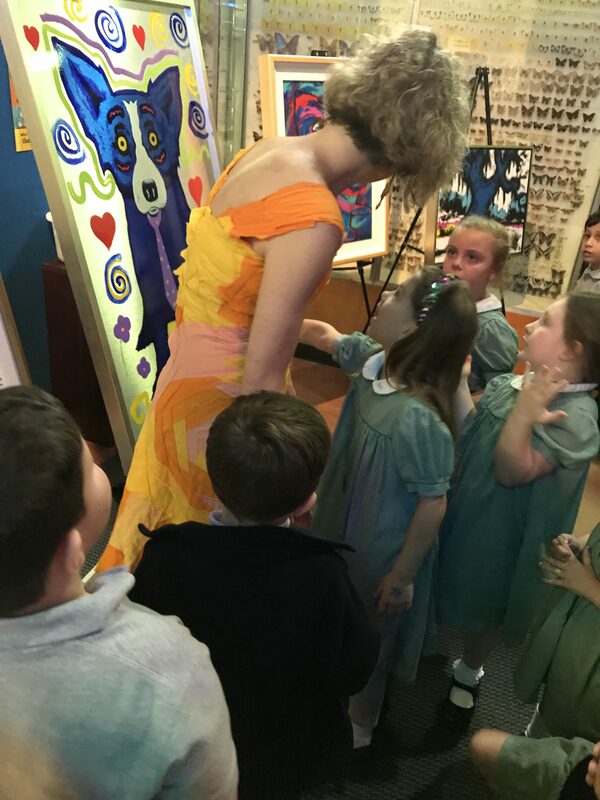 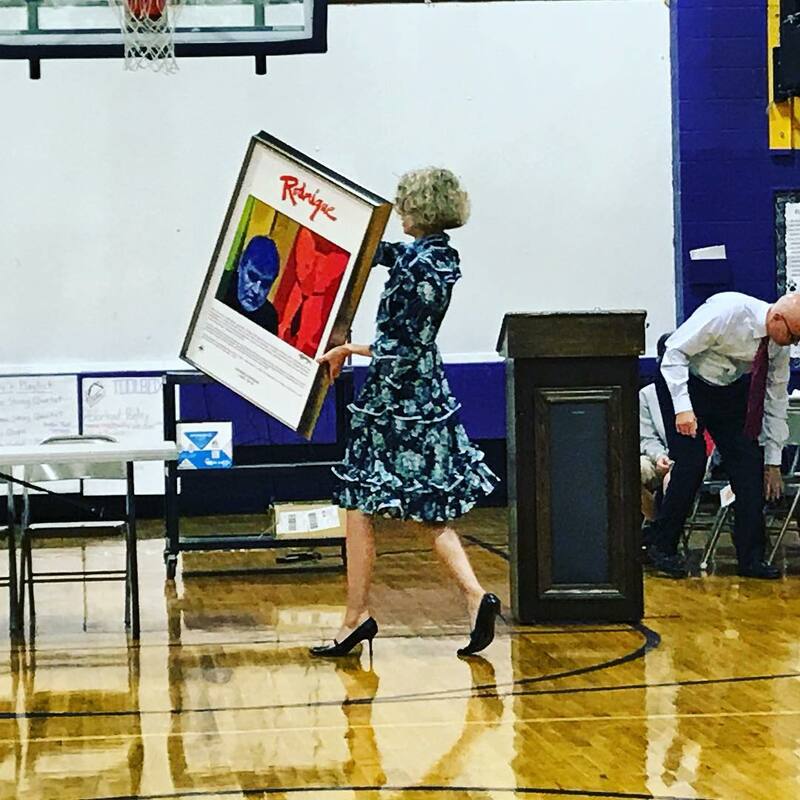 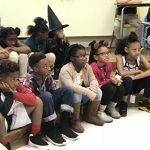 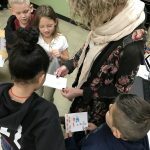 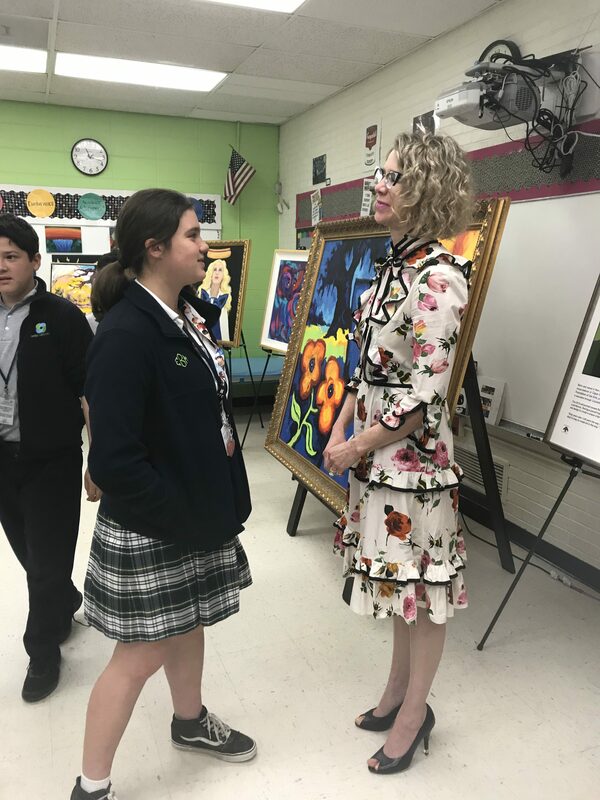 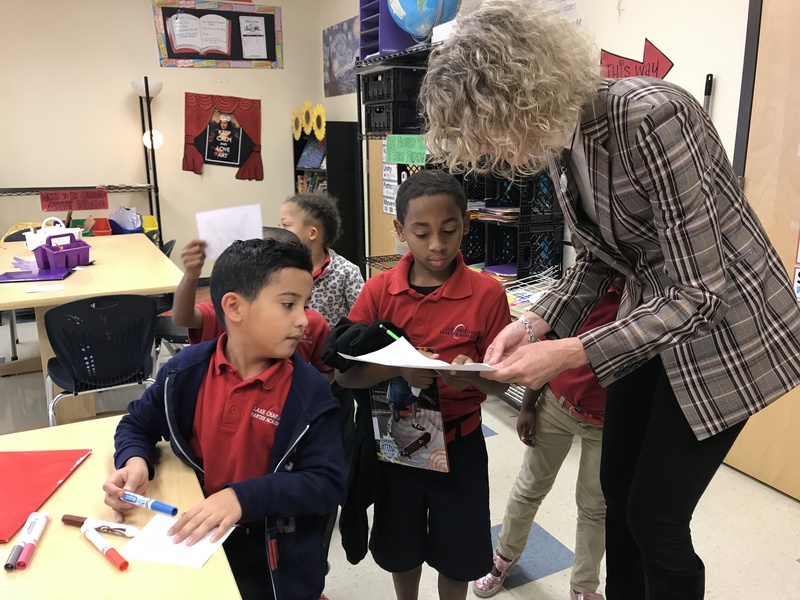 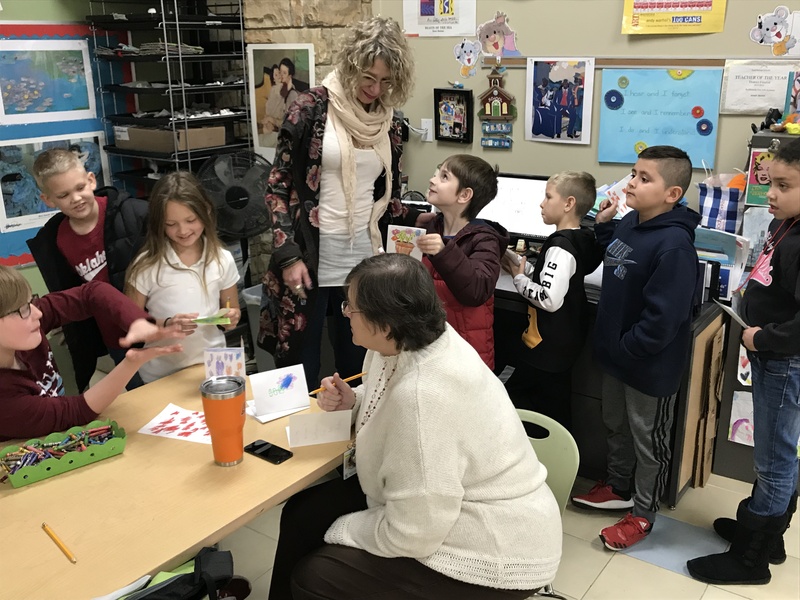 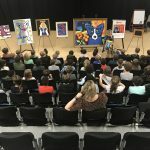 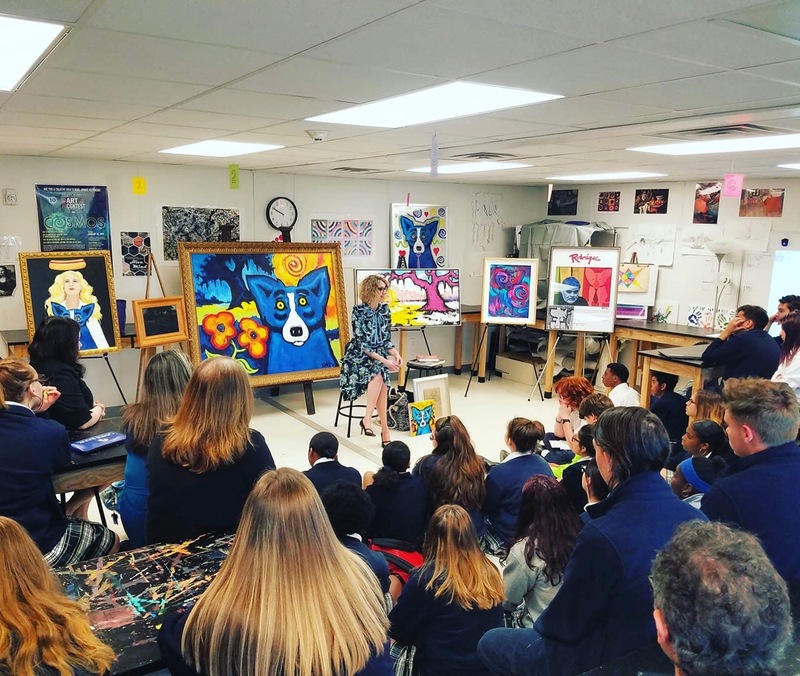 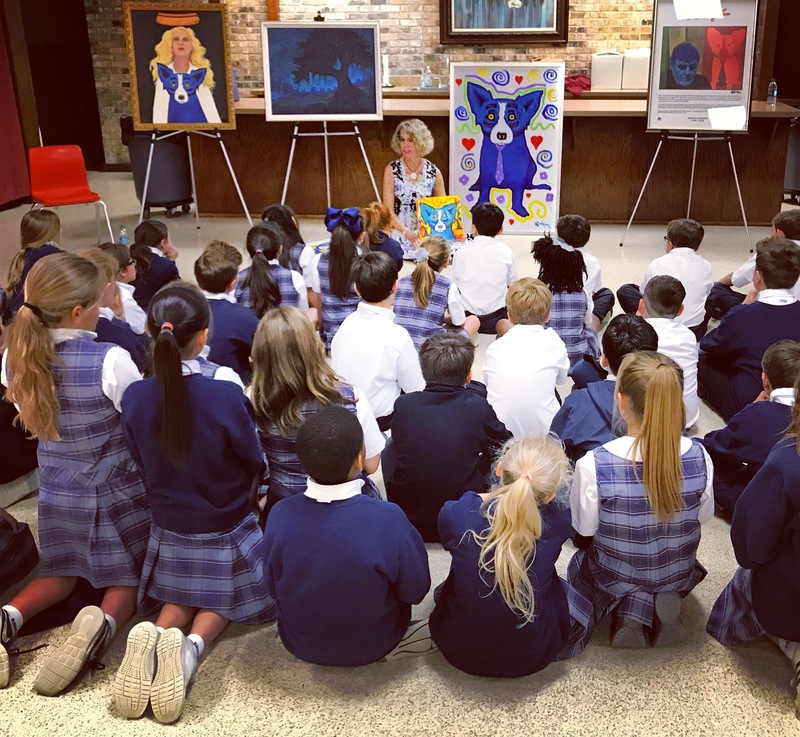 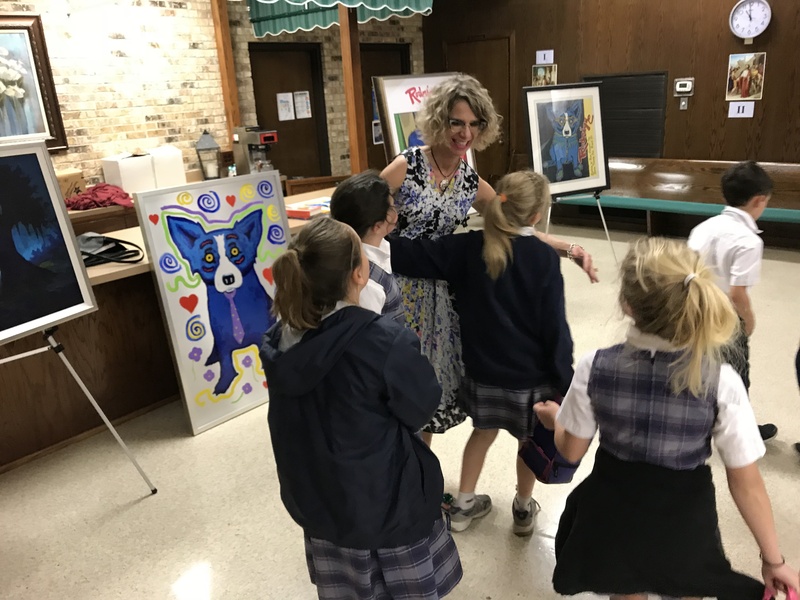 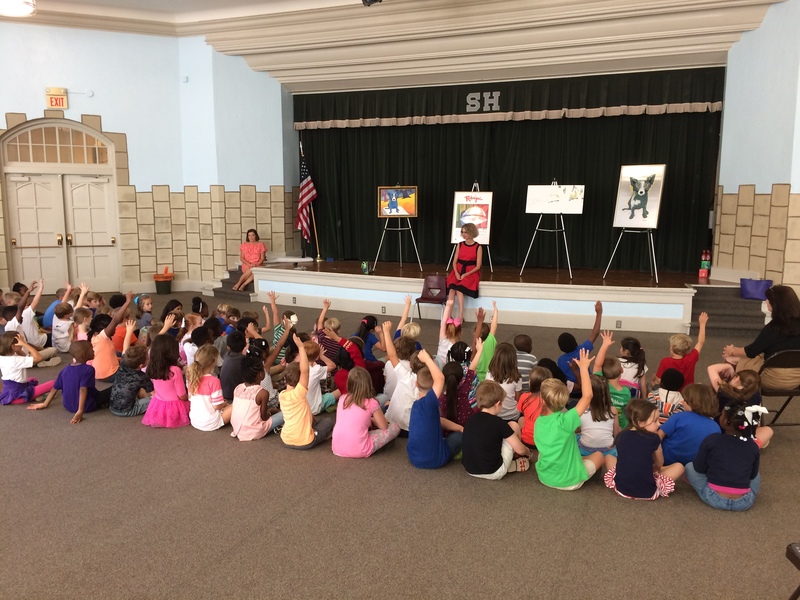 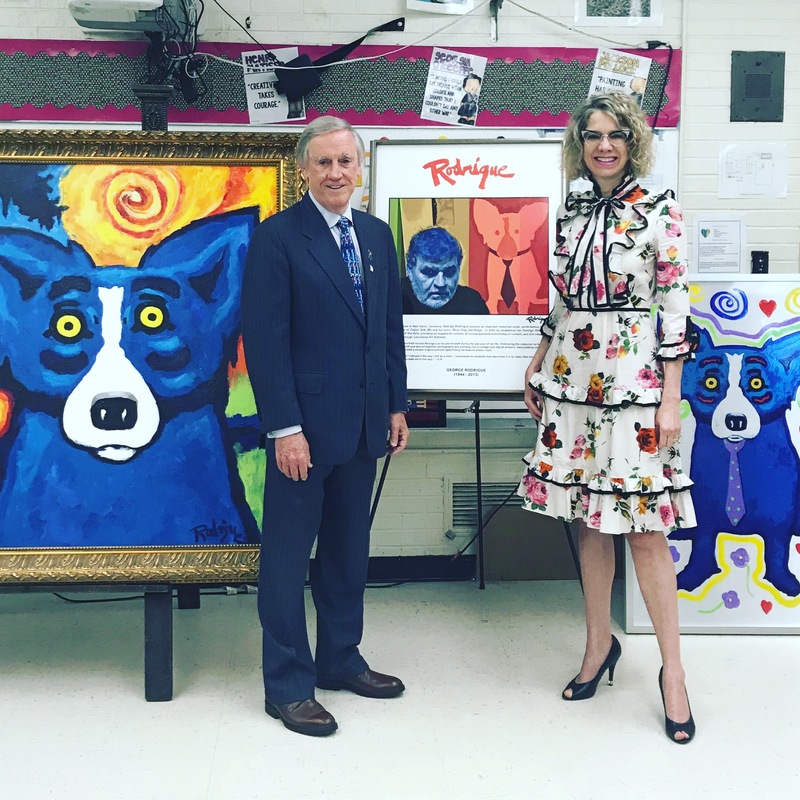 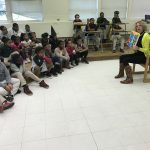 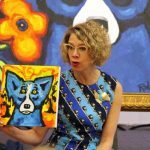 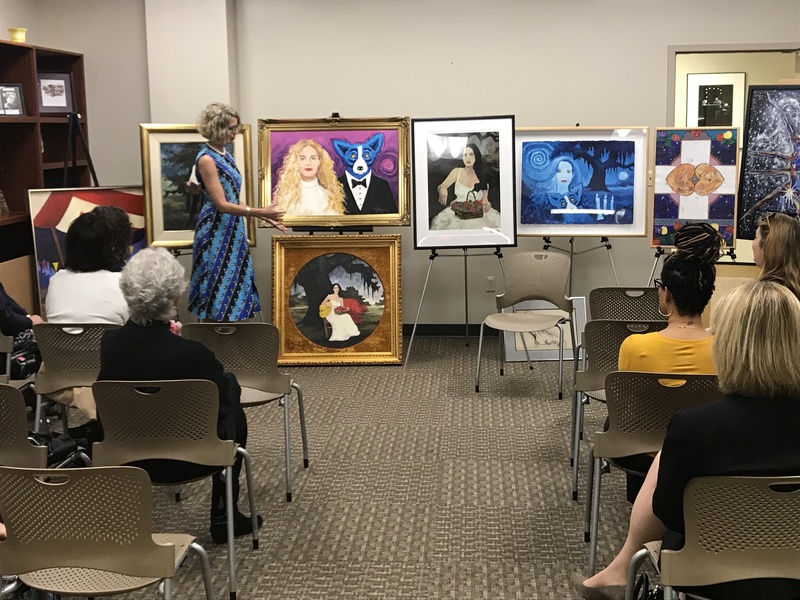 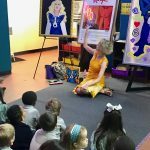 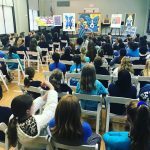 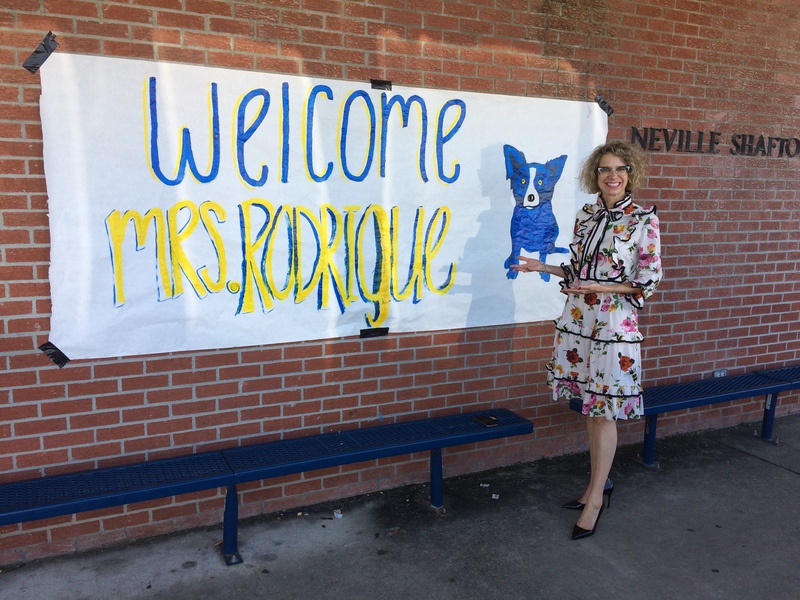 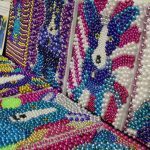 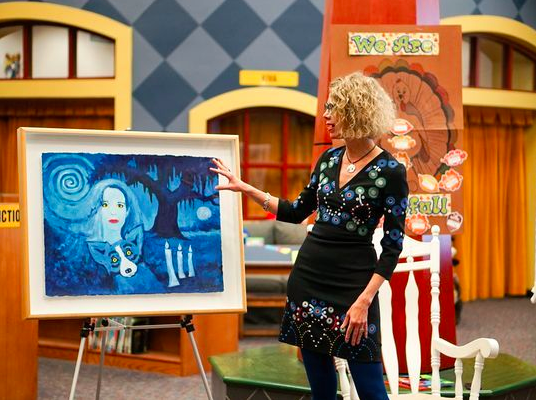 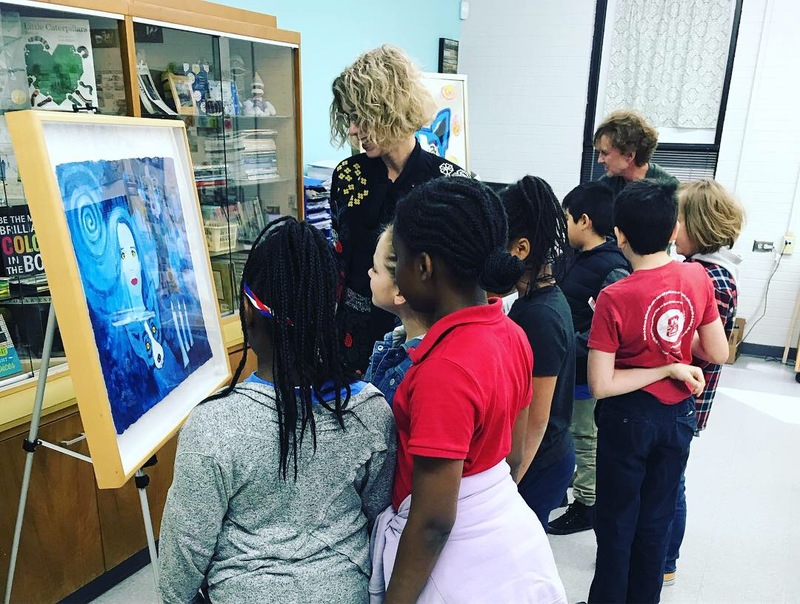 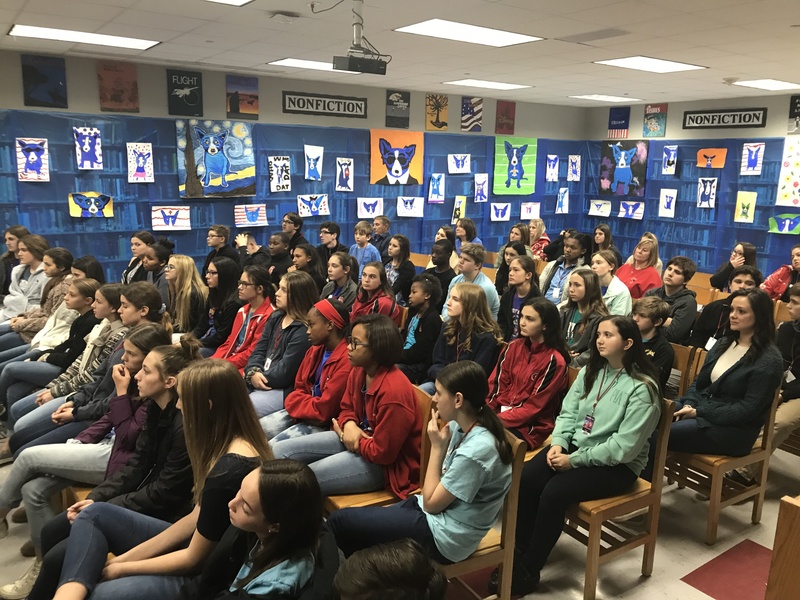 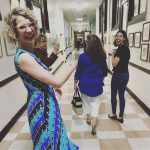 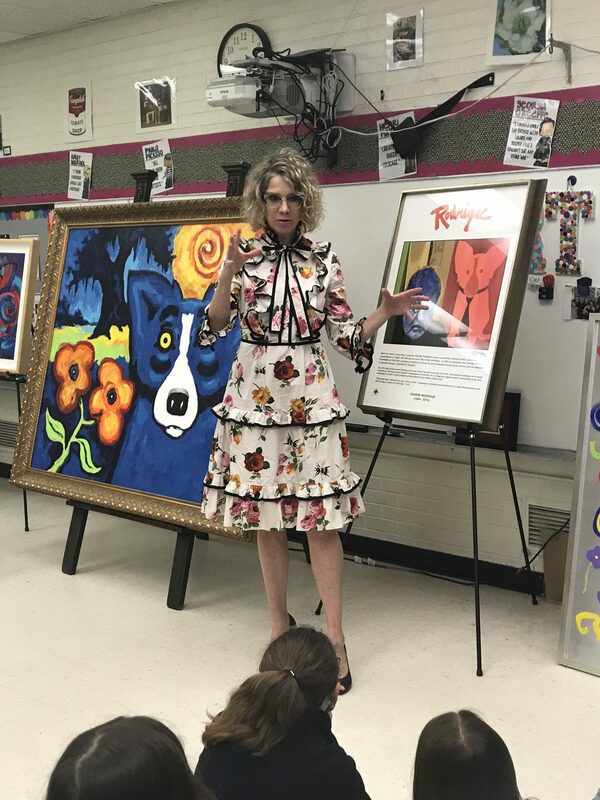 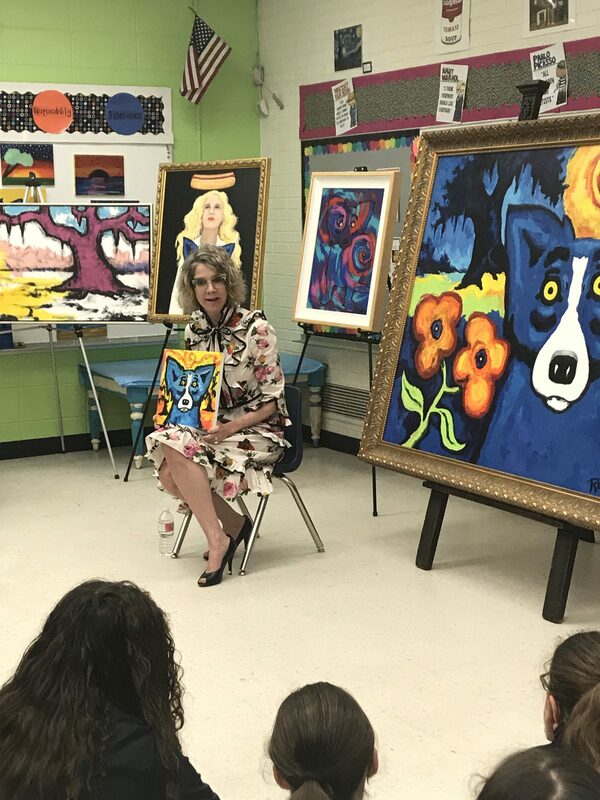 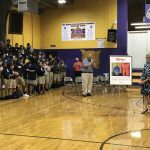 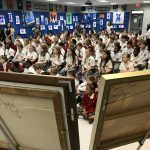 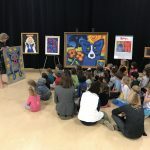 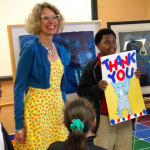 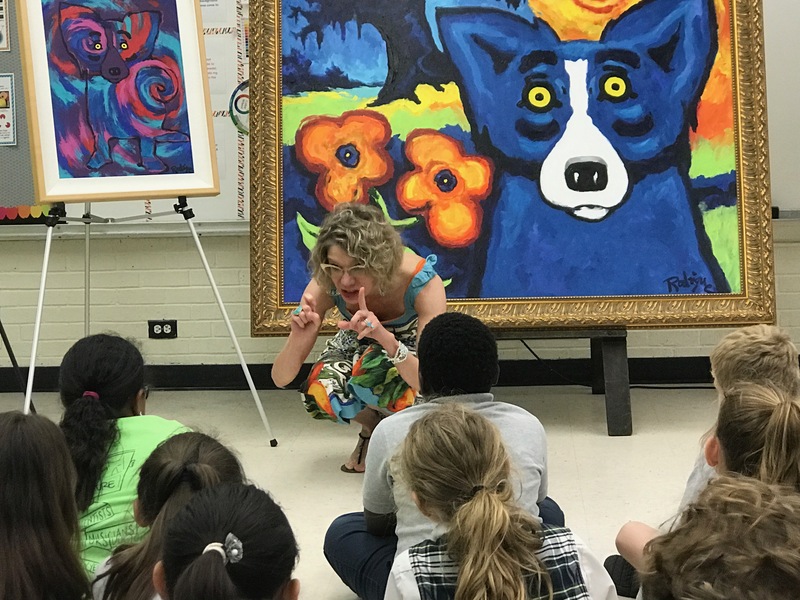 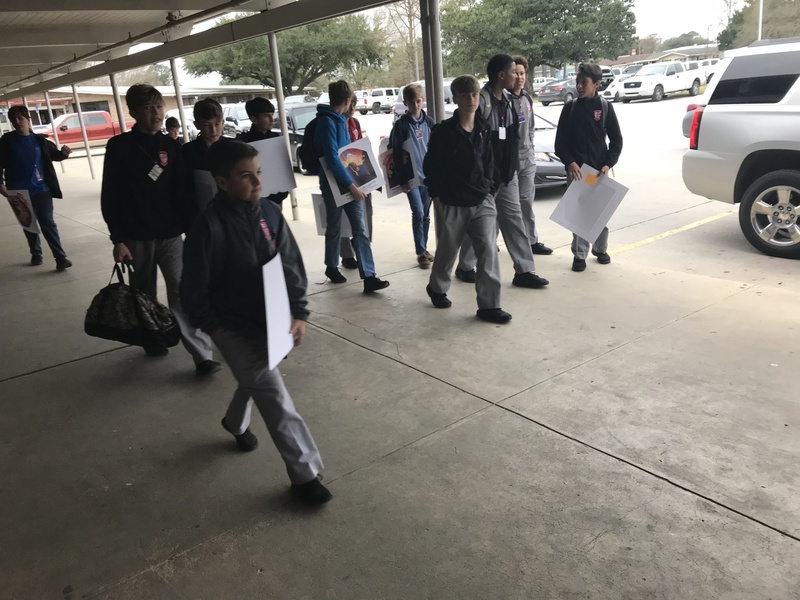 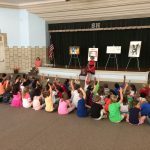 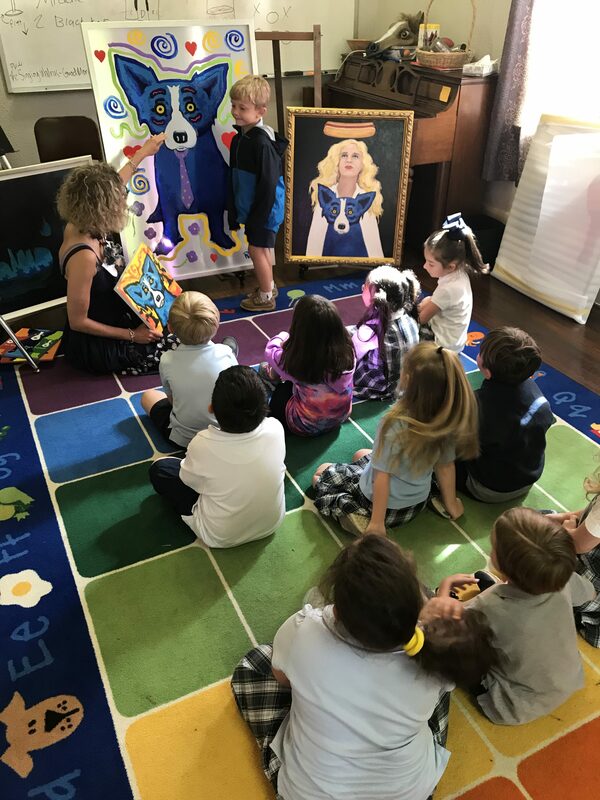 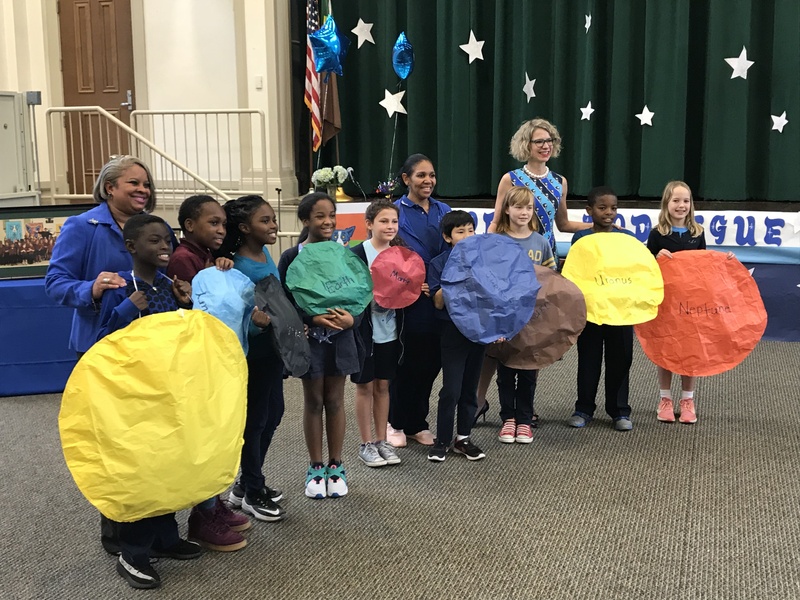 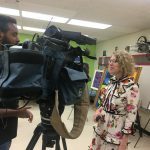 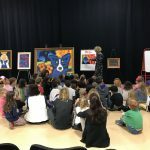 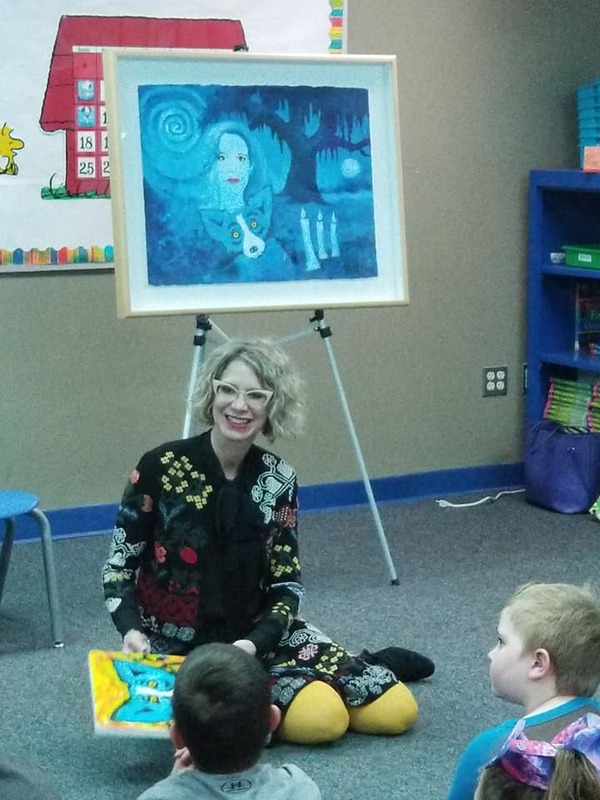 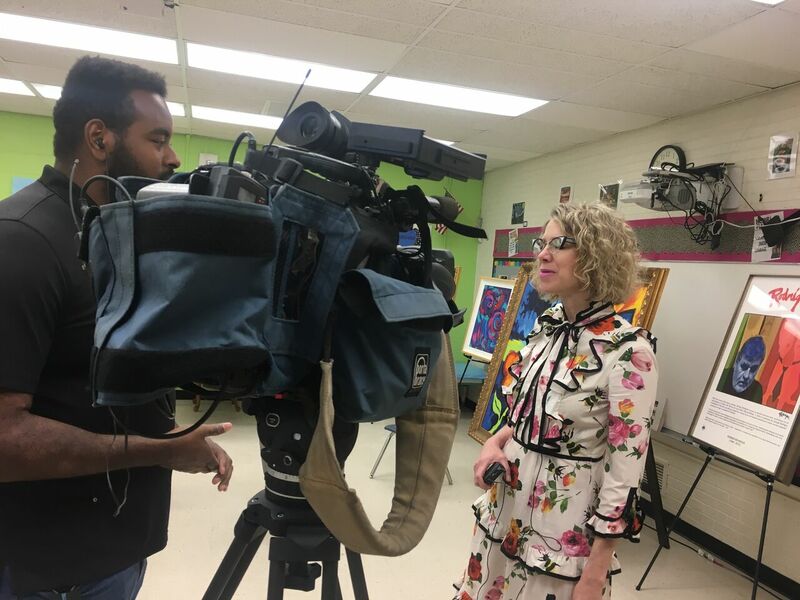 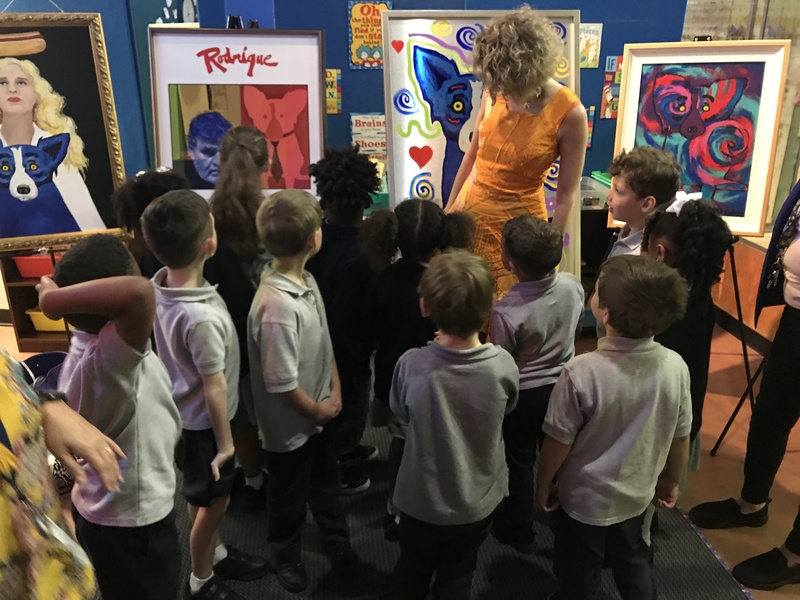 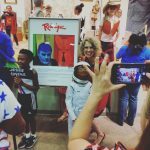 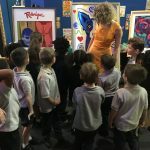 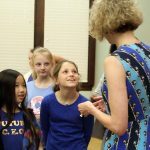 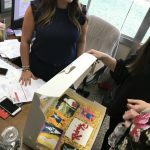 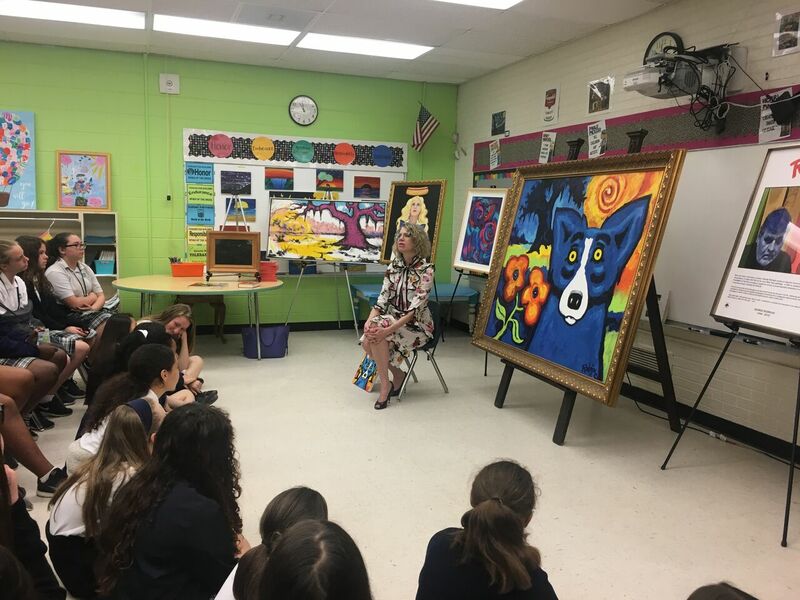 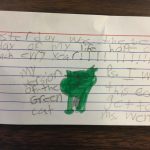 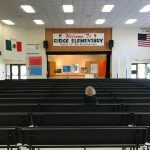 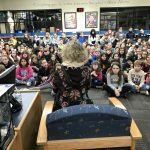 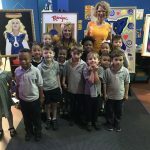 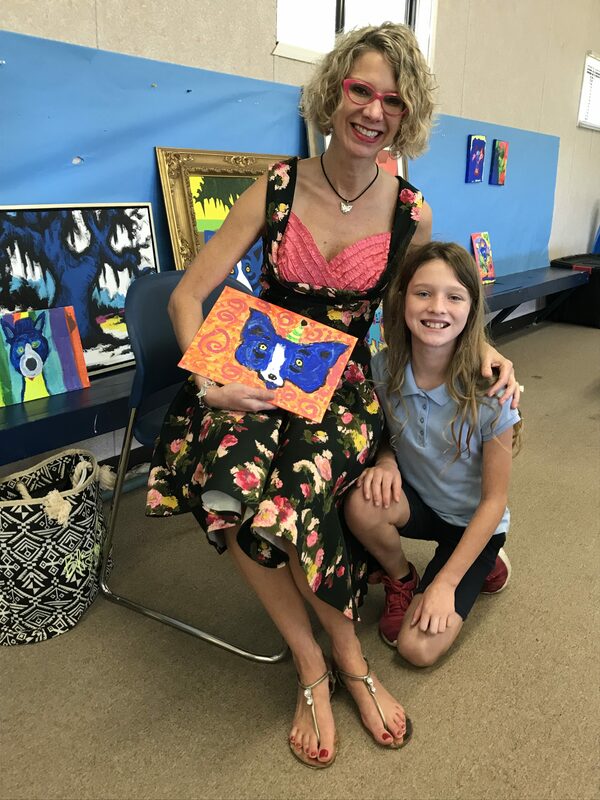 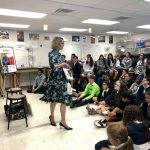 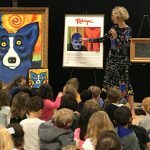 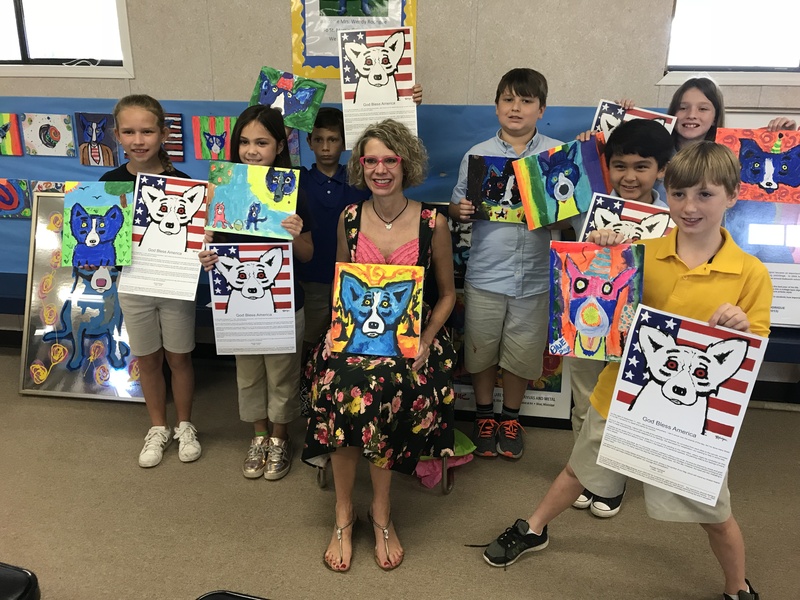 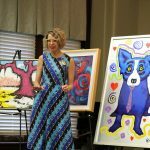 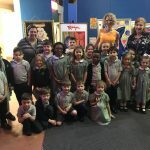 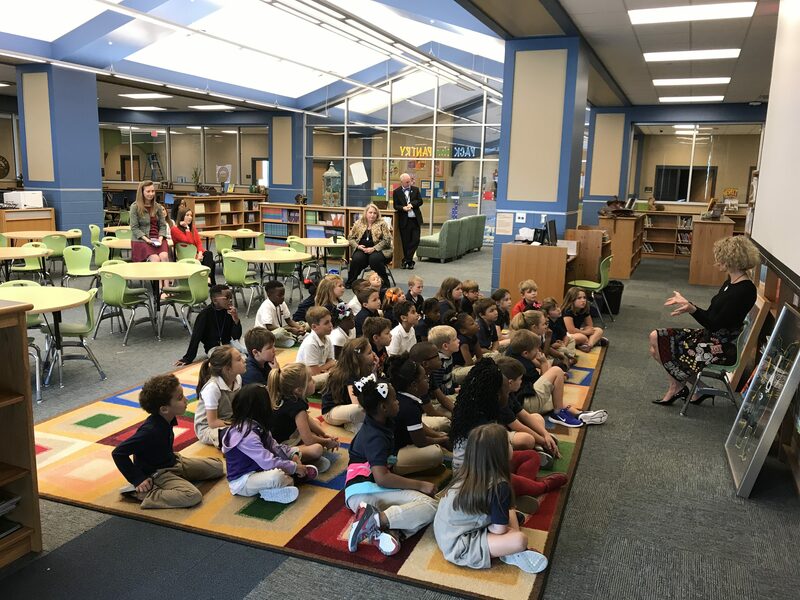 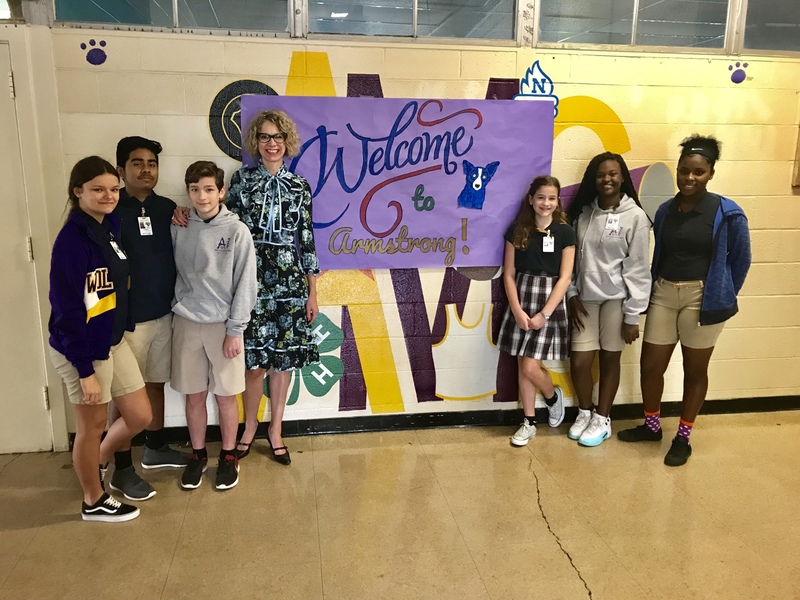 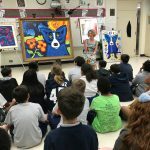 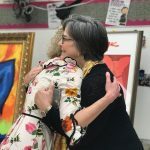 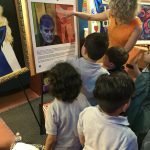 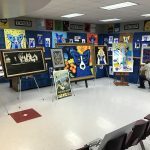 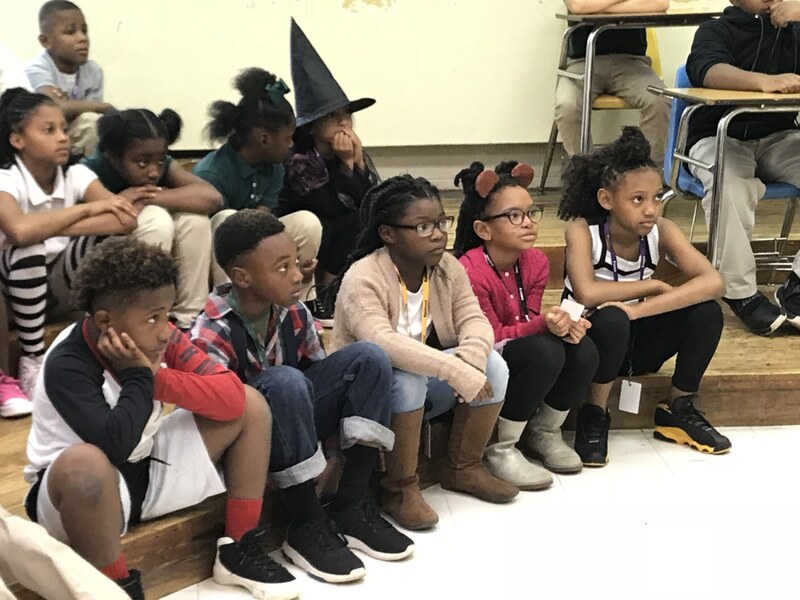 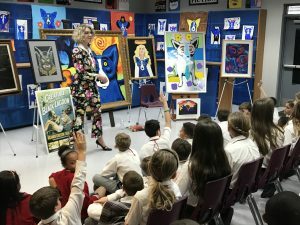 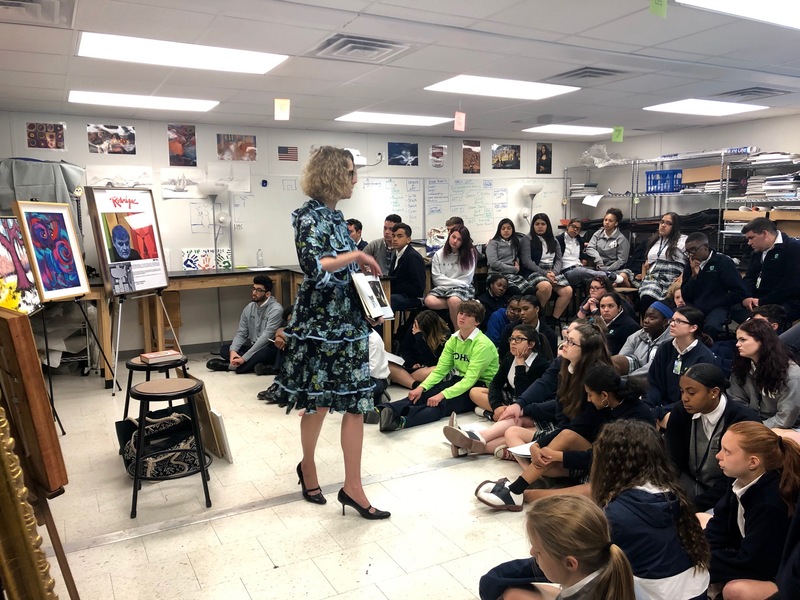 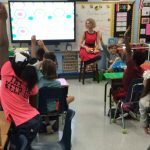 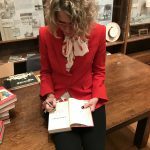 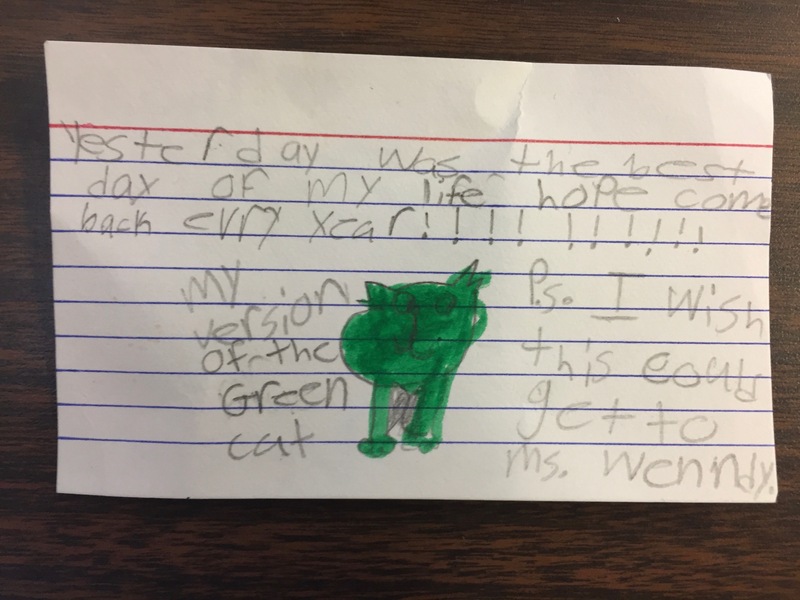 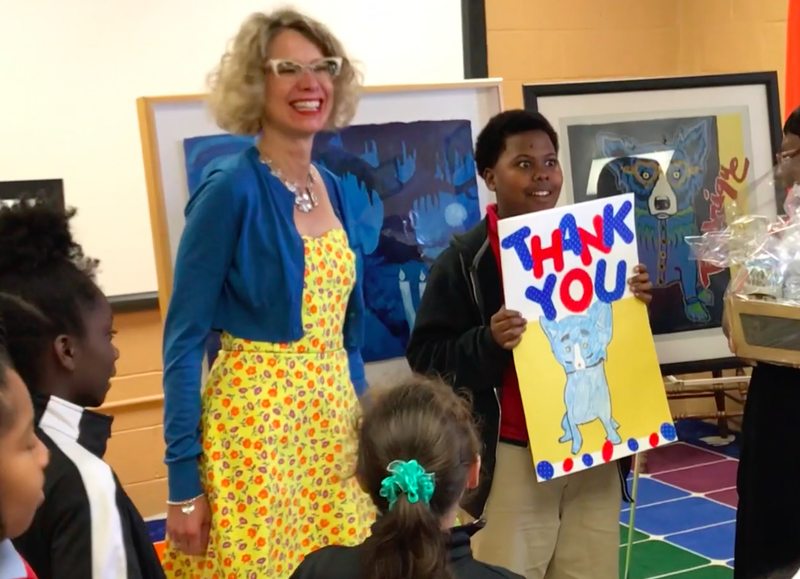 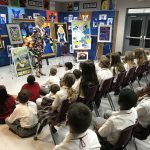 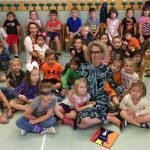 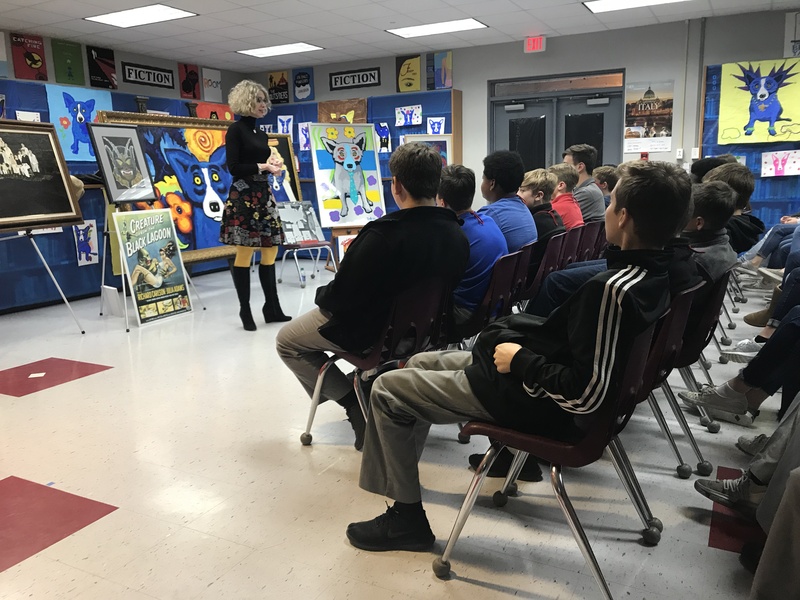 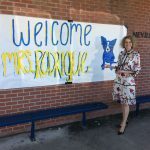 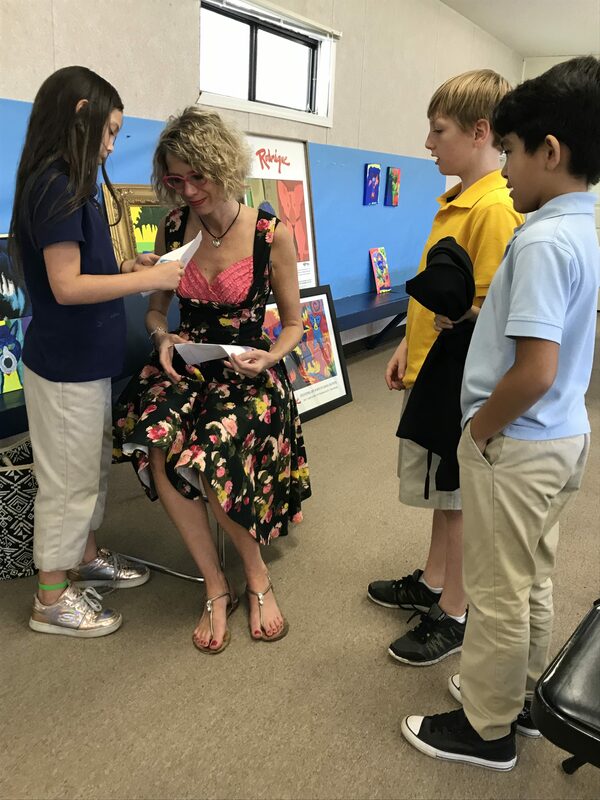 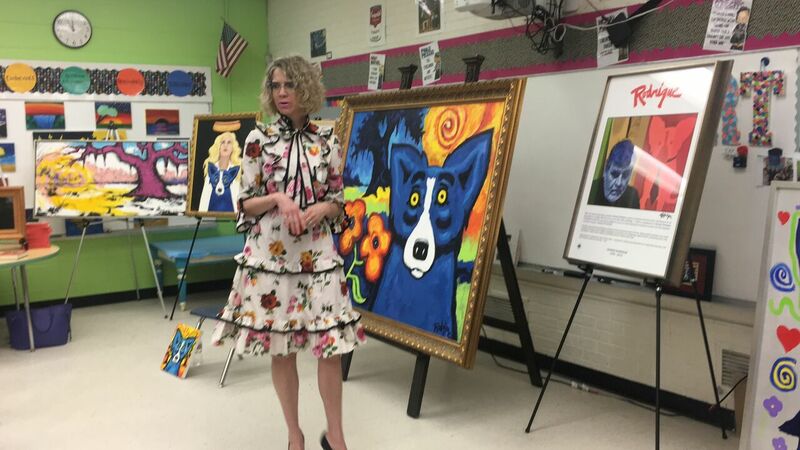 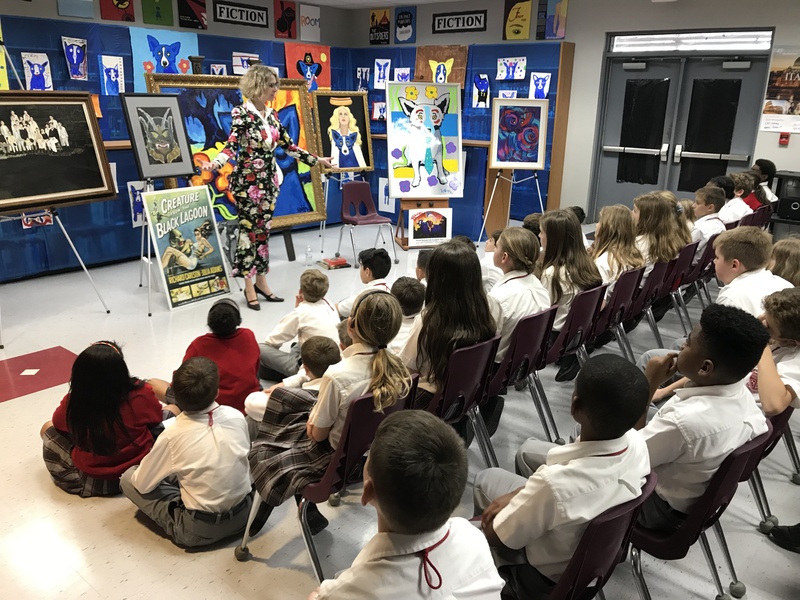 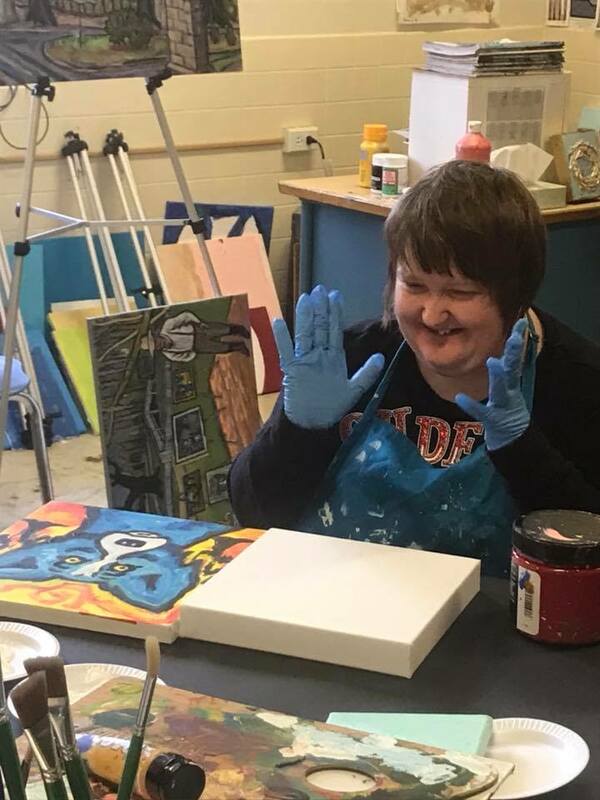 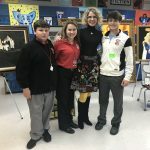 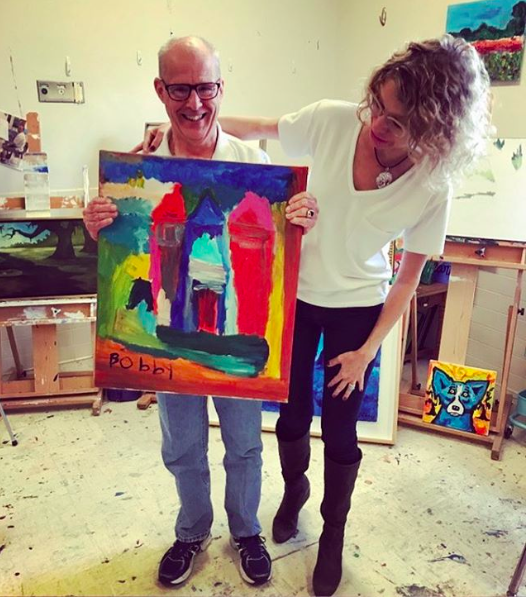 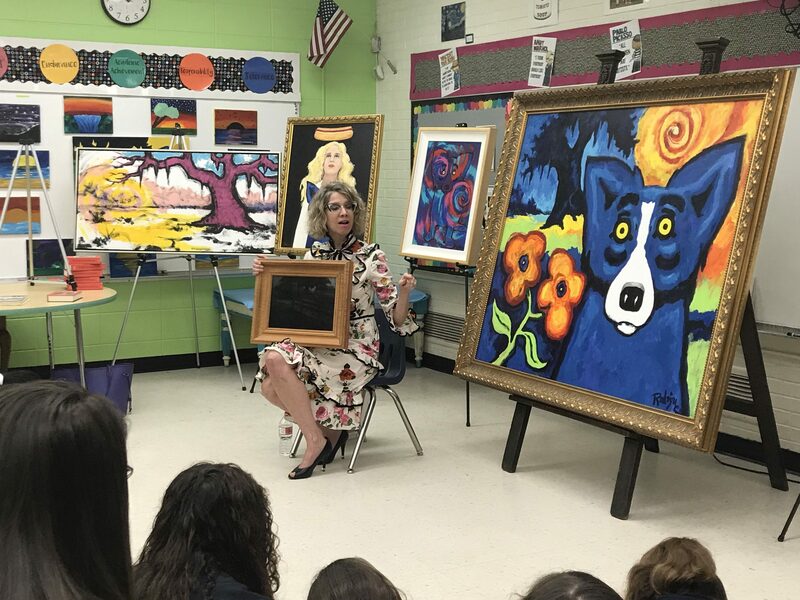 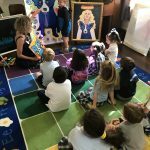 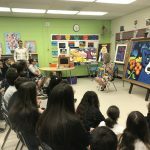 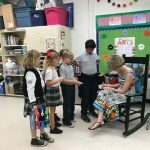 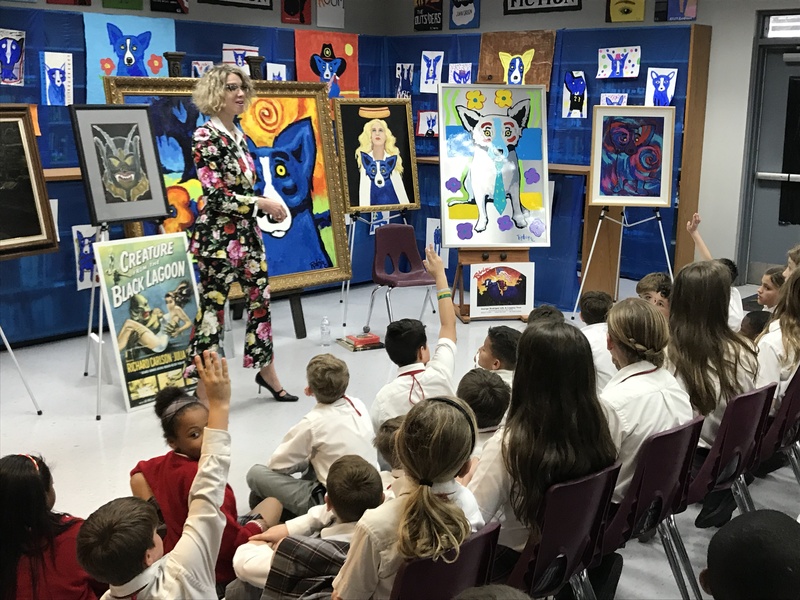 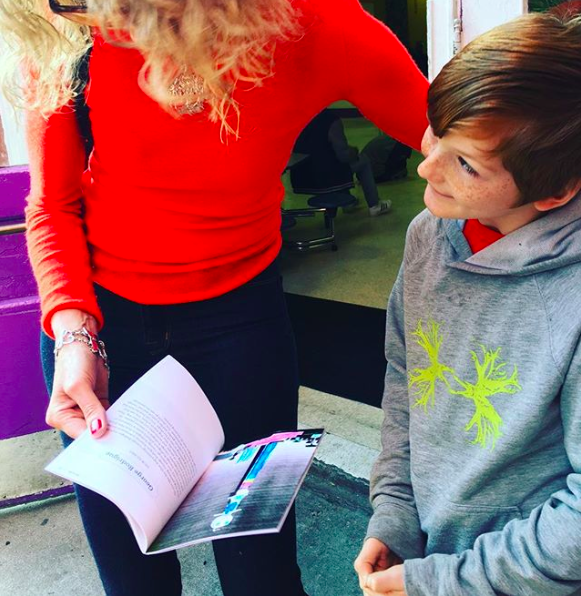 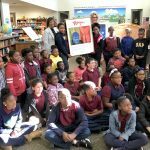 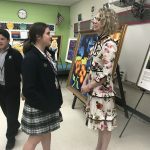 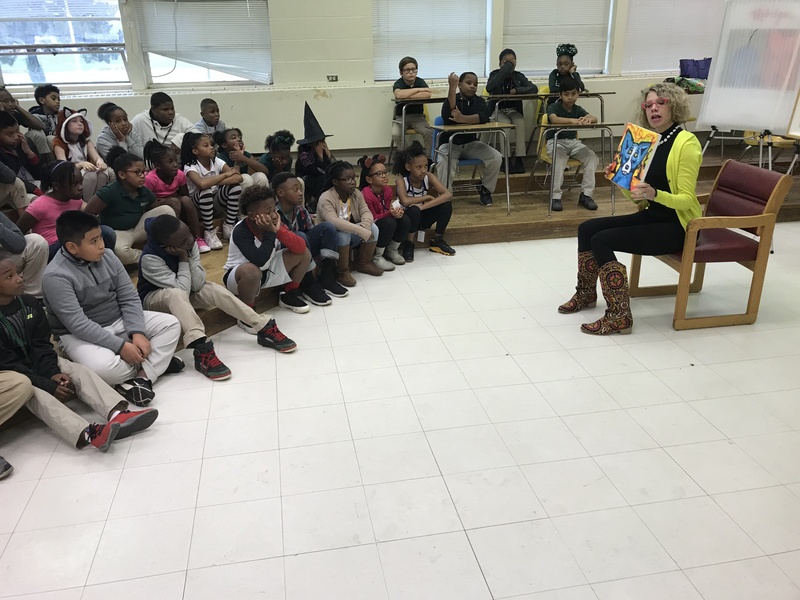 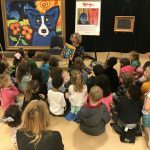 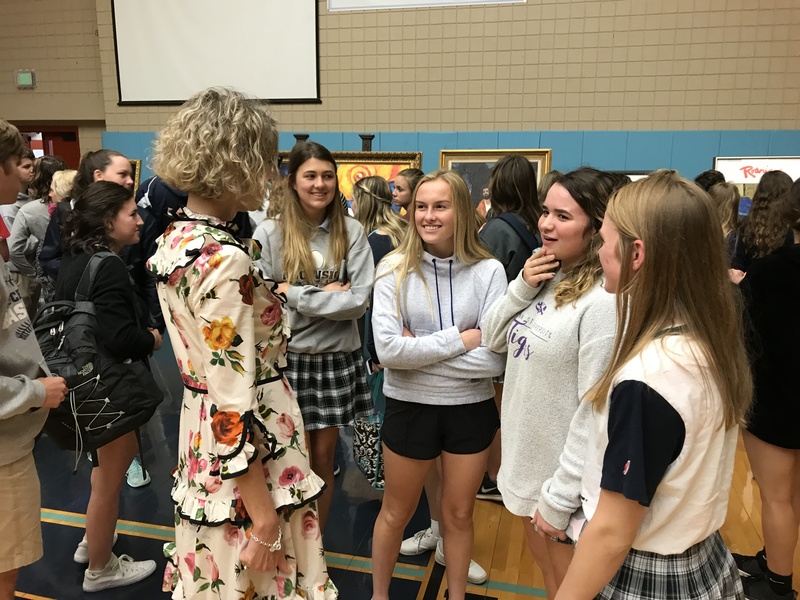 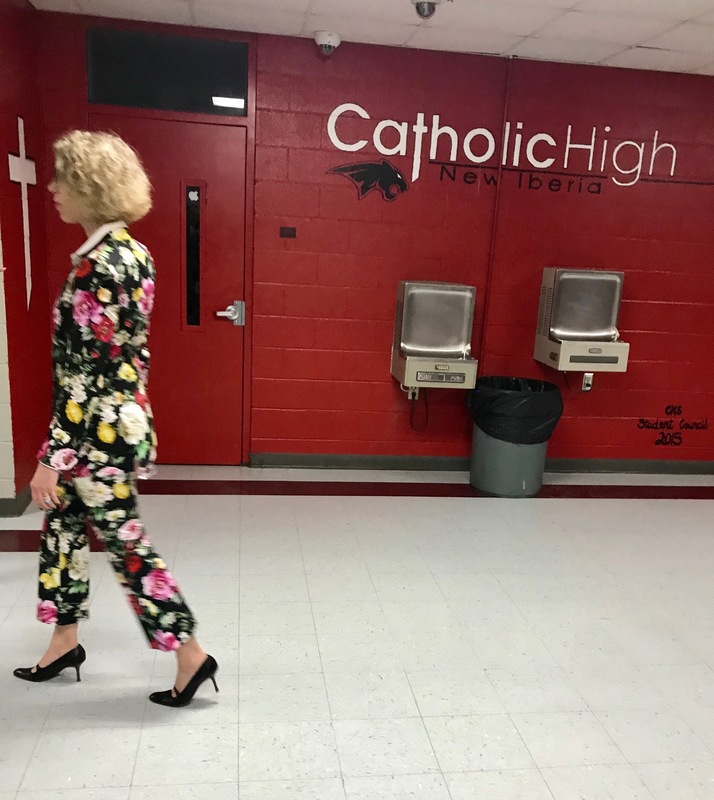 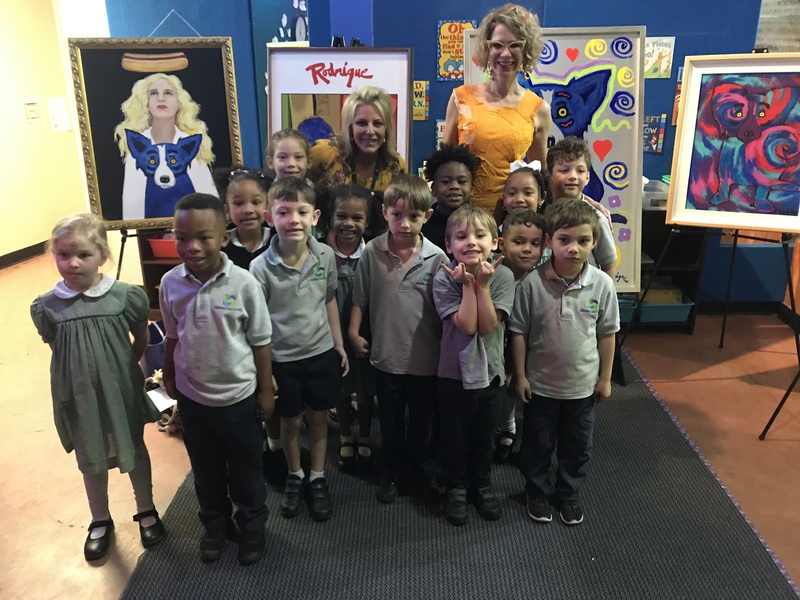 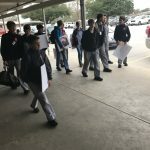 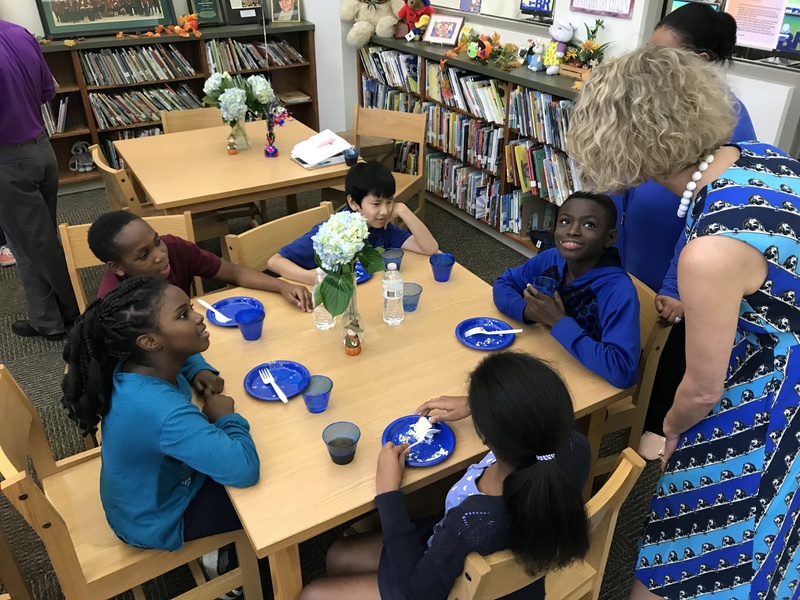 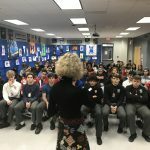 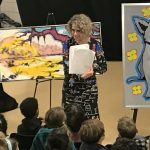 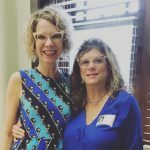 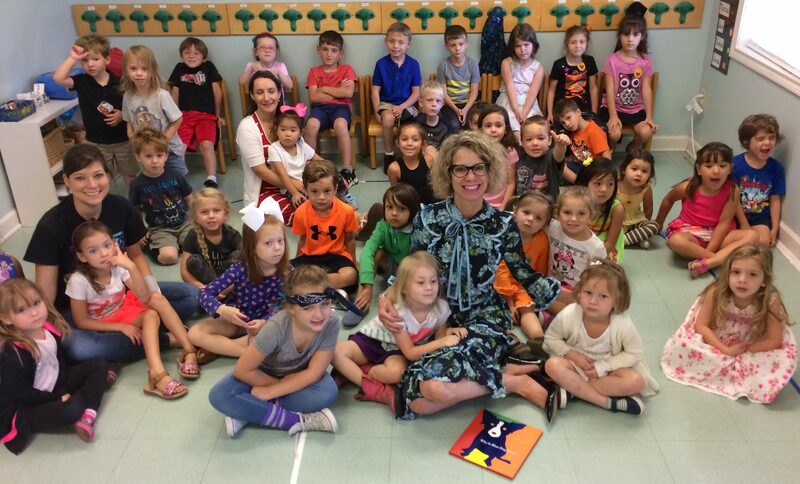 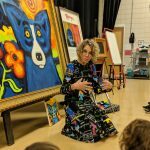 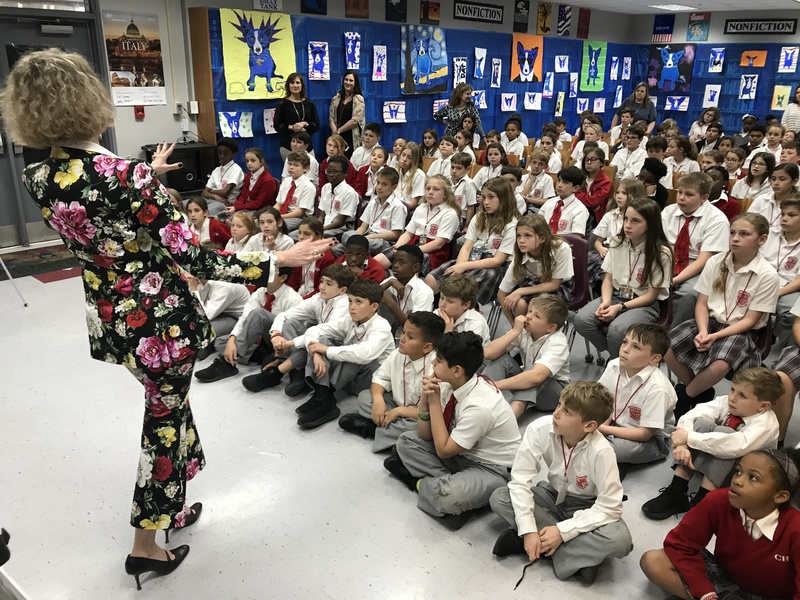 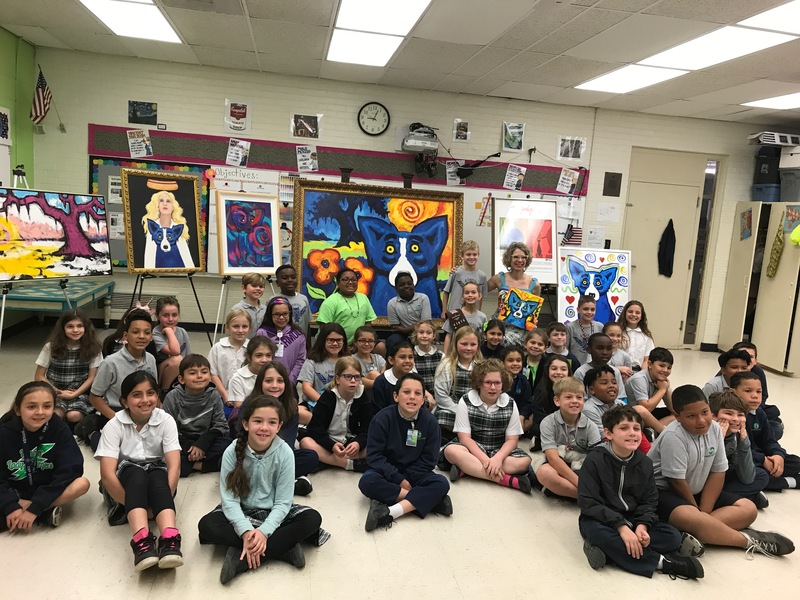 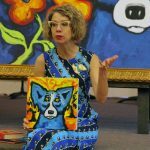 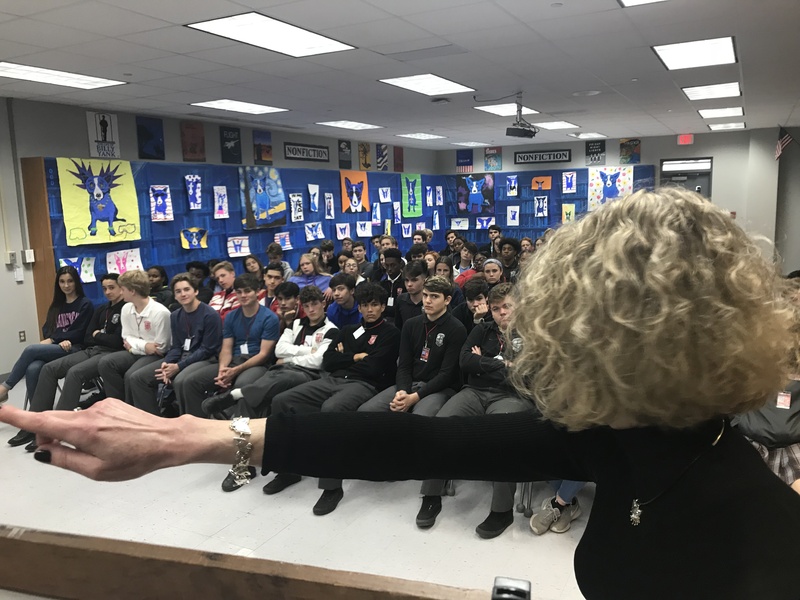 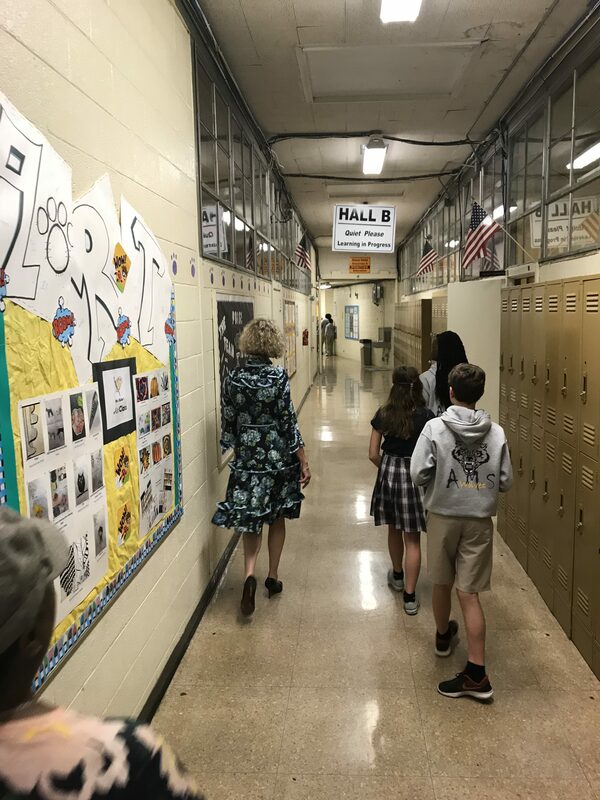 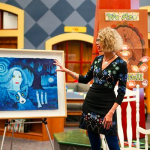 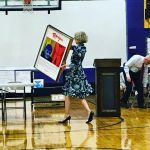 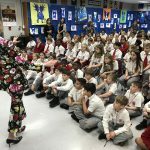 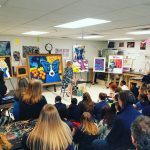 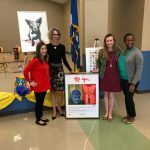 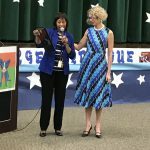 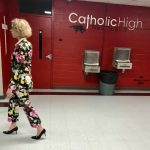 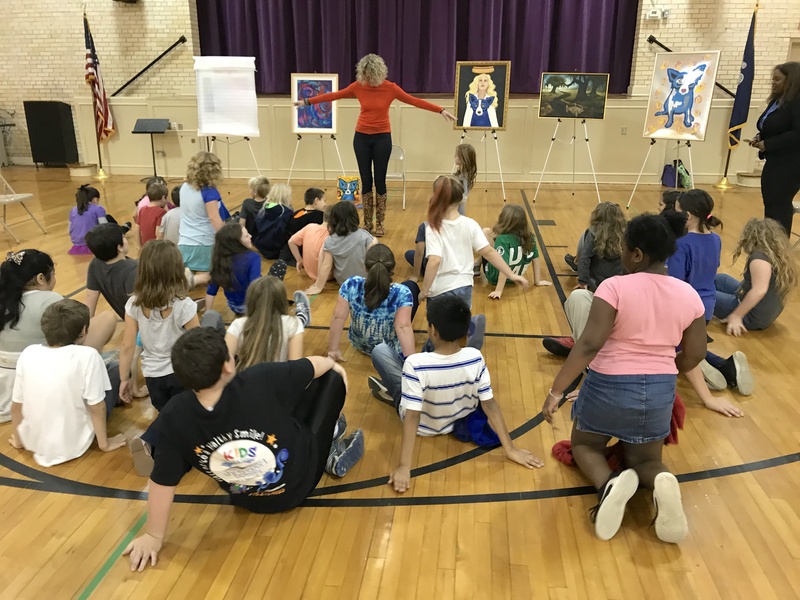 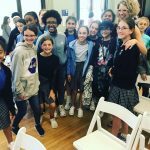 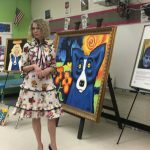 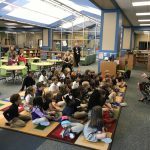 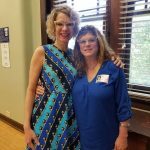 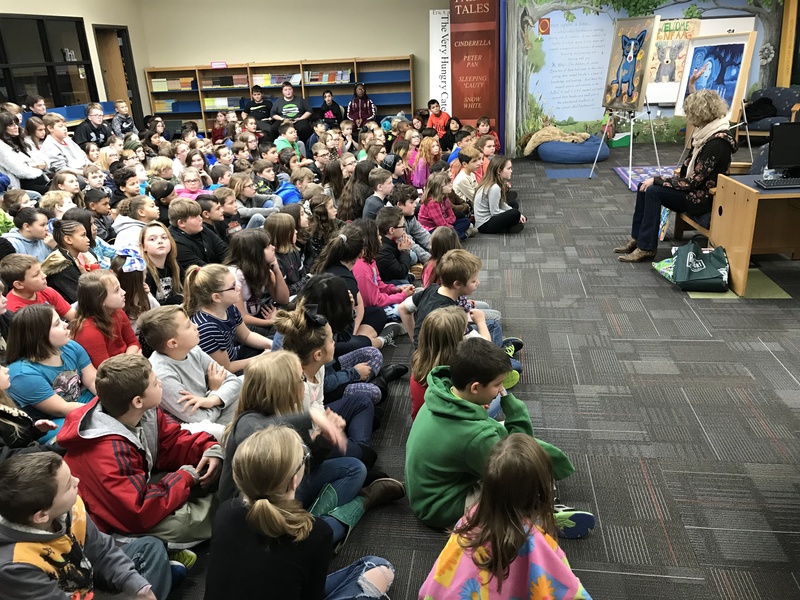 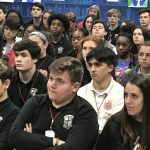 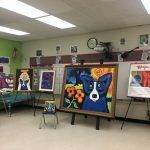 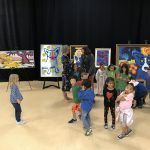 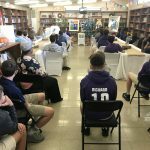 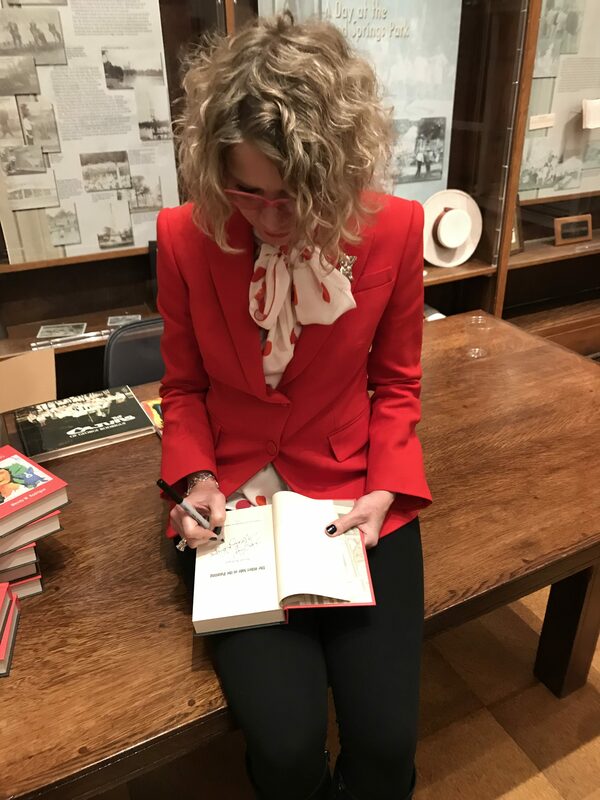 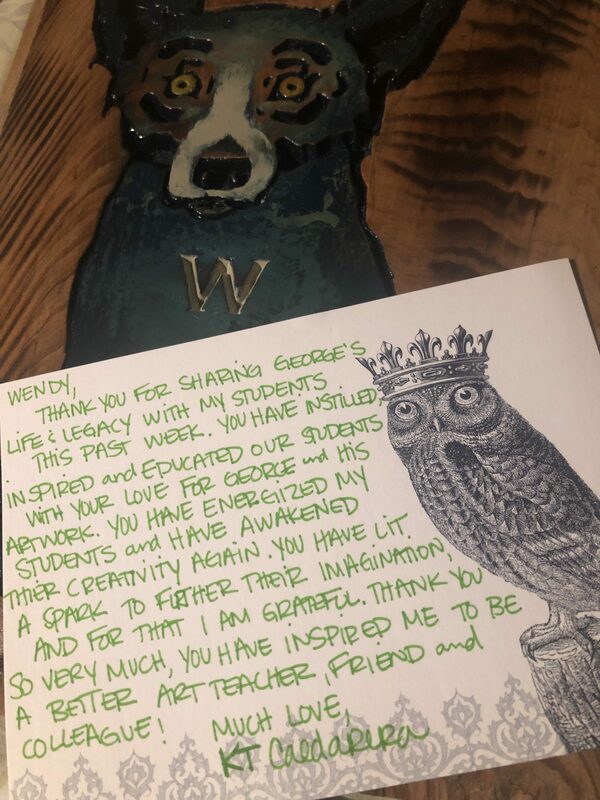 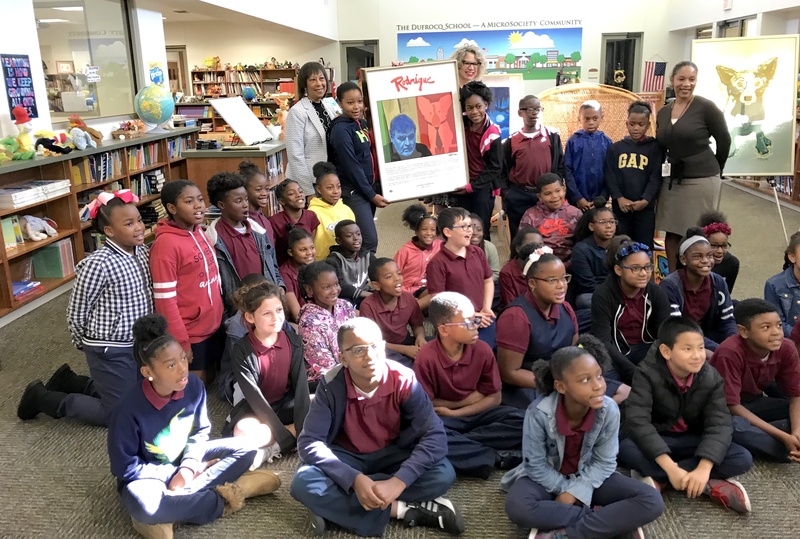 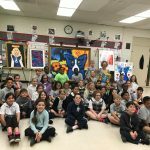 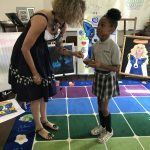 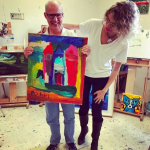 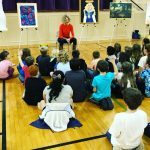 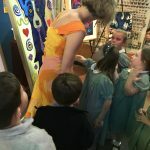 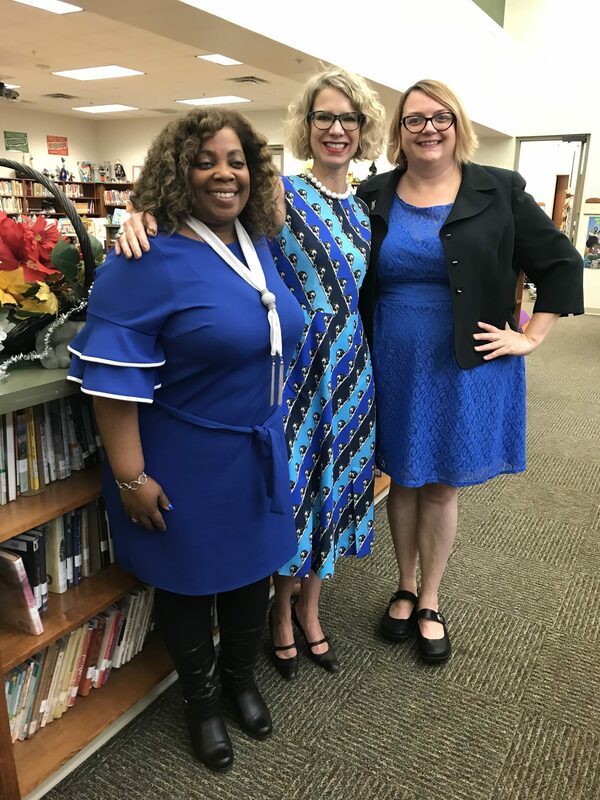 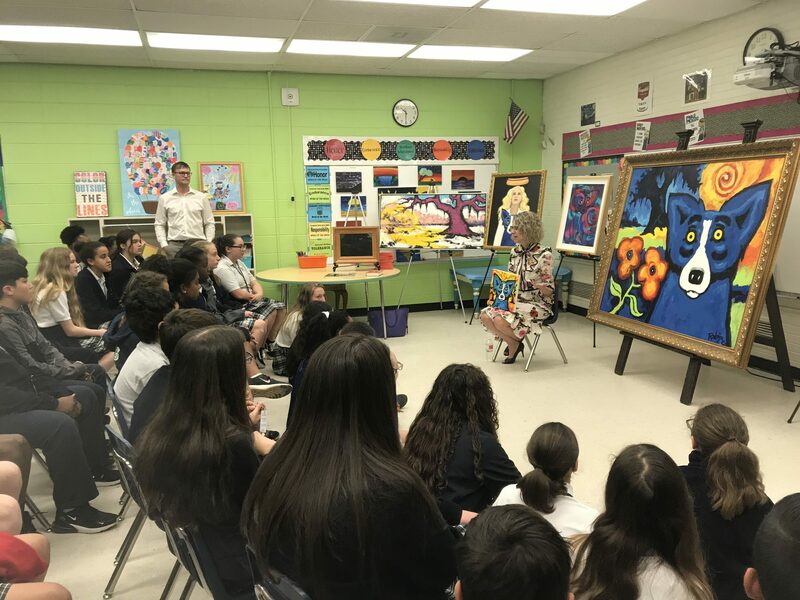 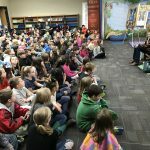 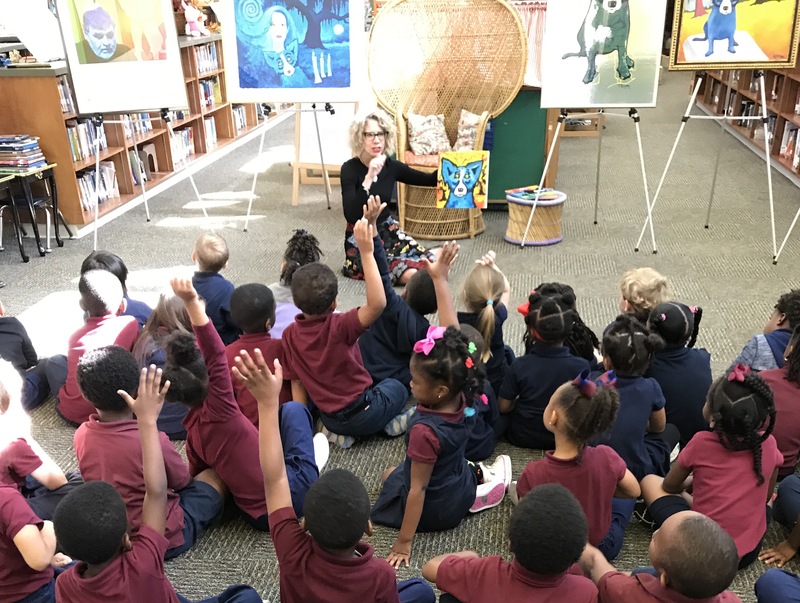 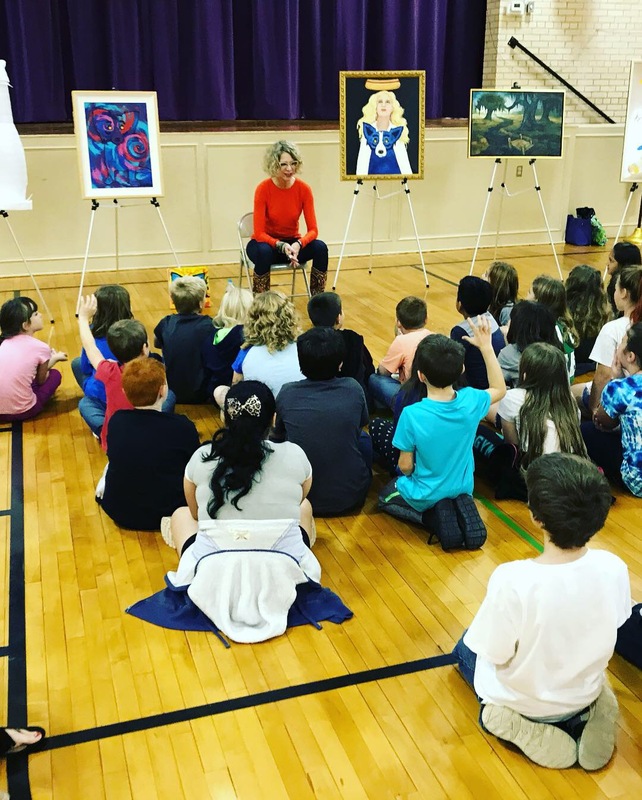 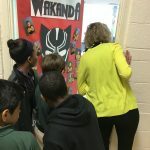 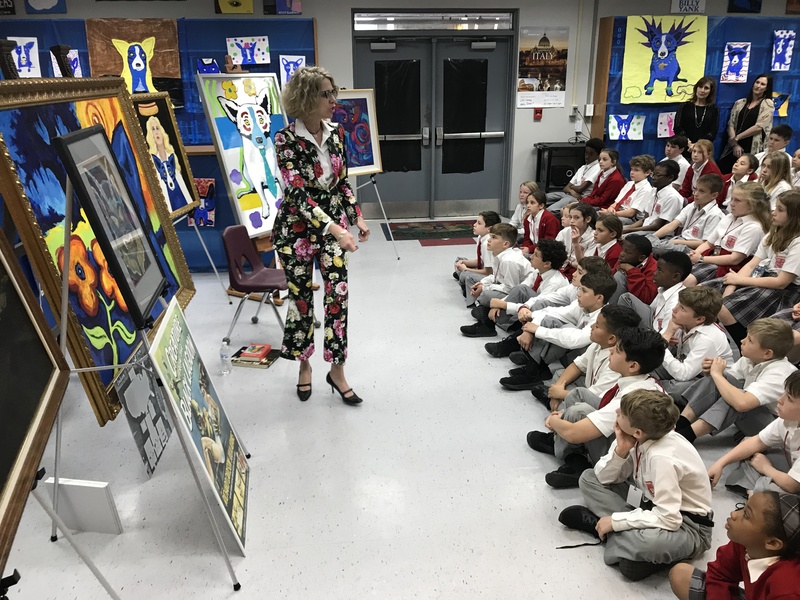 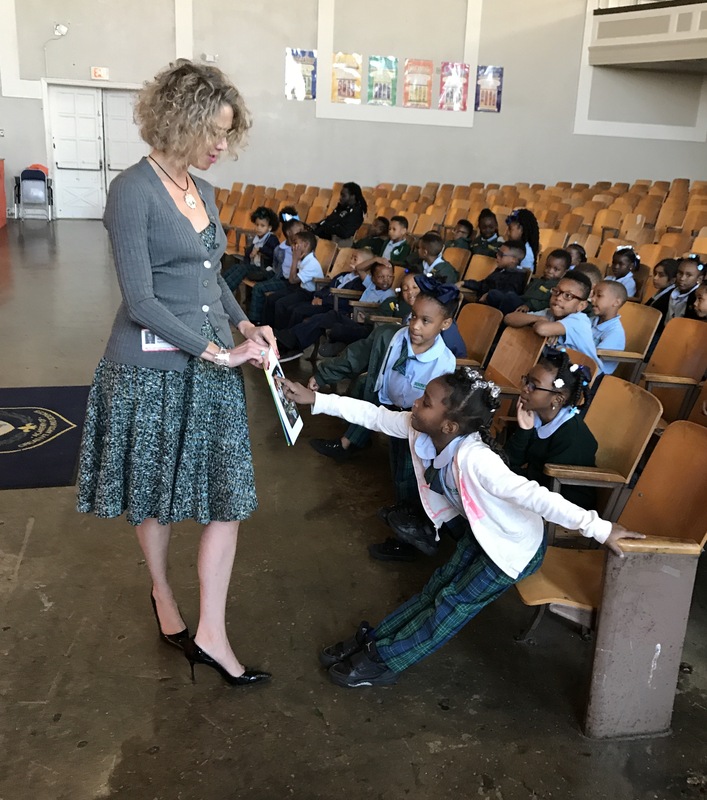 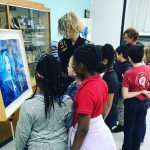 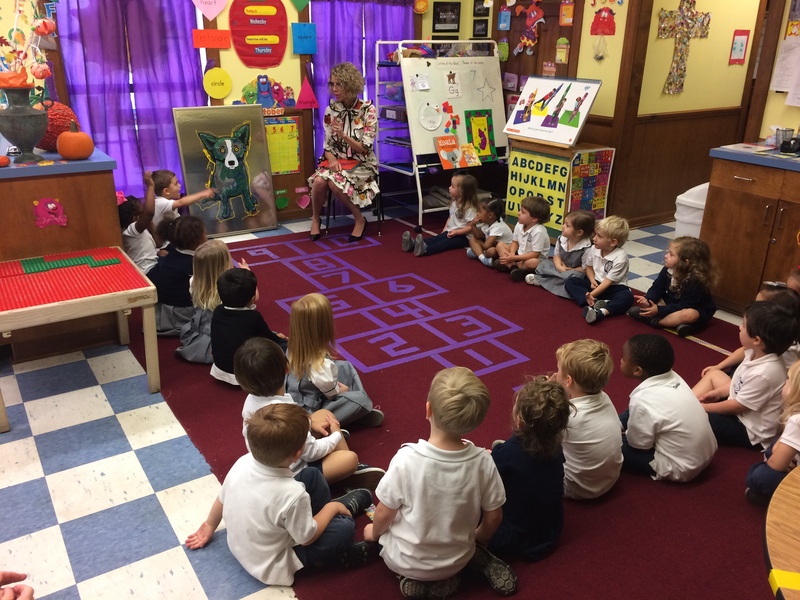 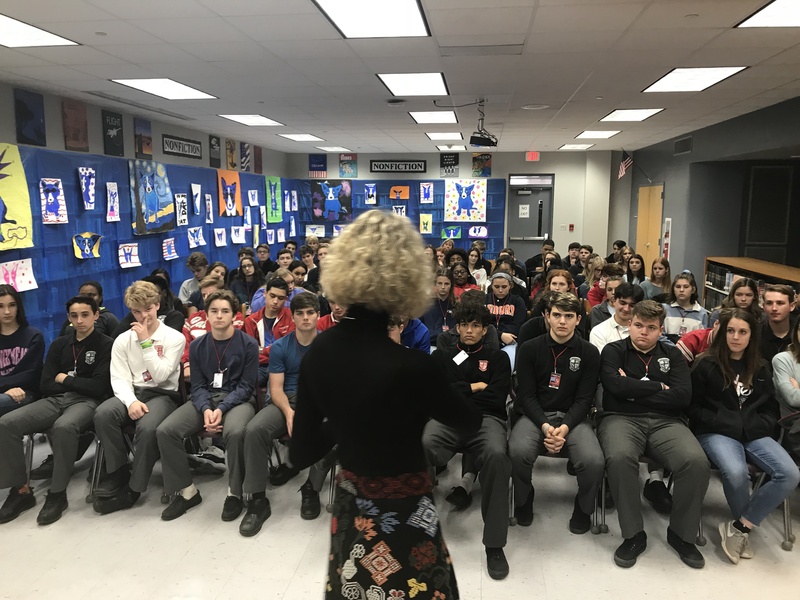 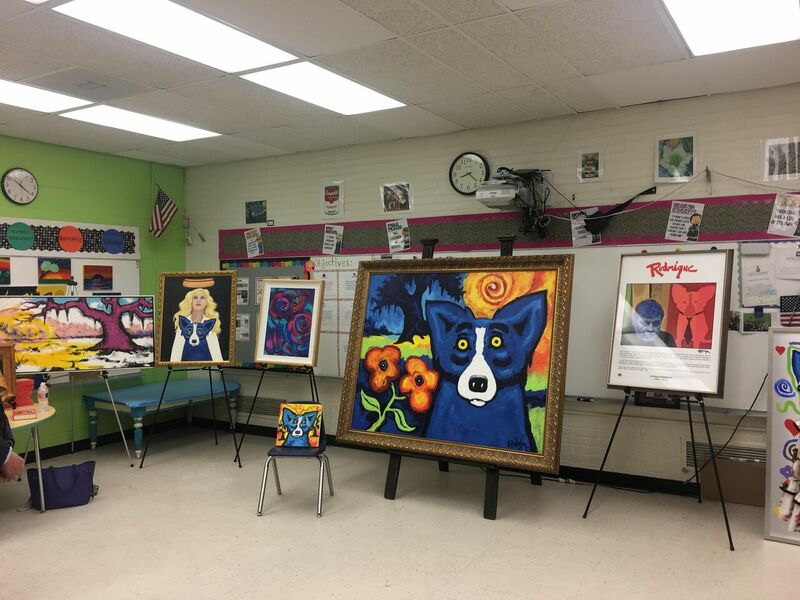 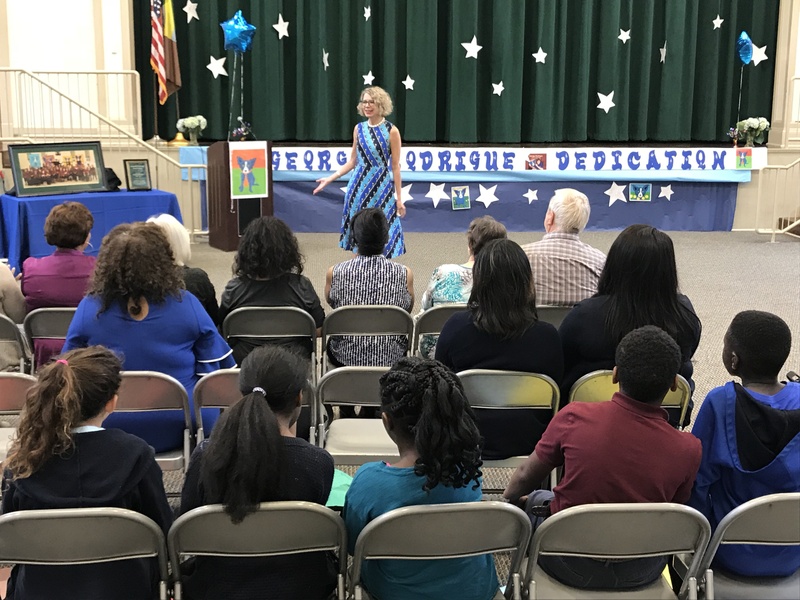 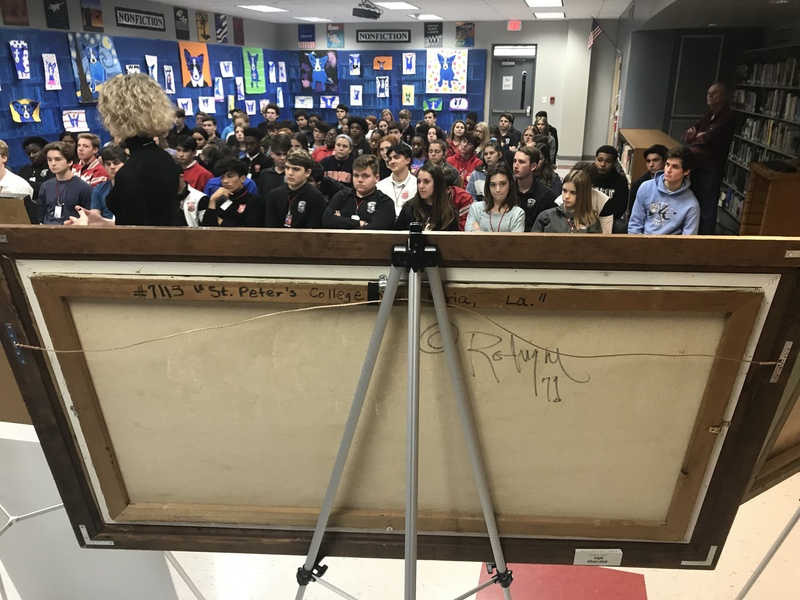 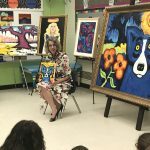 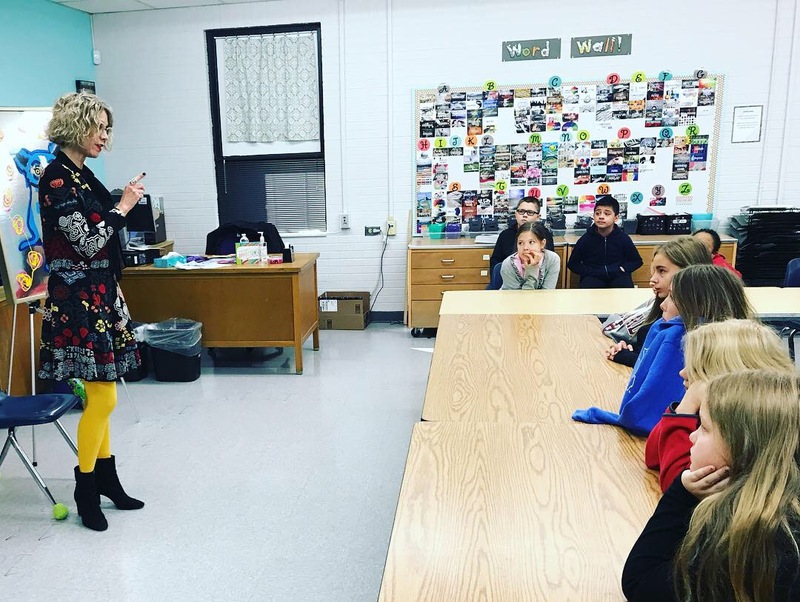 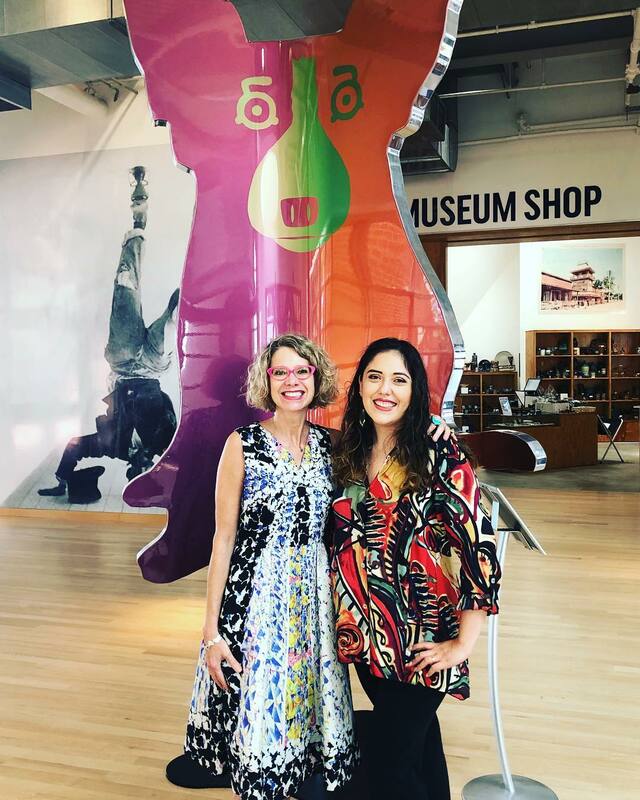 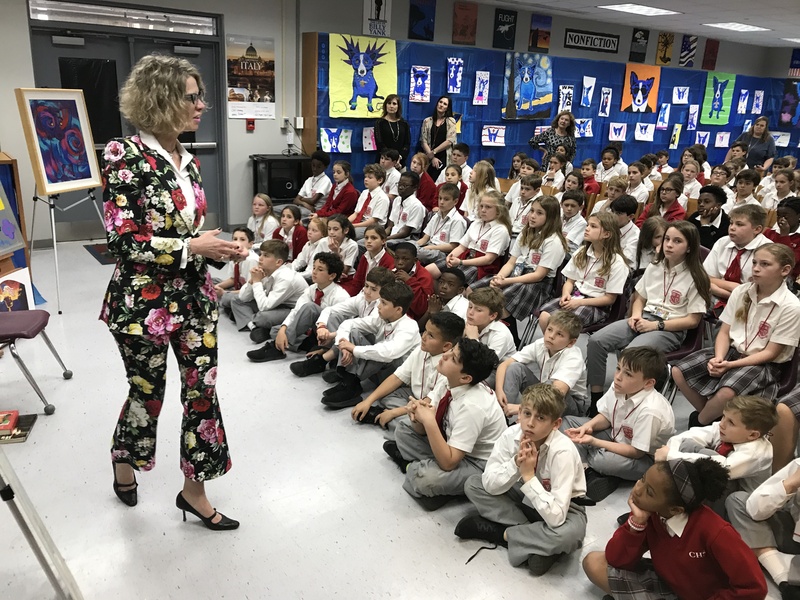 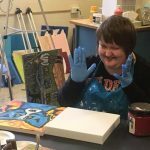 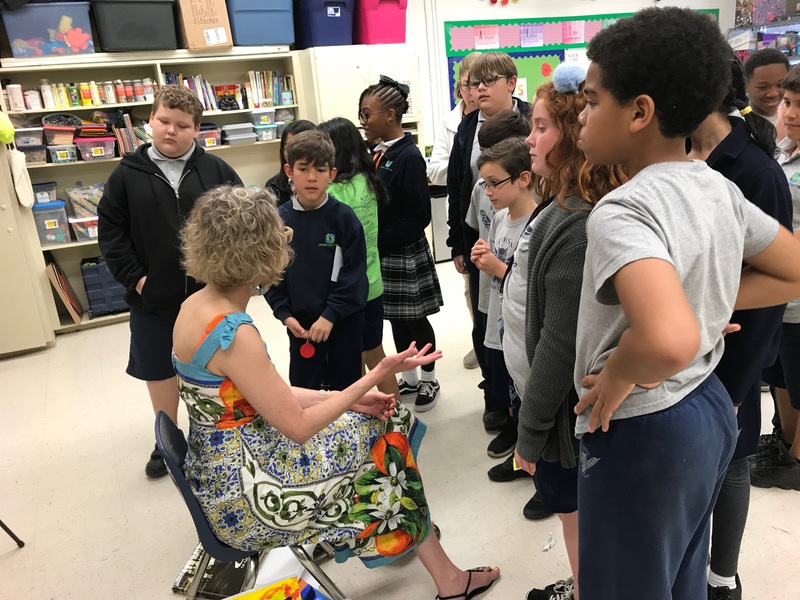 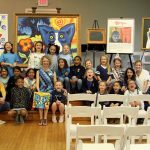 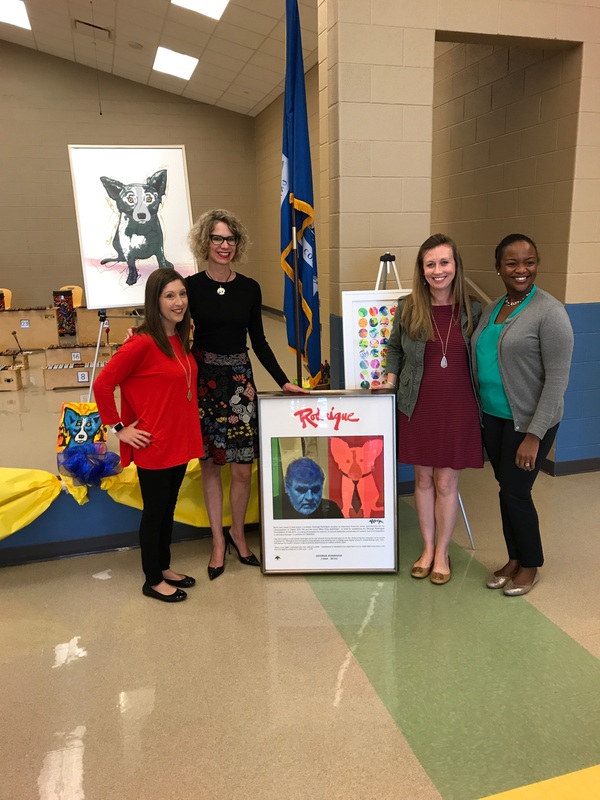 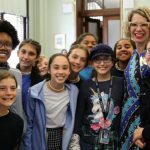 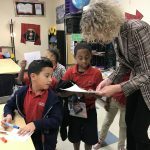 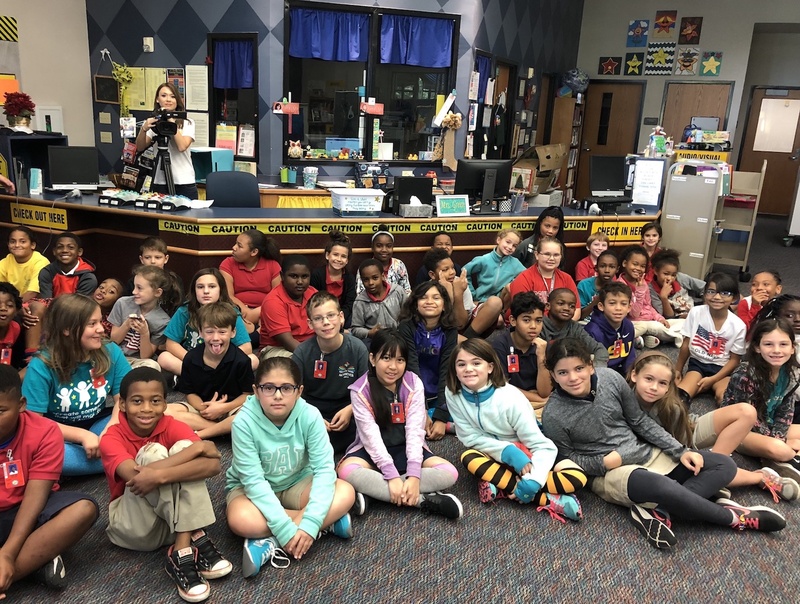 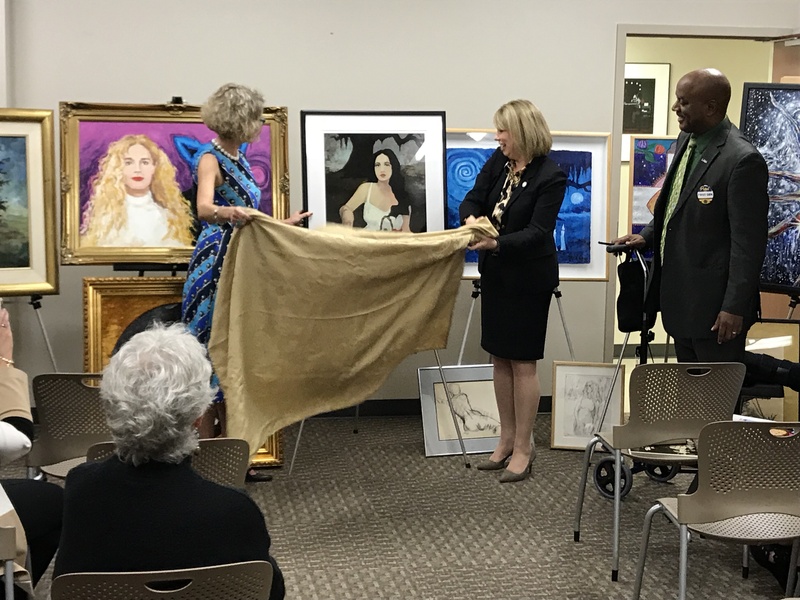 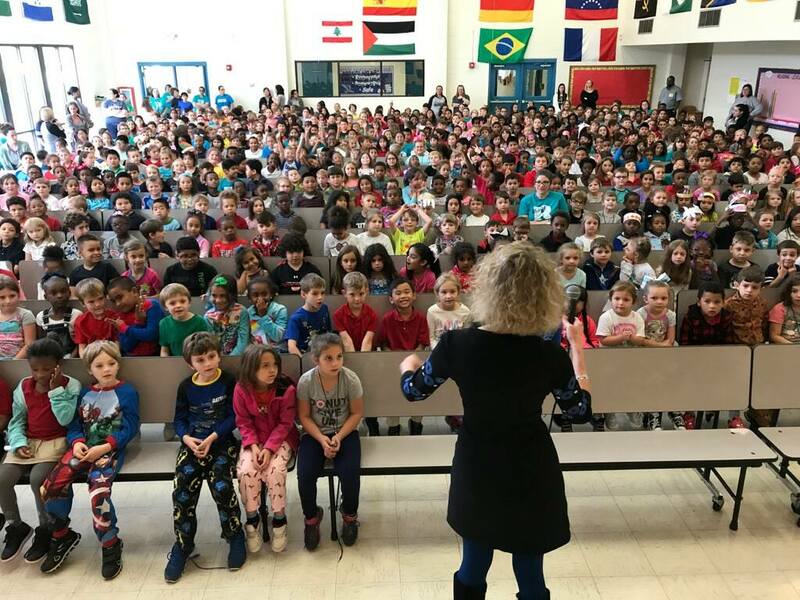 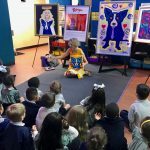 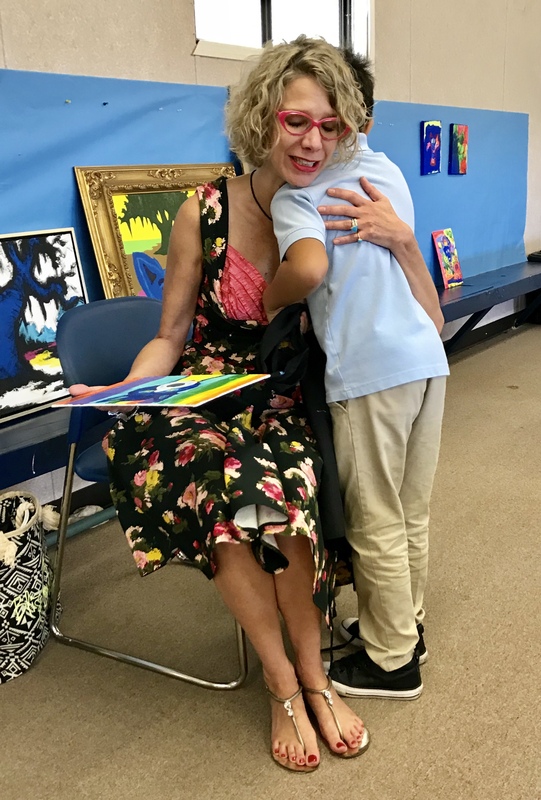 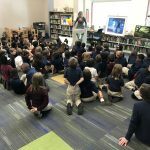 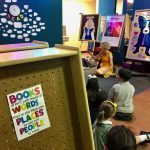 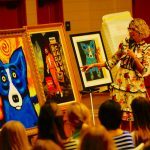 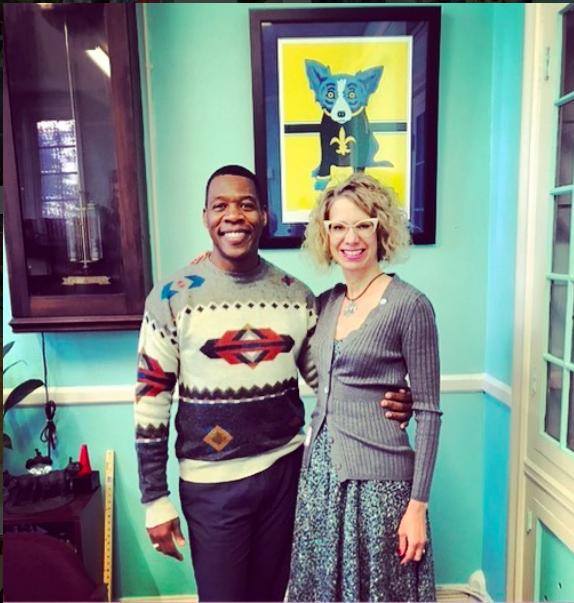 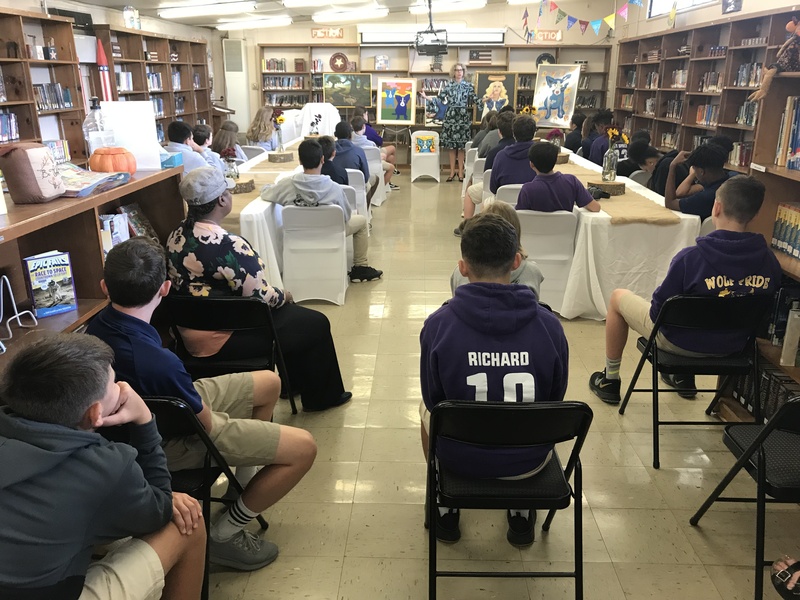 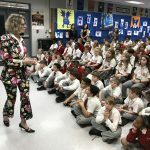 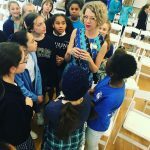 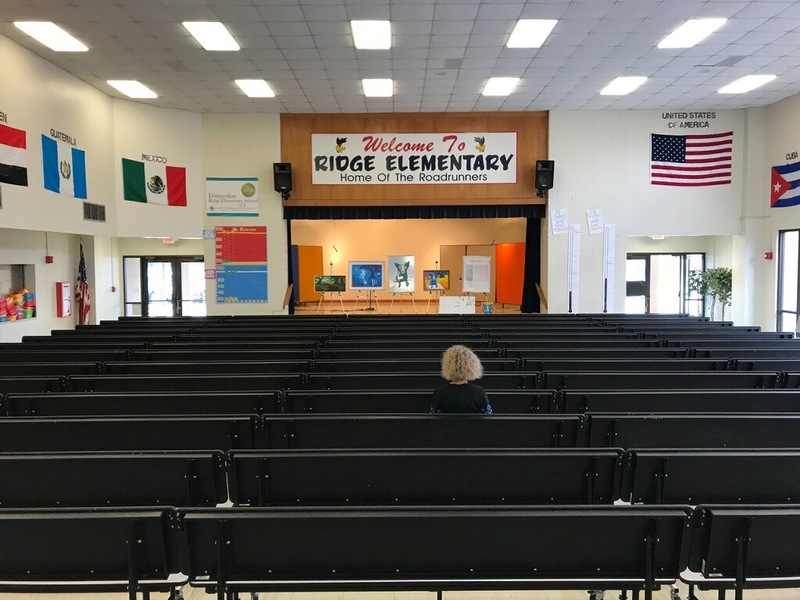 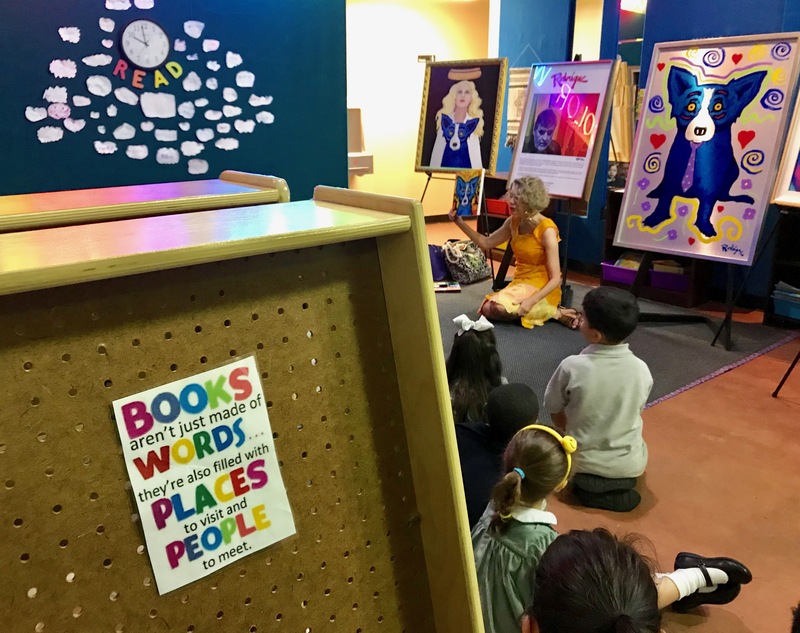 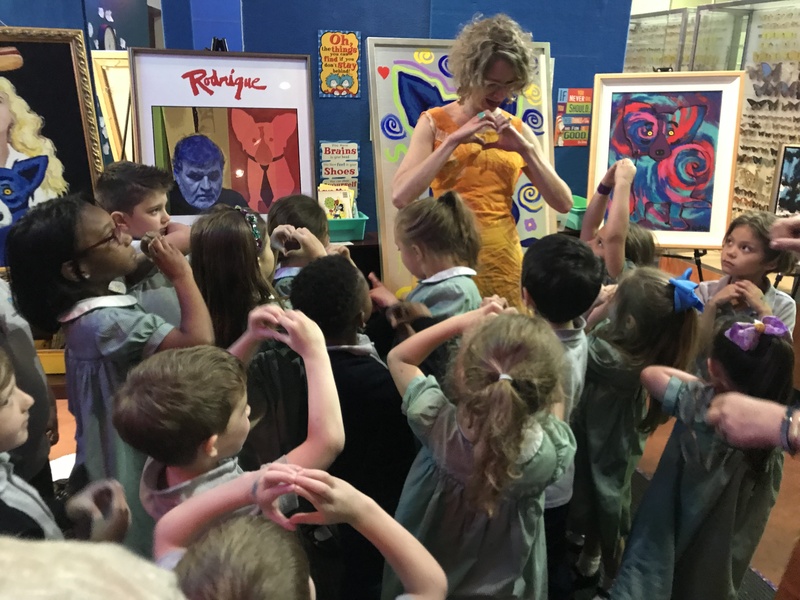 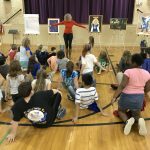 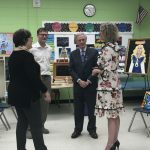 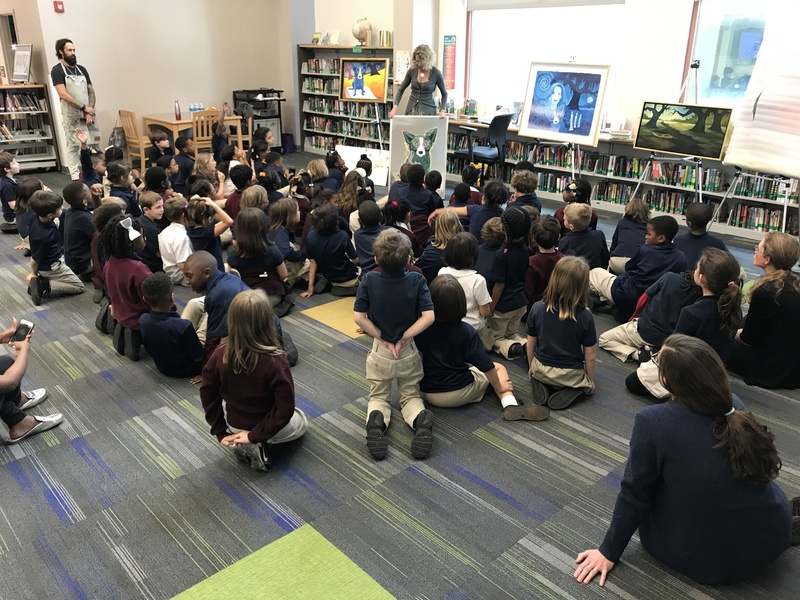 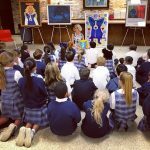 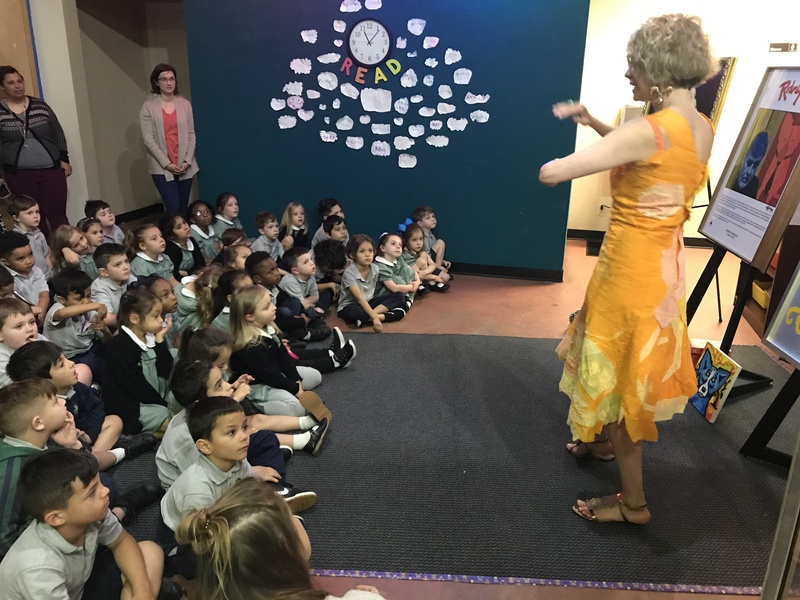 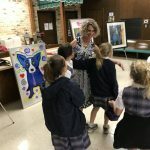 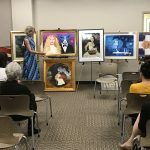 Since founding the Life & Legacy Tour in 2017, Wendy Rodrigue has visited 69 schools and exposed, personally, Rodrigue’s life and art to more than 30,000 students and teachers throughout Louisiana, Oklahoma, Florida, and Mississippi. 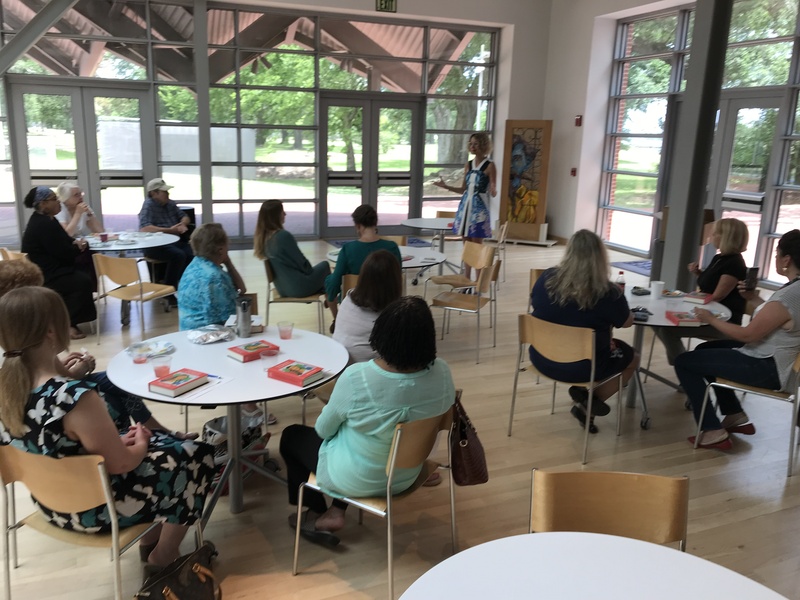 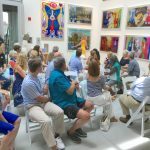 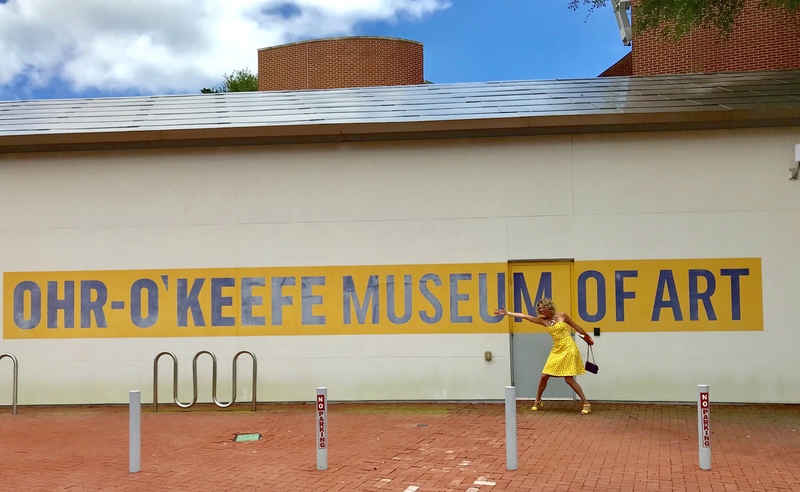 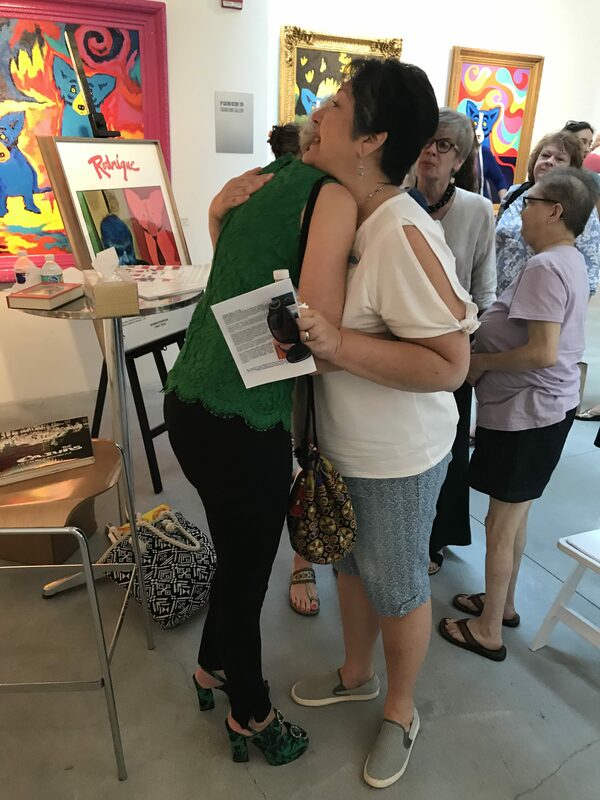 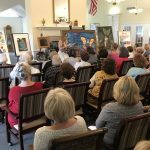 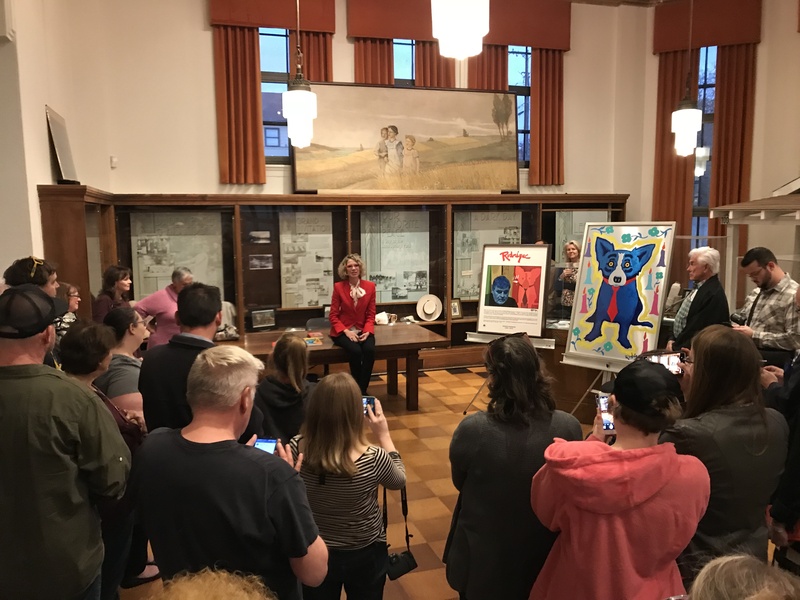 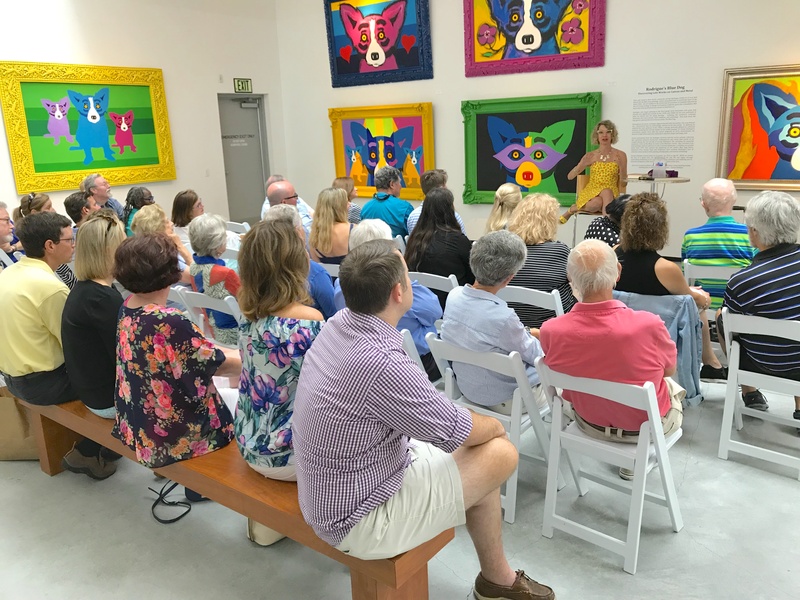 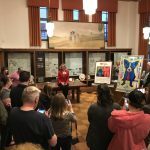 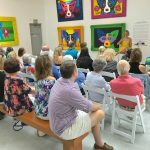 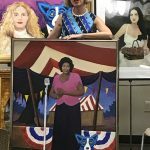 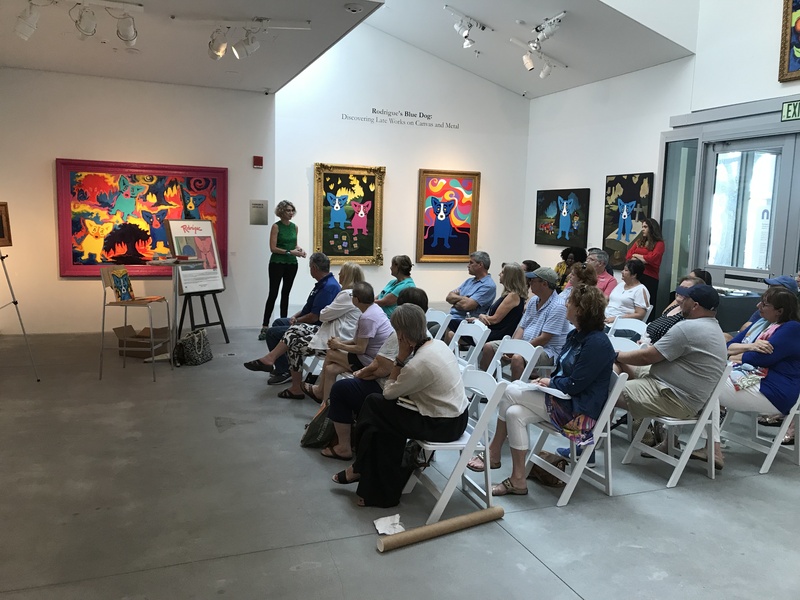 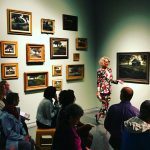 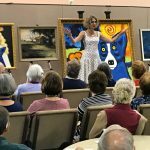 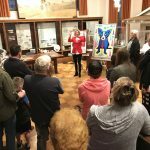 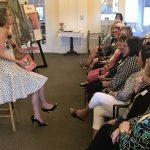 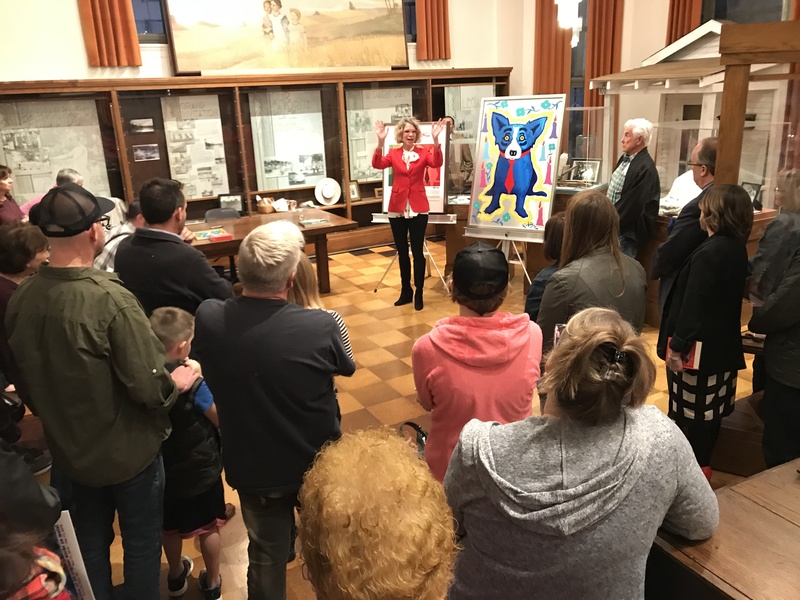 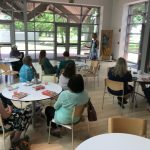 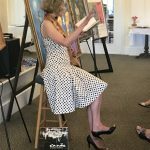 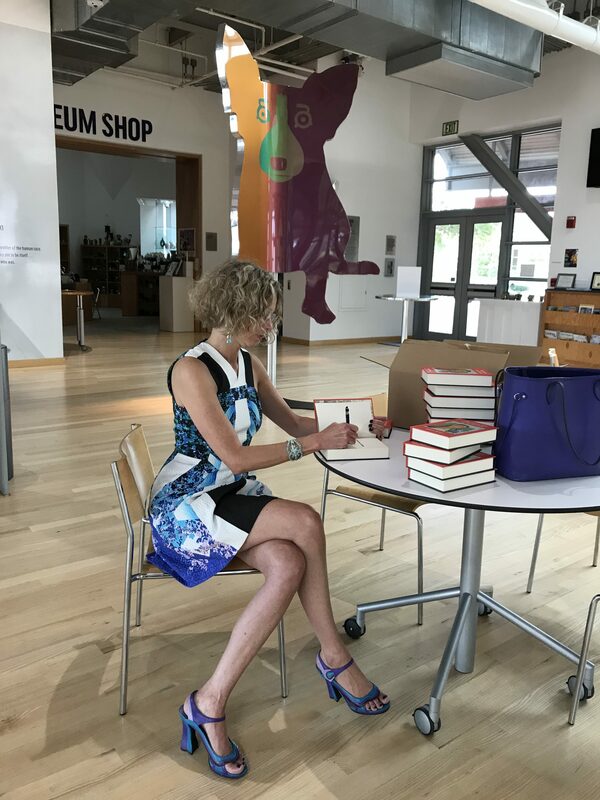 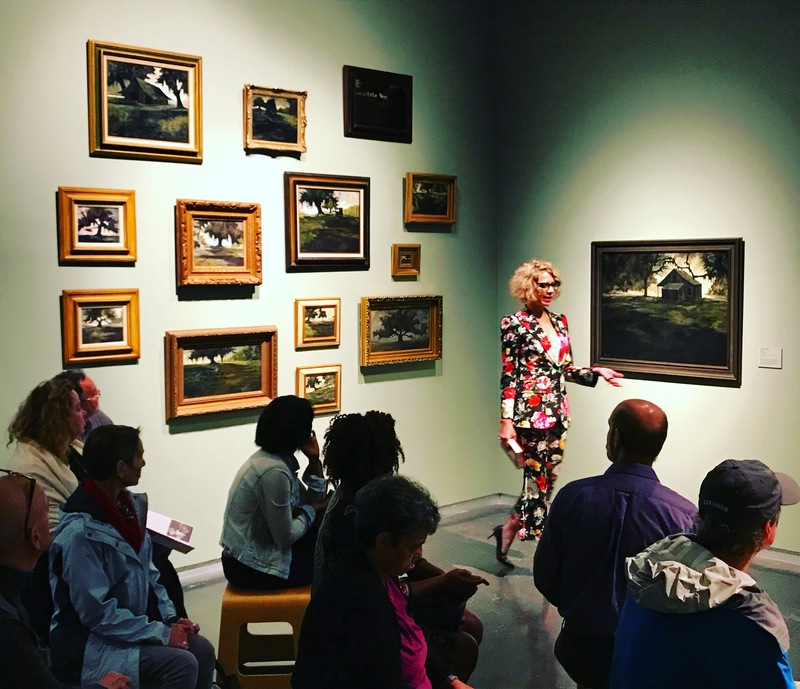 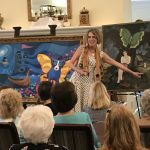 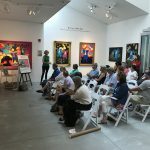 In addition, her lectures at museums, universities, and community groups, remain standing room only, as she shares personal stories and original paintings from her late husband’s private collection. 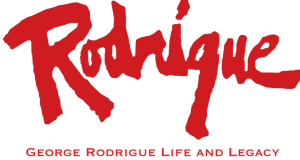 info@georgerodrigue.com or fill out the form below. 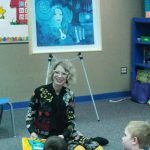 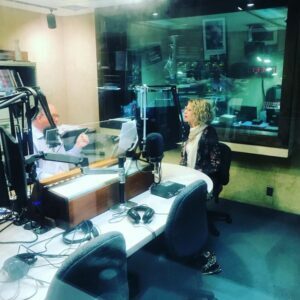 From Public Radio Tulsa for NPR, with Wendy Rodrigue. 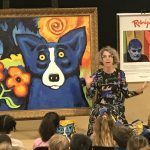 To request information on the George Rodrigue Life & Legacy Tour with Wendy Rodrigue, please submit the following information. 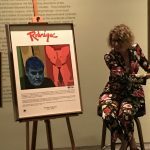 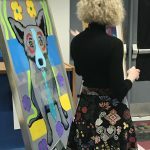 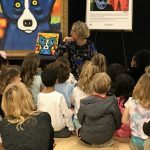 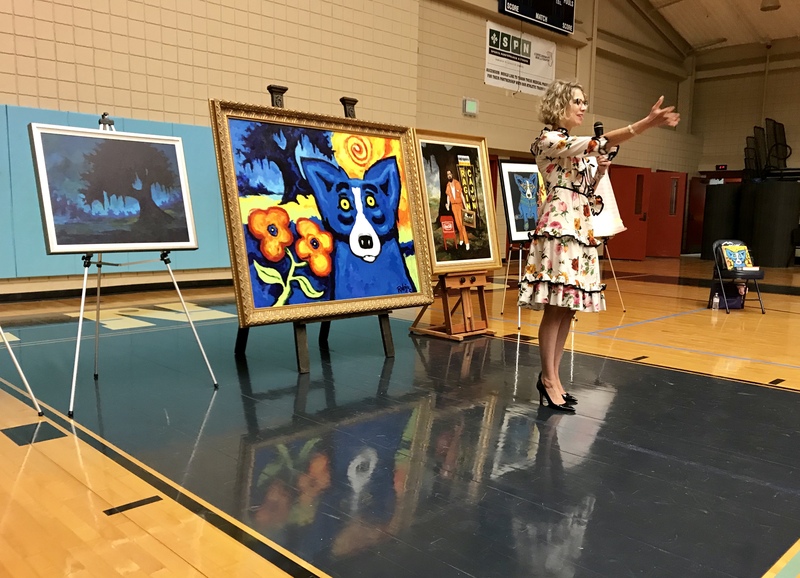 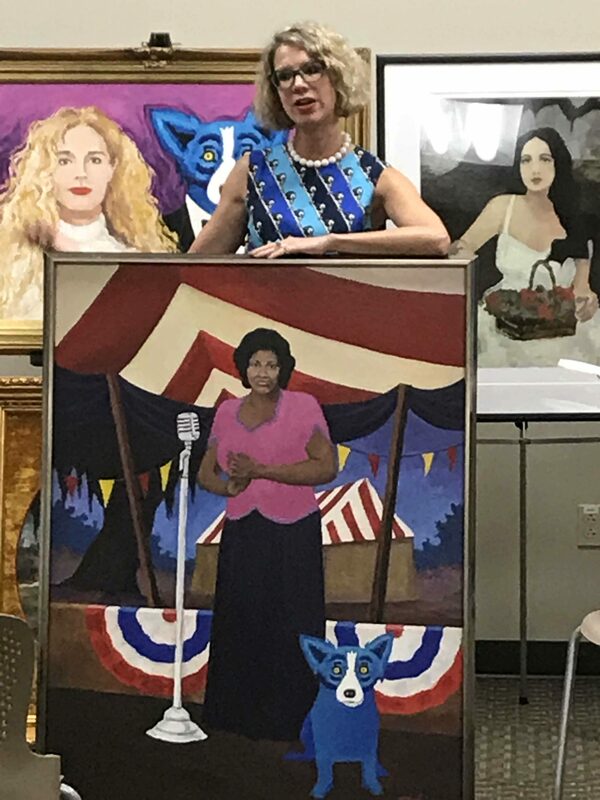 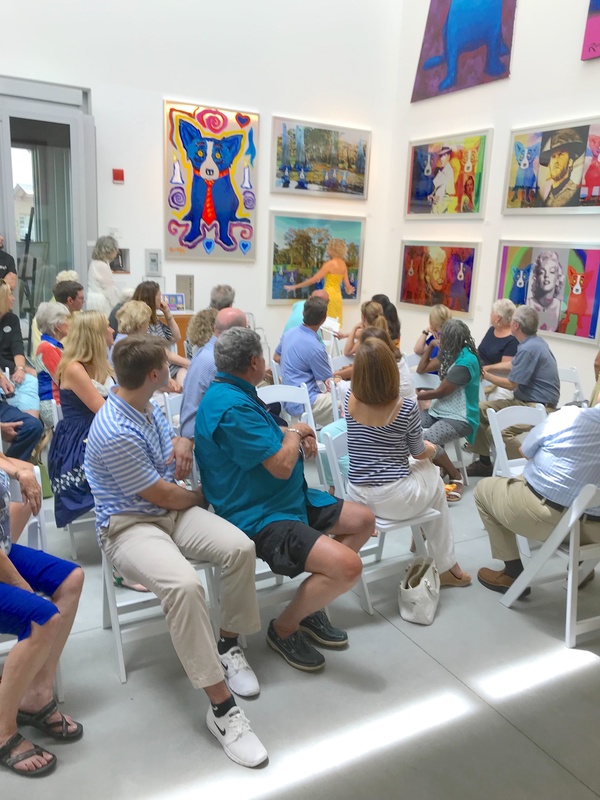 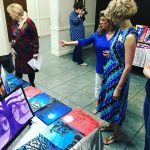 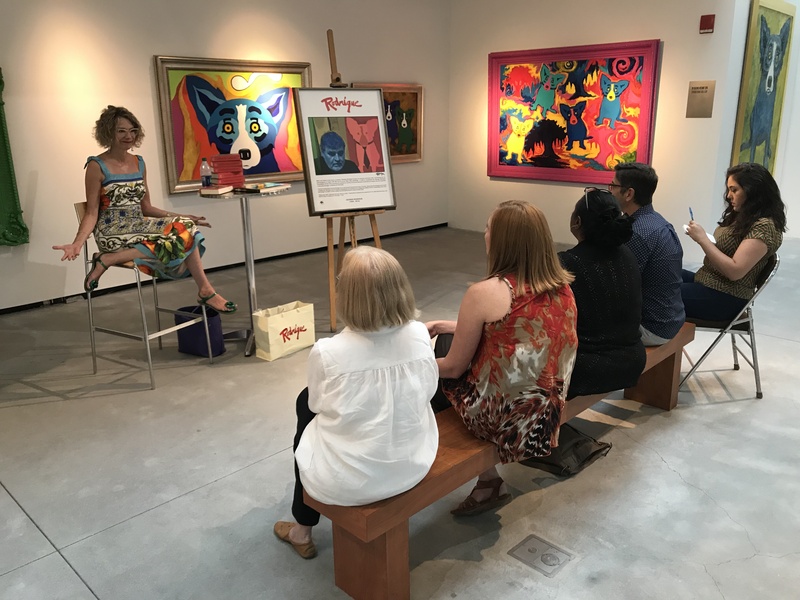 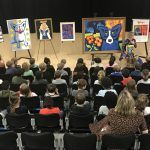 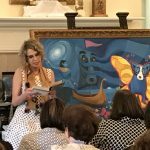 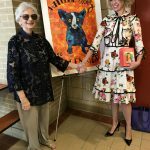 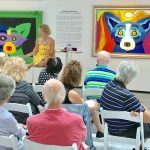 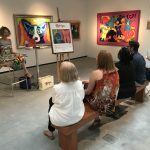 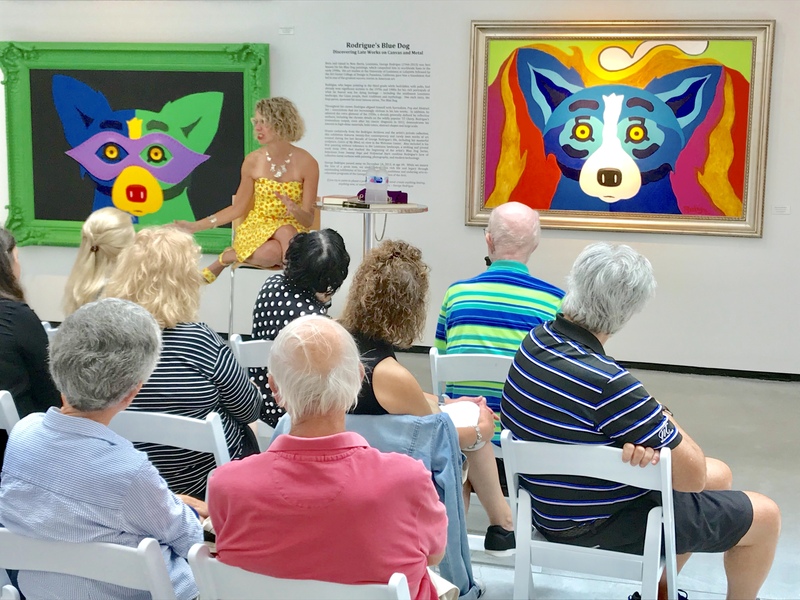 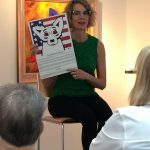 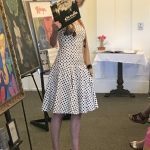 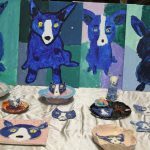 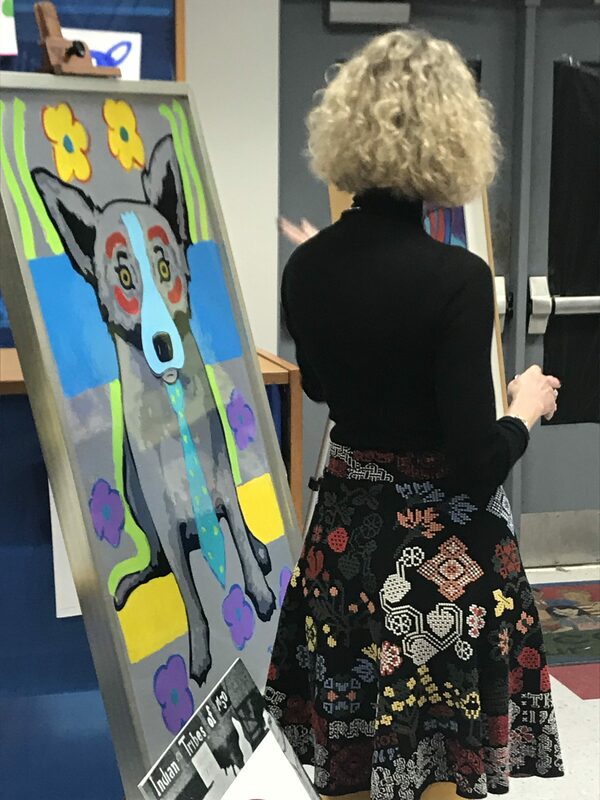 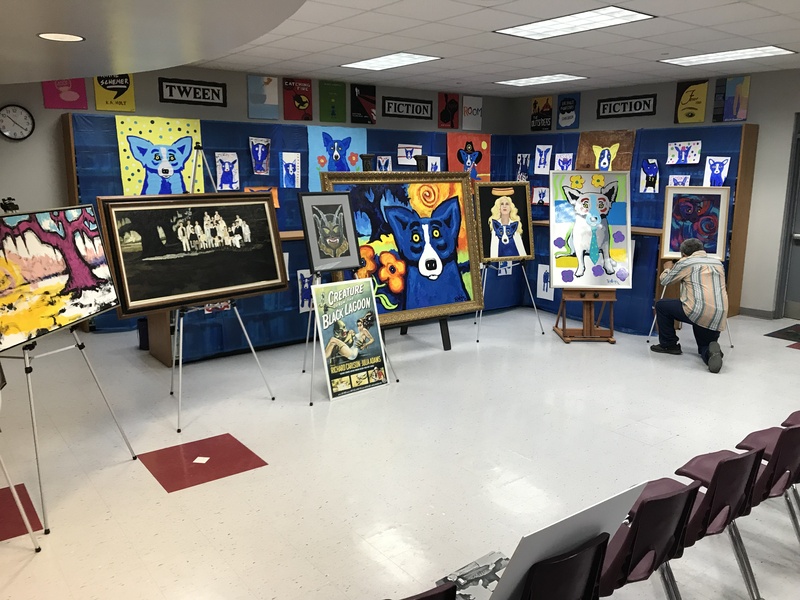 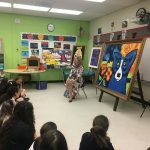 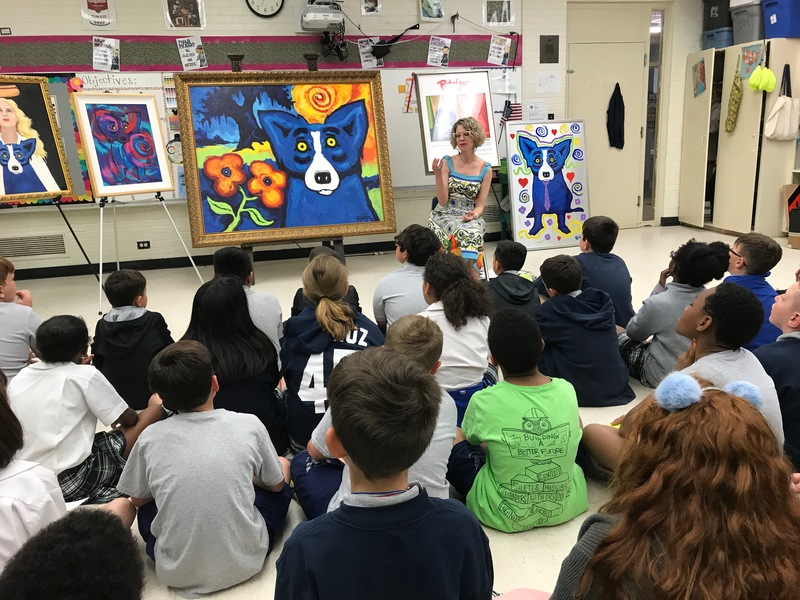 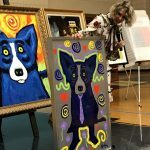 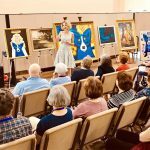 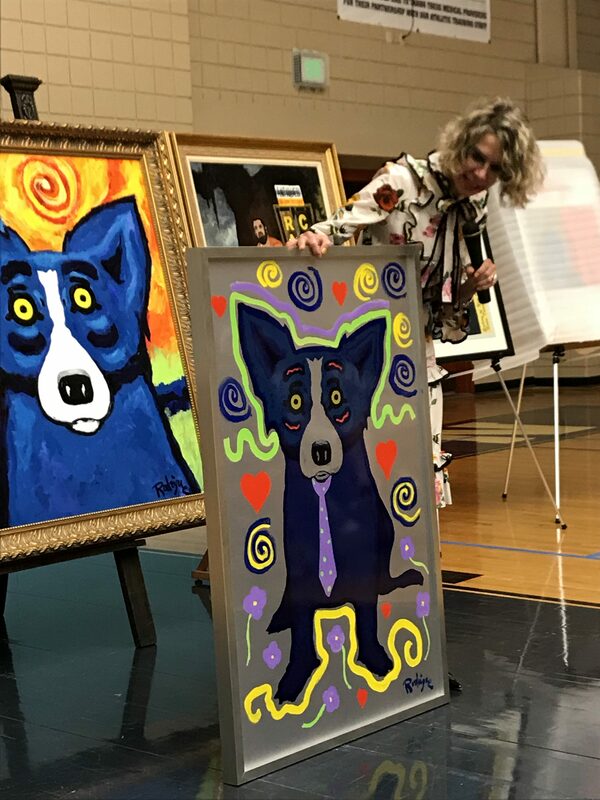 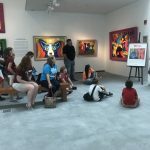 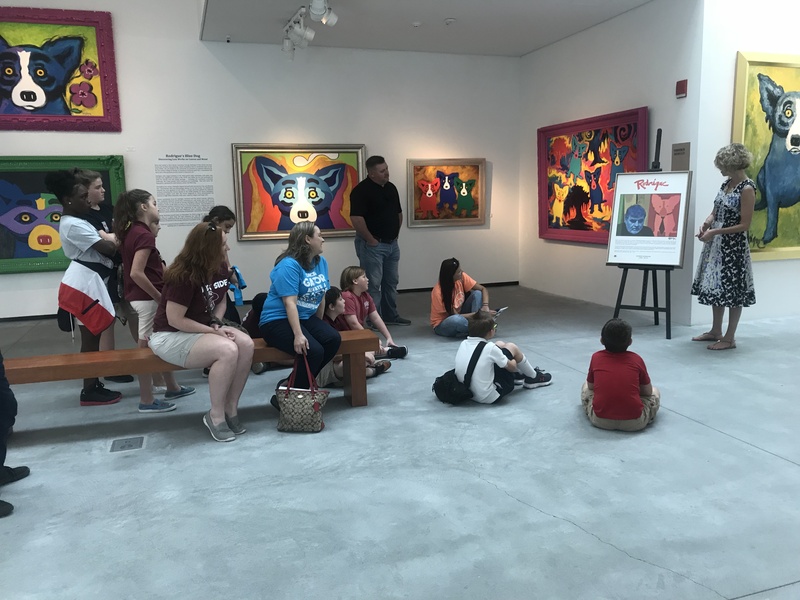 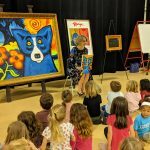 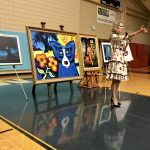 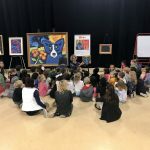 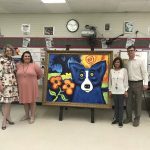 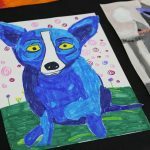 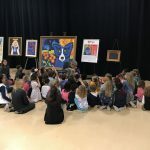 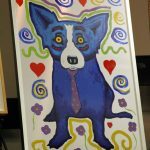 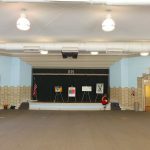 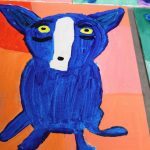 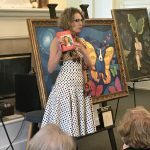 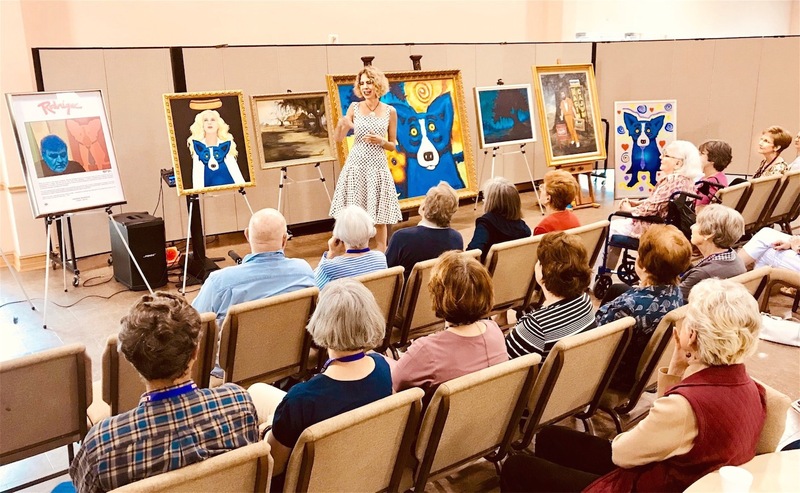 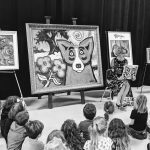 The George Rodrigue Life & Legacy Tour expands in 2019 to include Texas and California, as well as additional Louisiana, Mississippi, and Florida education outreach and events. 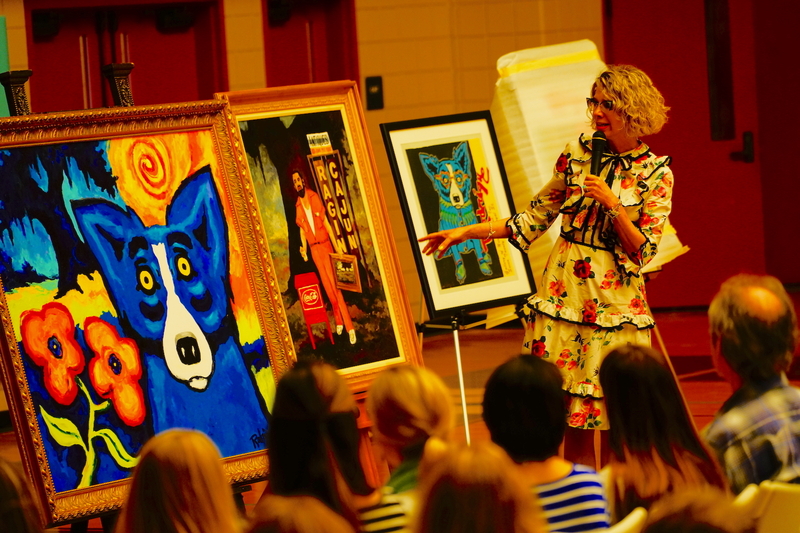 Catholic High School, New Iberia, LA Photos Posted! 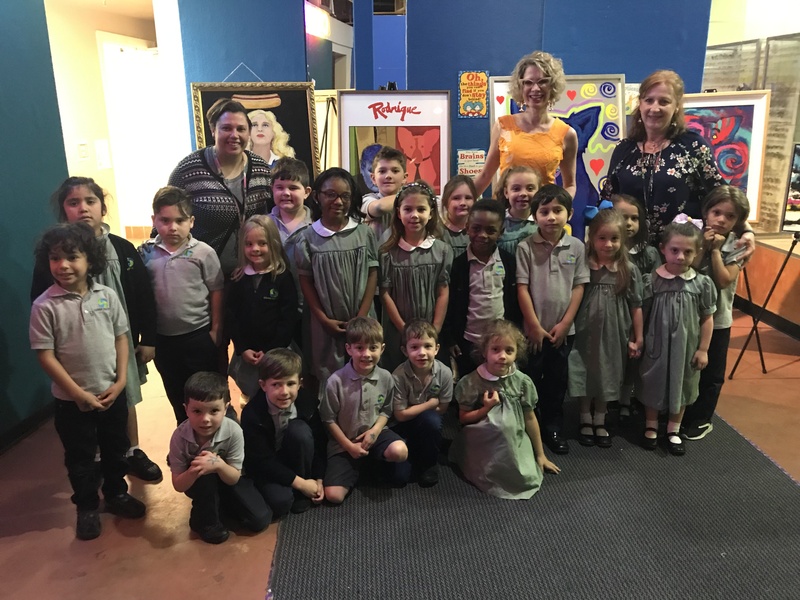 Kenner, LA. 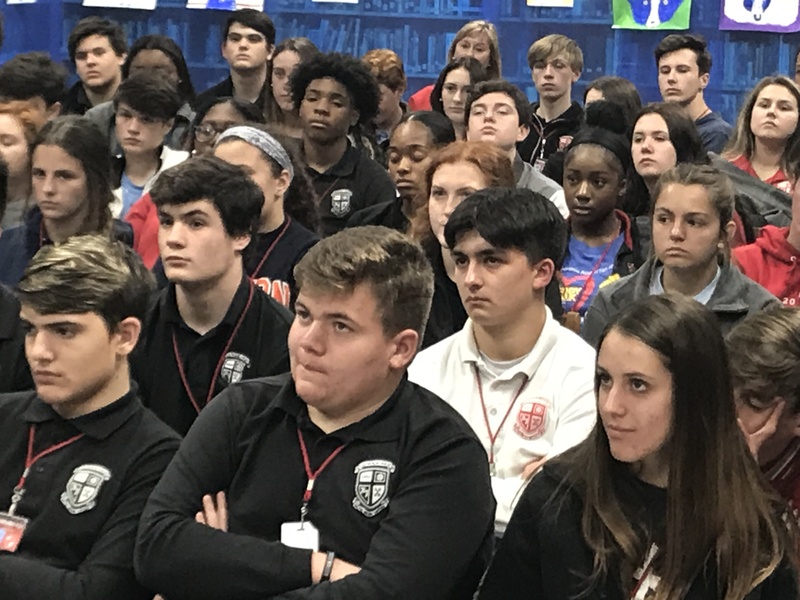 Kenner Discovery Health Sciences Academy Photos Posted! 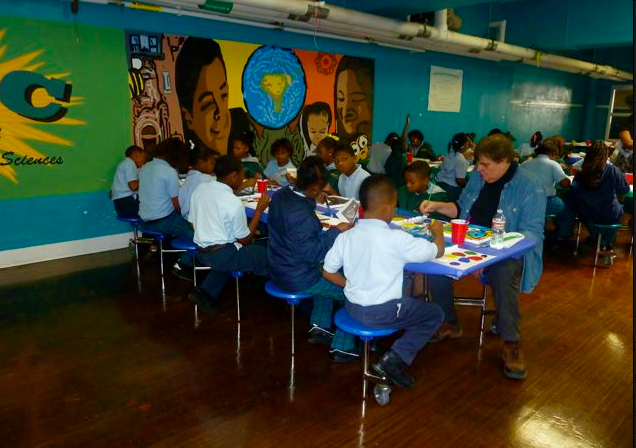 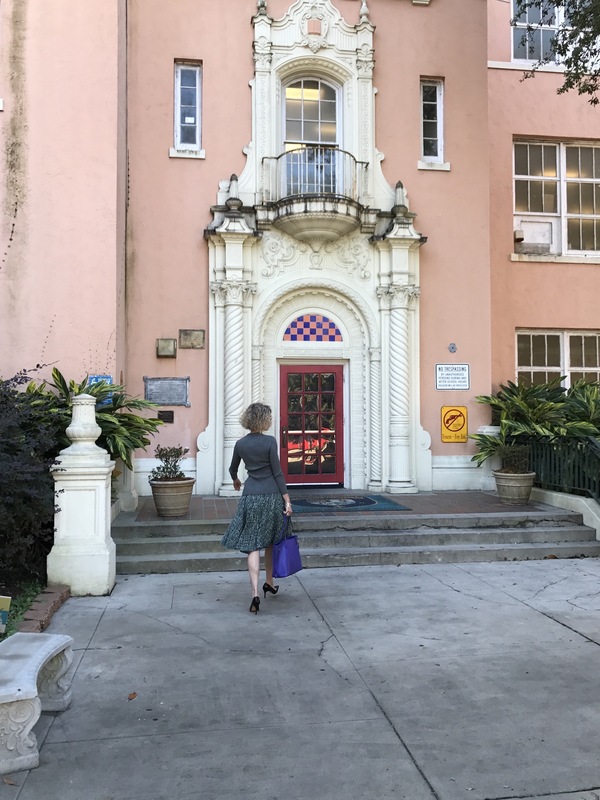 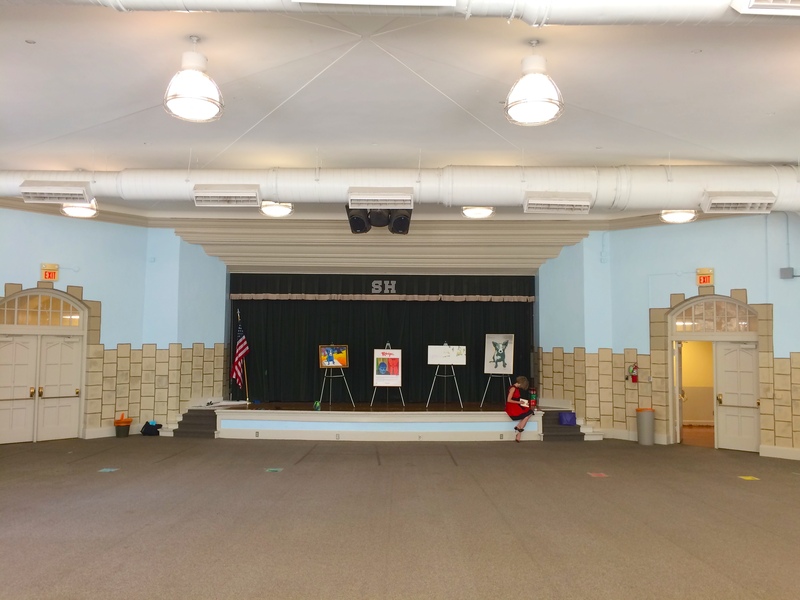 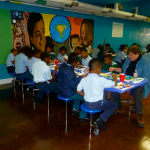 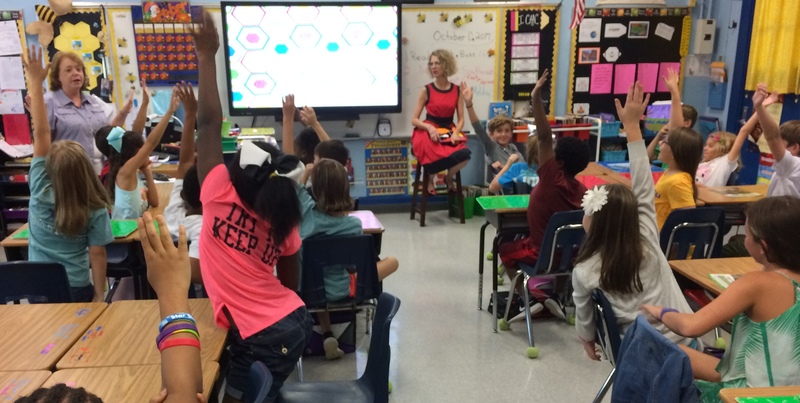 Lusher Charter School, New Orleans Photos Posted! 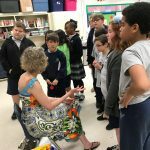 Kenner, LA. 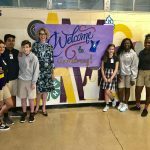 Kenner Discovery Health Sciences Academy (Rivertown Campus) Photos Posted! 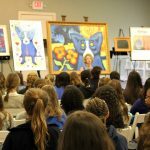 Ursuline Academy, New Orleans Photos Posted! 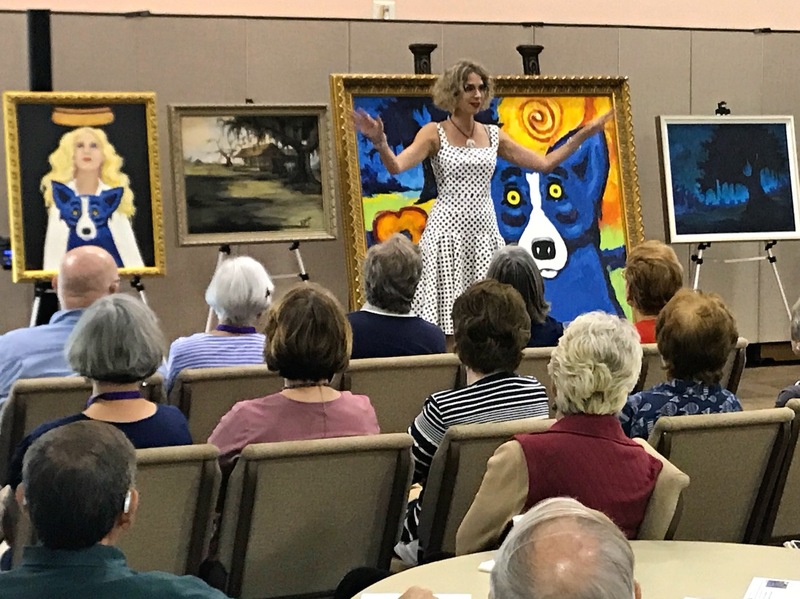 Guest Speaker, 95th Anniversary of the Fortnightly Literary Groups, New Iberia, LA Photos Posted! 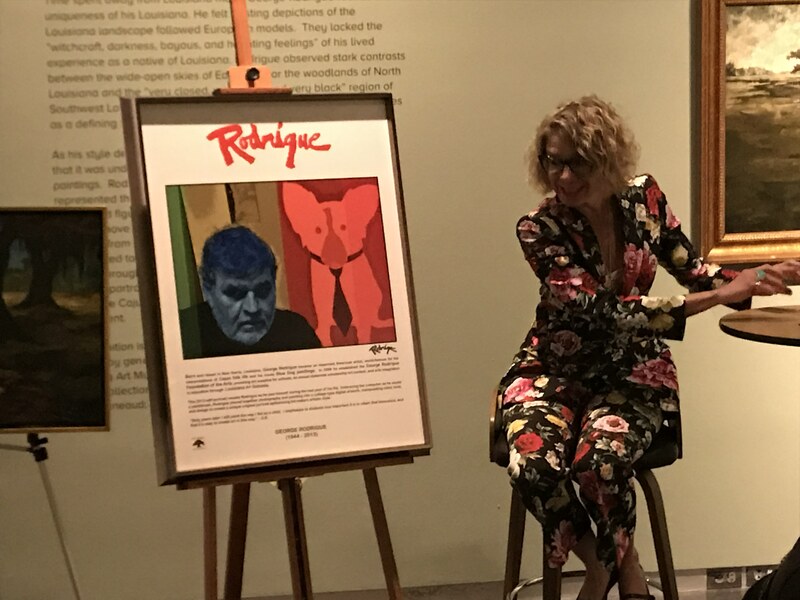 A wonderful afternoon spent listening to a heartfelt sharing of the life of a great artist, who was so loved and continues to inspire others through this legacy. 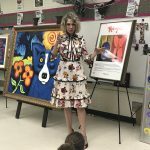 Thanks Wendy, we so enjoyed your talk but mostly your passion and heart. 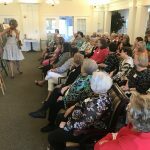 -Marguerite K.E. 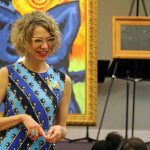 I really enjoyed the lecture. 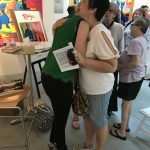 It was a moving experience. 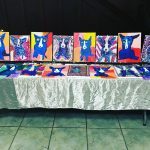 -Patrick B. 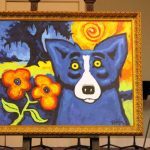 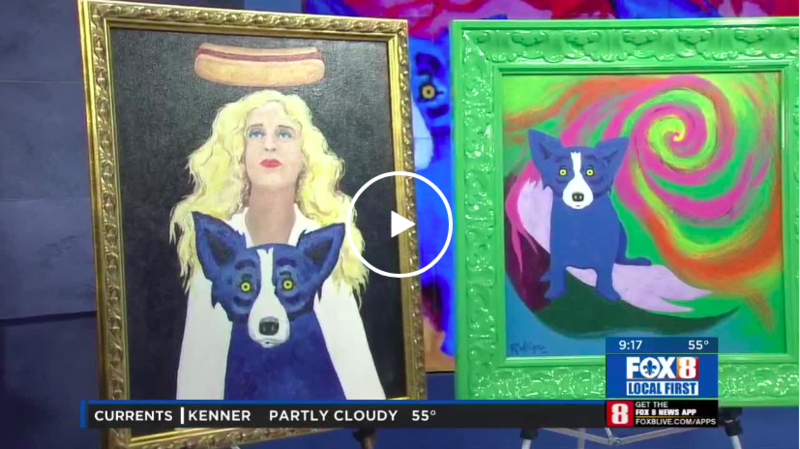 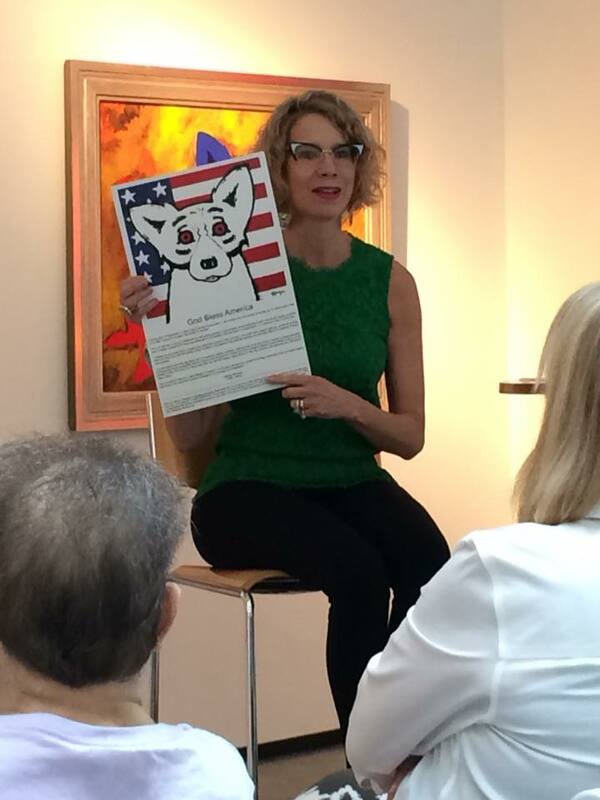 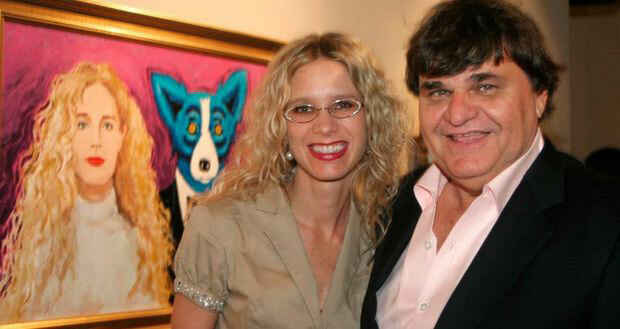 See you on the road as we celebrate the Life and Art of George Rodrigue!